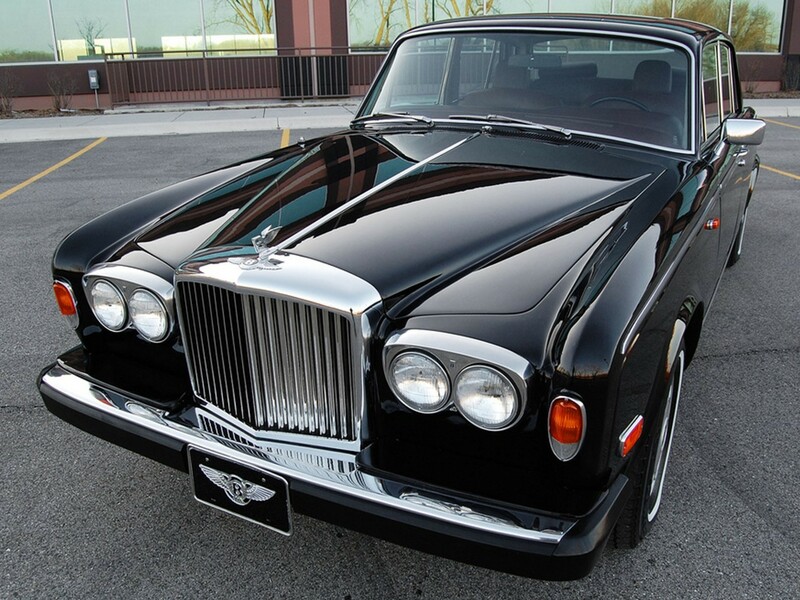 “Big Ben’s” rise to ultimate success reads like a modern-day “Cinderfella” story. 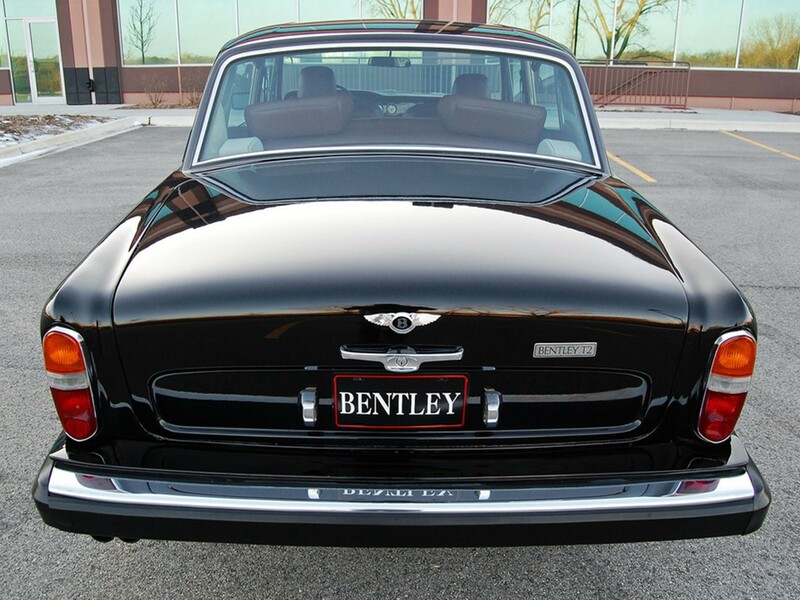 Poor little understudy, Bentley…was always in the shadows. 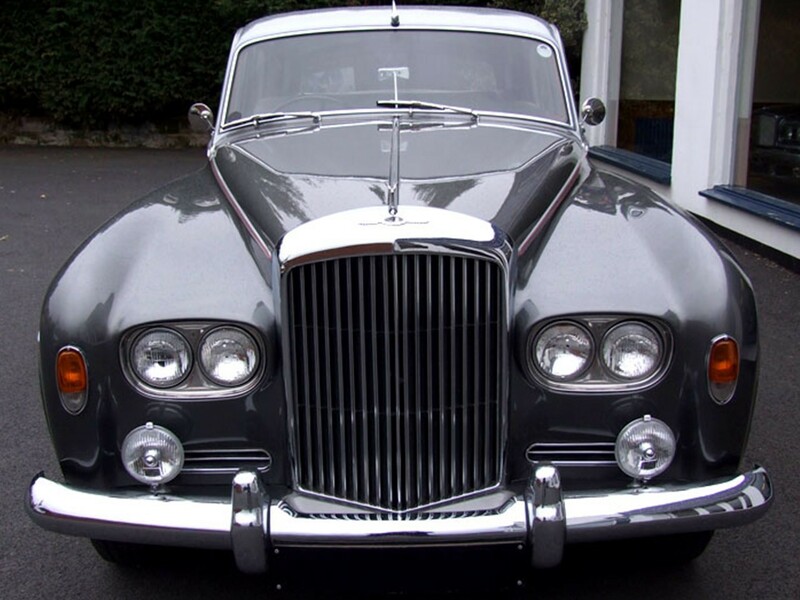 As its wicked step sibling – Rolls Royce – rode off on its high horse stealing the publicity and limelight…Bentley was left behind to clean the stables. 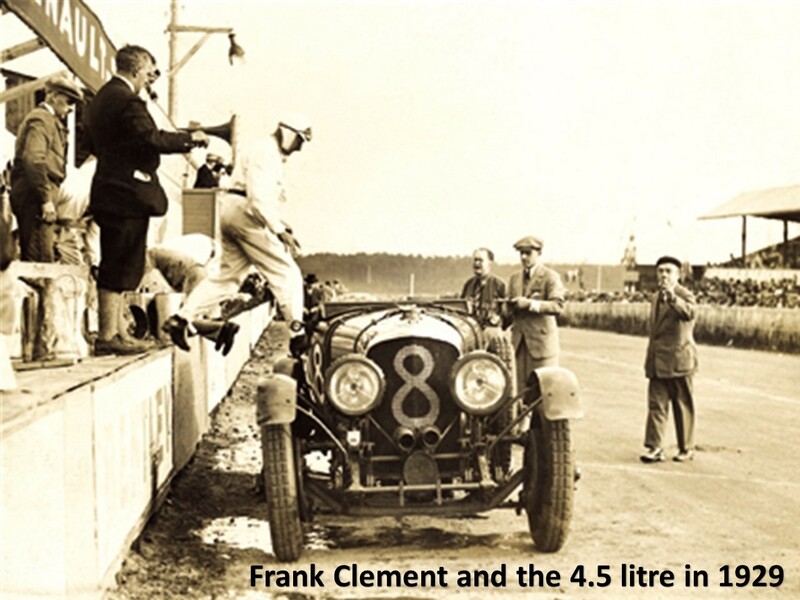 The once formidable track star – which negotiated the chicanes and the Mulsanne Straight winning numerous events in the grueling 24 hours of LeMans – was reduced to a badge engineered clone. 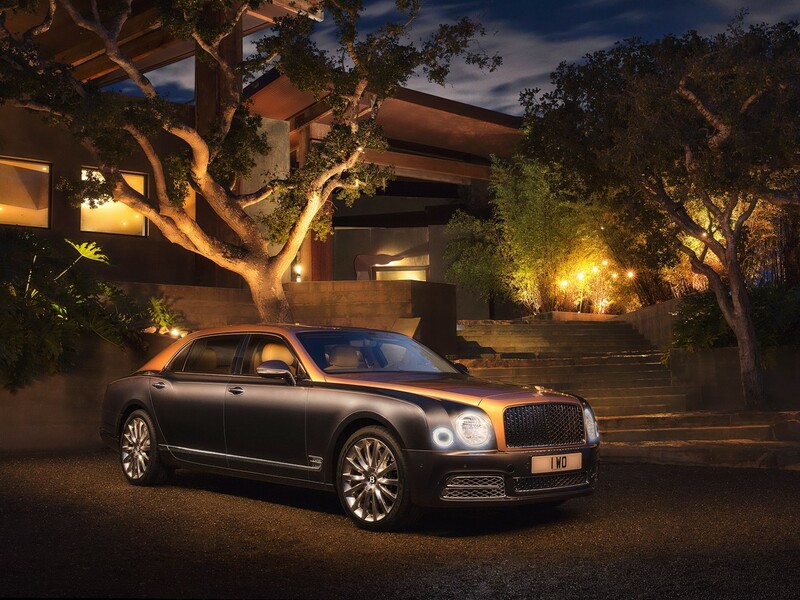 Today’s Bentley…the all-new Bentley – is now at home behind gated estates AND is parked right beside Rolls Royce at the country club sharing the spotlight equally. 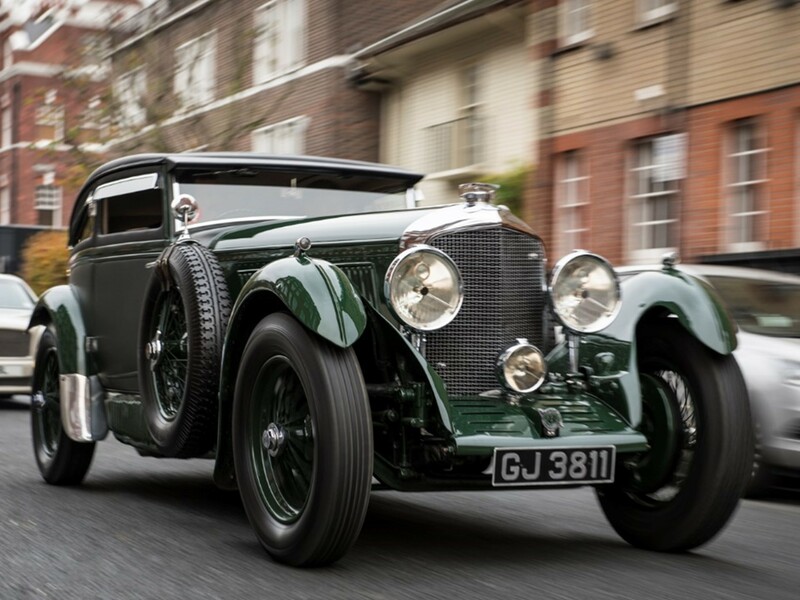 Bentley has catapulted from being a humble Rolls Royce throwback…straight to eminent immortality. 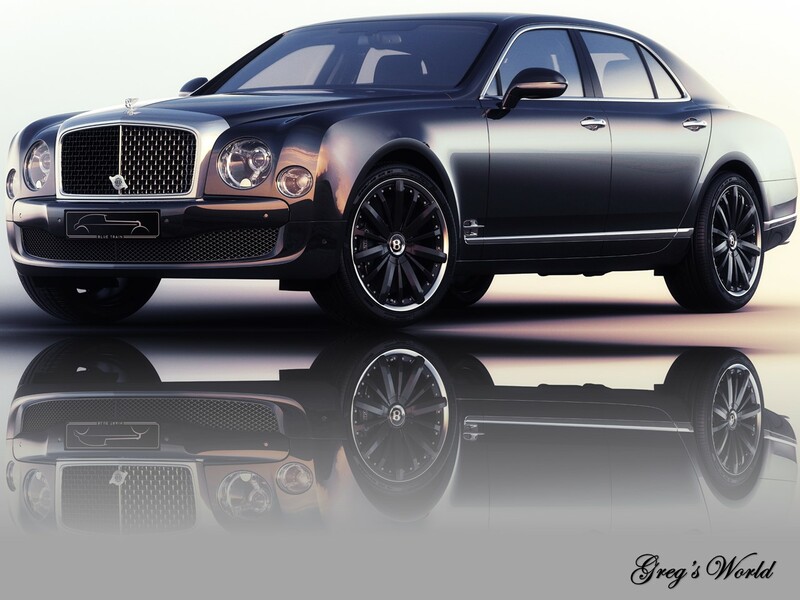 The flagship of the fleet is the iconic Bentley Mulsanne. 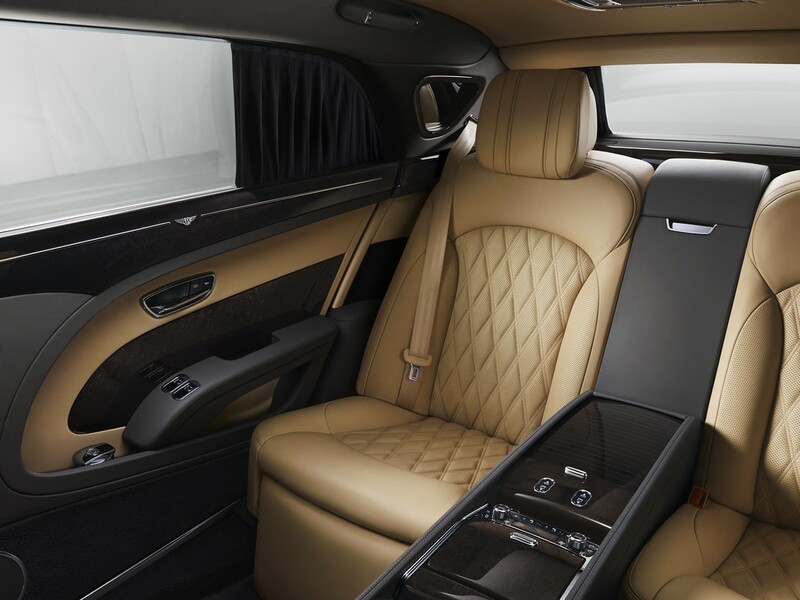 It has swiftly established its reputation in the ultra-luxury car segment being part limousine and part performance saloon. 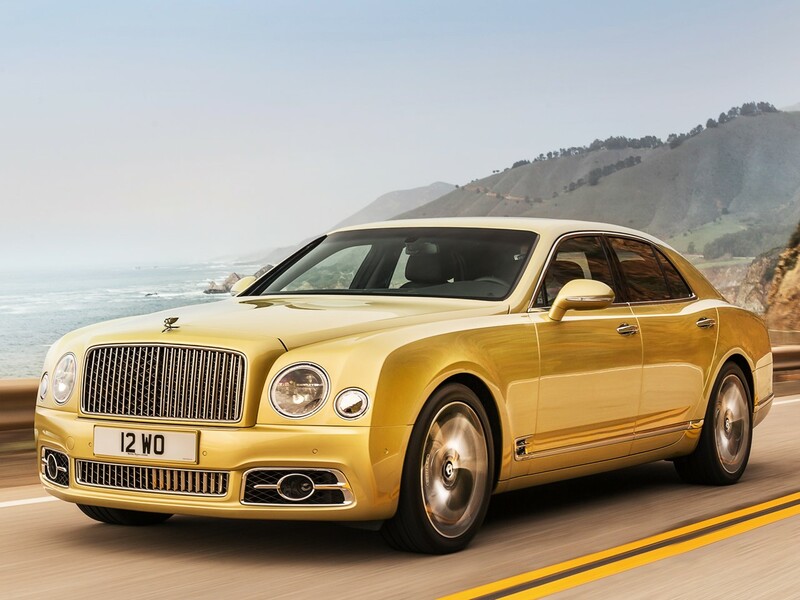 The ultra-exclusive Bentley Mulsanne is one of the world’s fastest four-door saloons. 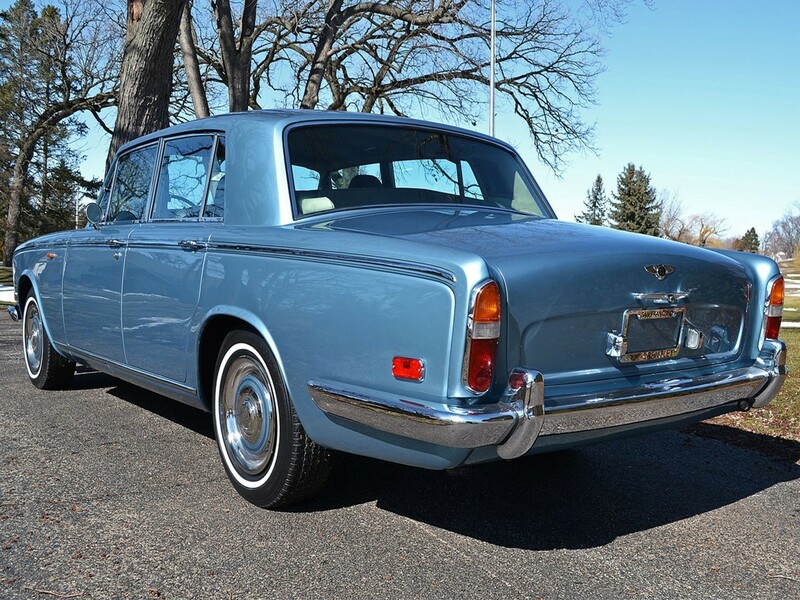 “Big Ben” is back with a vengeance and a thirst for adventure. 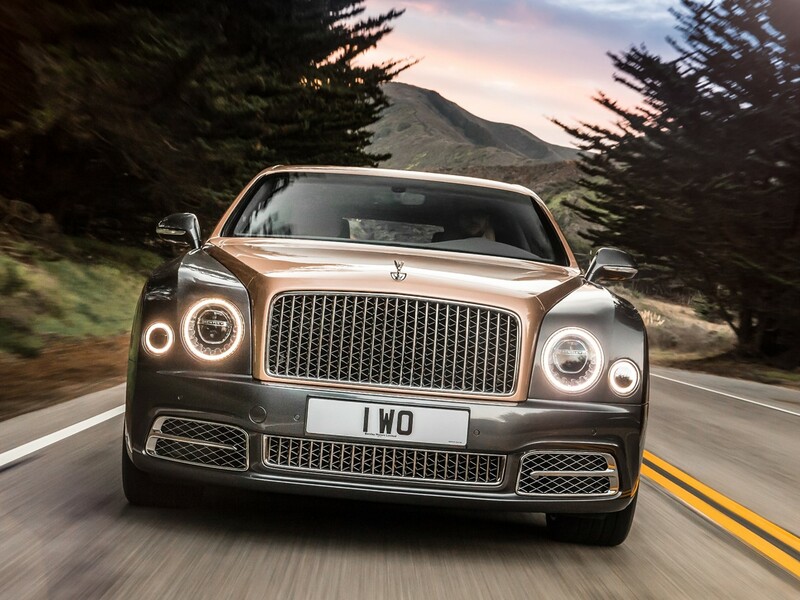 It has carved its own niche as a new breed of luxury with three distinctive models: Mulsanne, Mulsanne Extended Wheelbase, and Mulsanne Speed. 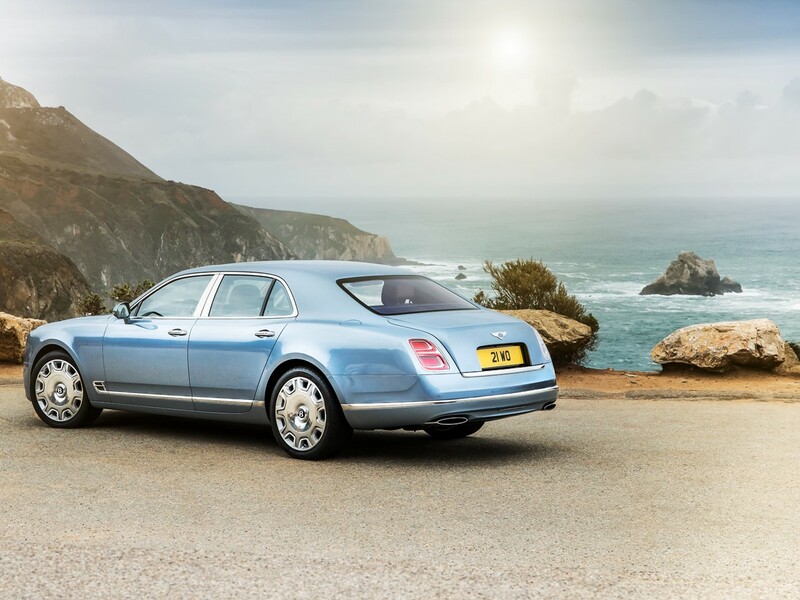 This is a unique Trilogy of Luxury – each offers its own poised dignity which is a hallmark of the brand. 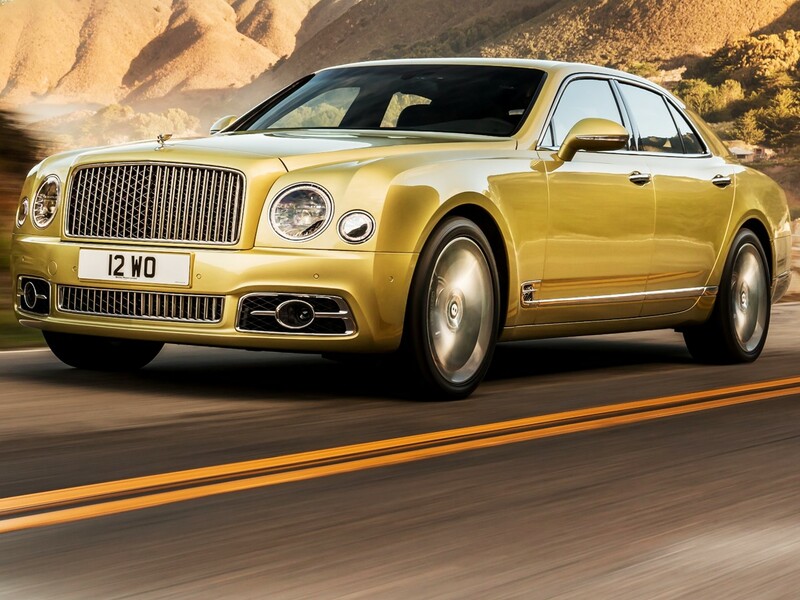 The Mulsanne totally disregards status quo. 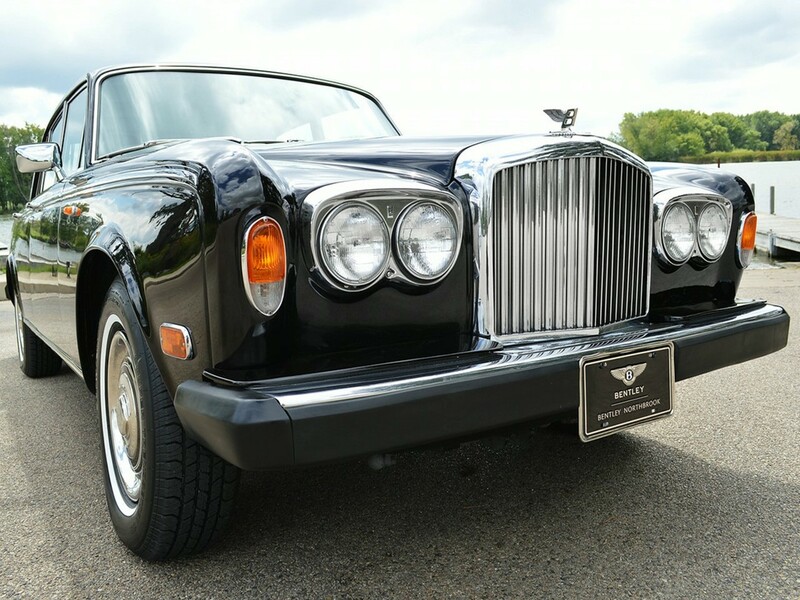 Since its inception, it has created its own unique manner of exclusivity in a niche no other motorcar can fill. 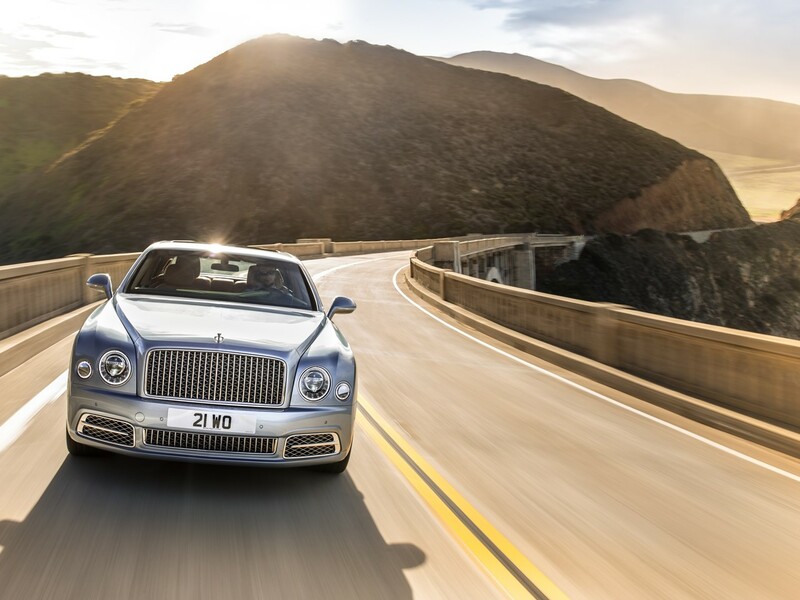 For 2017, the Bentley Mulsanne features refined new beauty. 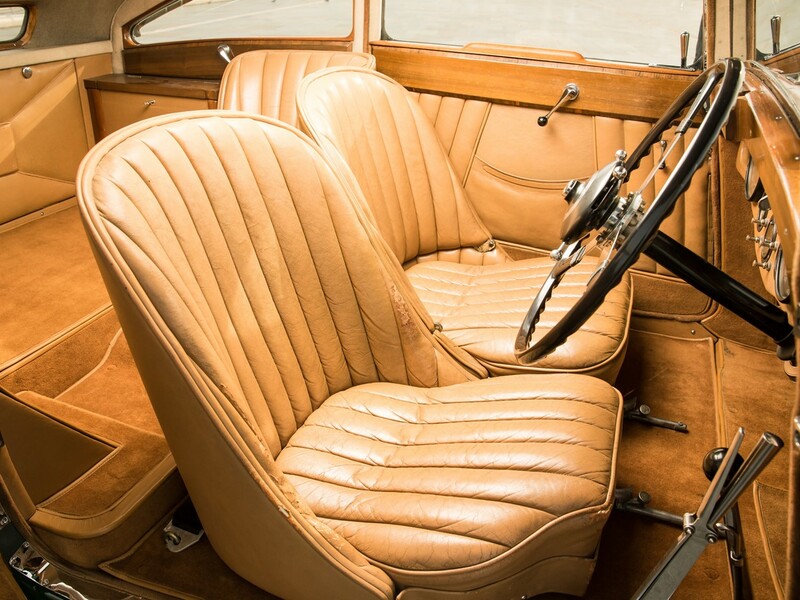 Its coachwork has been re-tooled for a familiar yet dramatically new appearance. 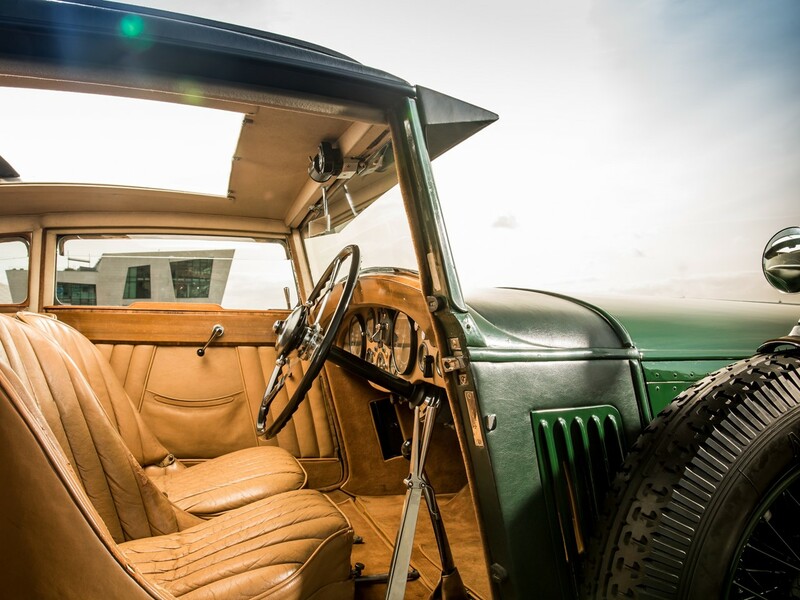 The long, low, wind-cheating architecture draws from its retrospective heritage. 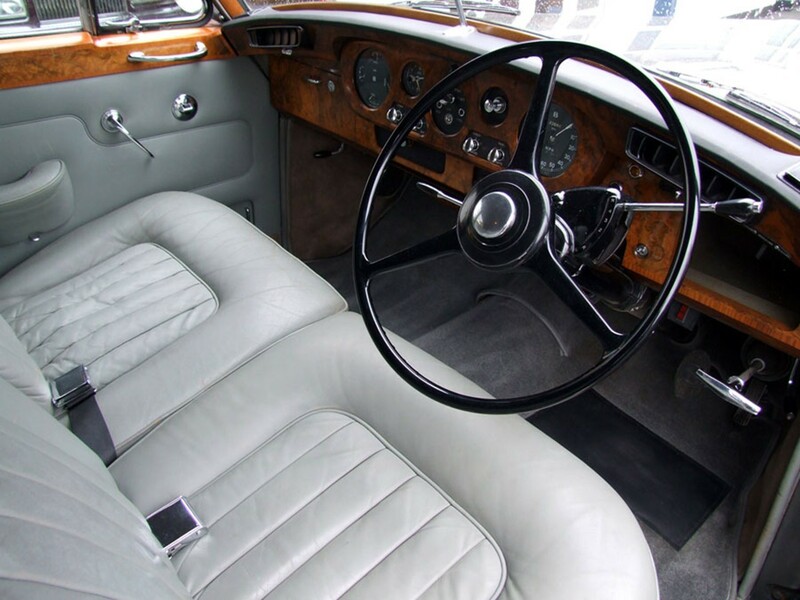 The bodywork is etched with a symphony of lines that appear never beginning and never-ending forcing the eyes to roam its entirety in a single appraisal. 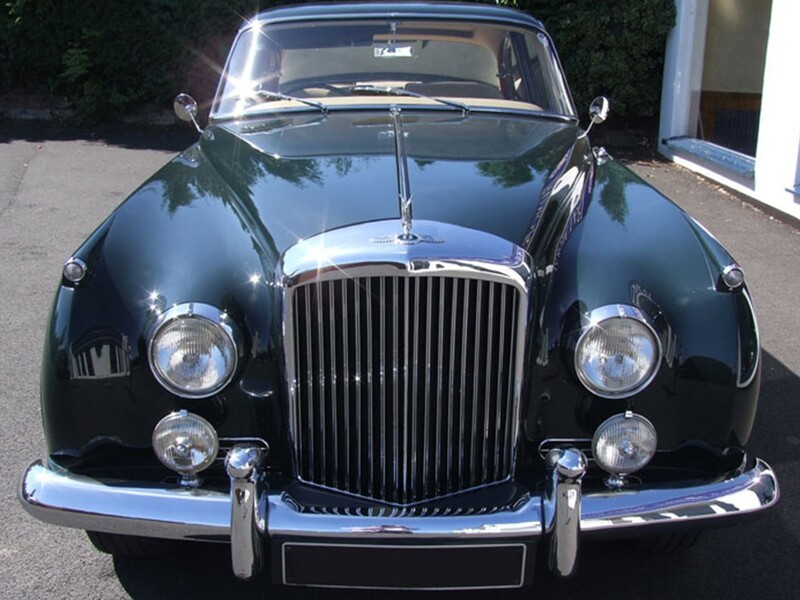 Its facelift creates even more exquisite beauty. 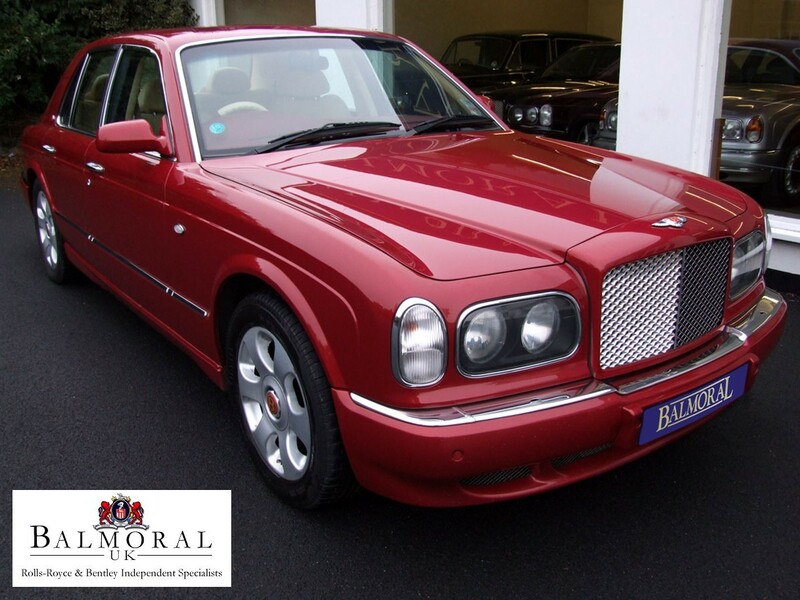 Mulsanne represents the pinnacle of elegance in ultra-luxury motoring. 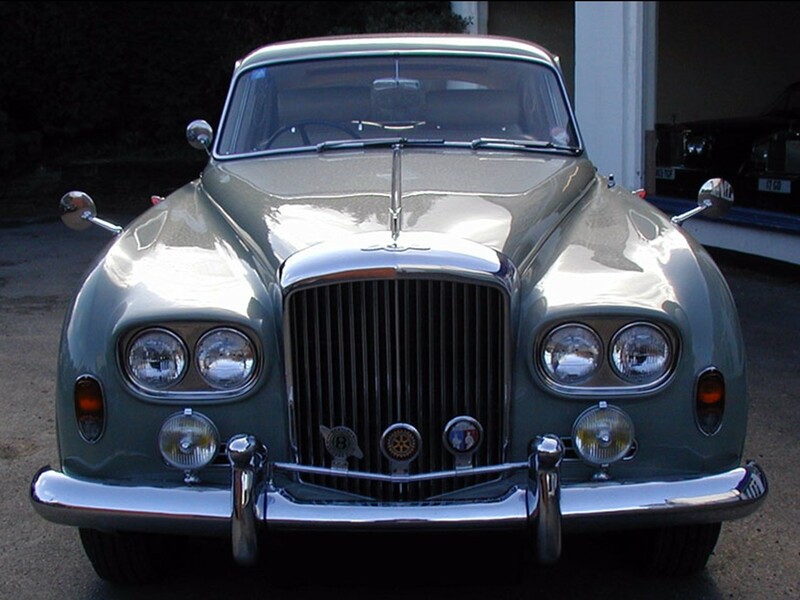 Its new refinement begins with a restyled front end ensemble. 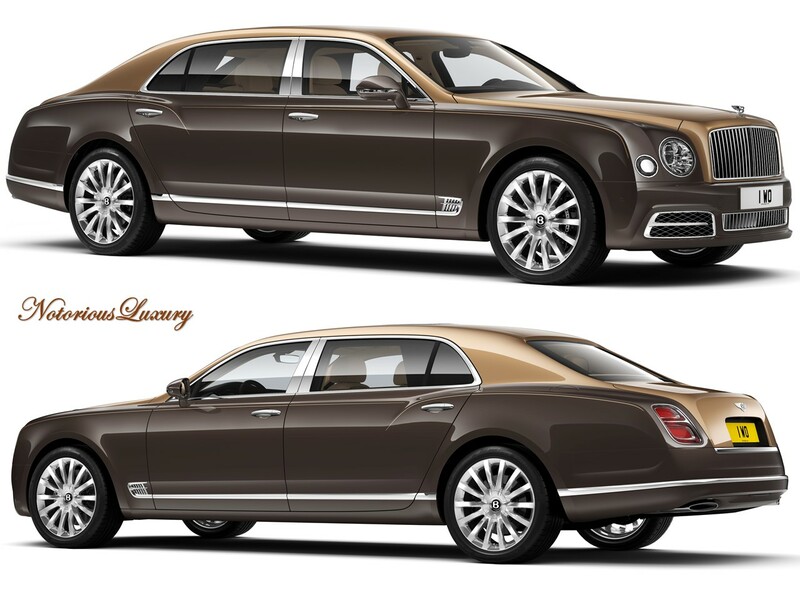 Everything in front of the “A” pillars has been refreshed adding graceful definition. 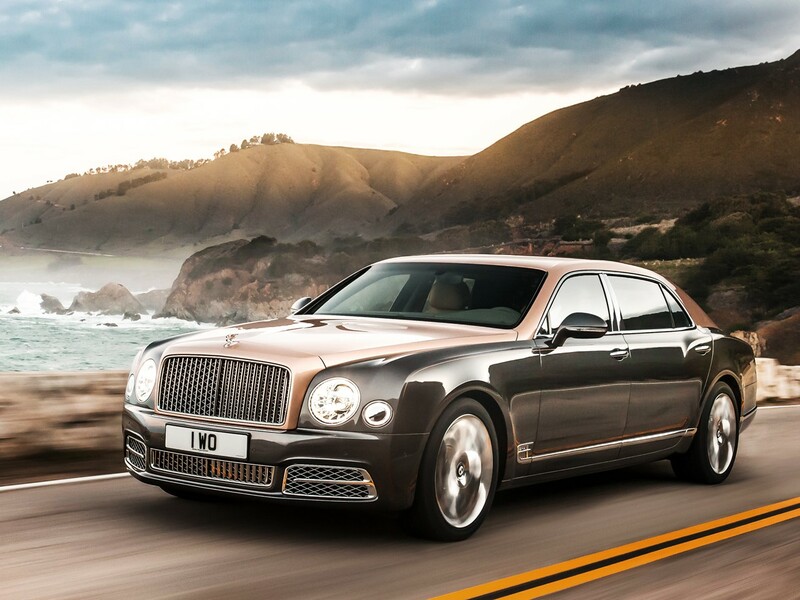 Mulsanne’s signature styling has been retained yet tastefully updated. 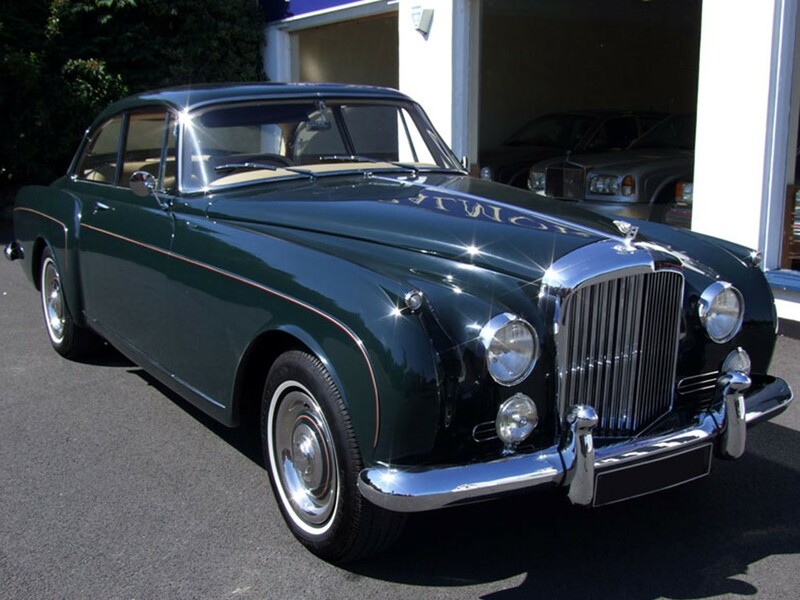 The elegant redesign echoes classic Bentley styling cues. 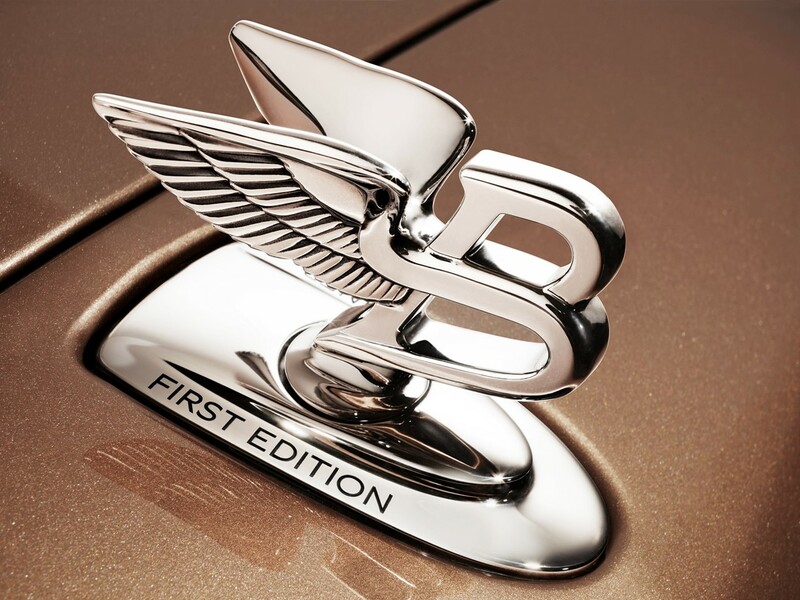 The bold new attributes features all-new front wings and bonnet. 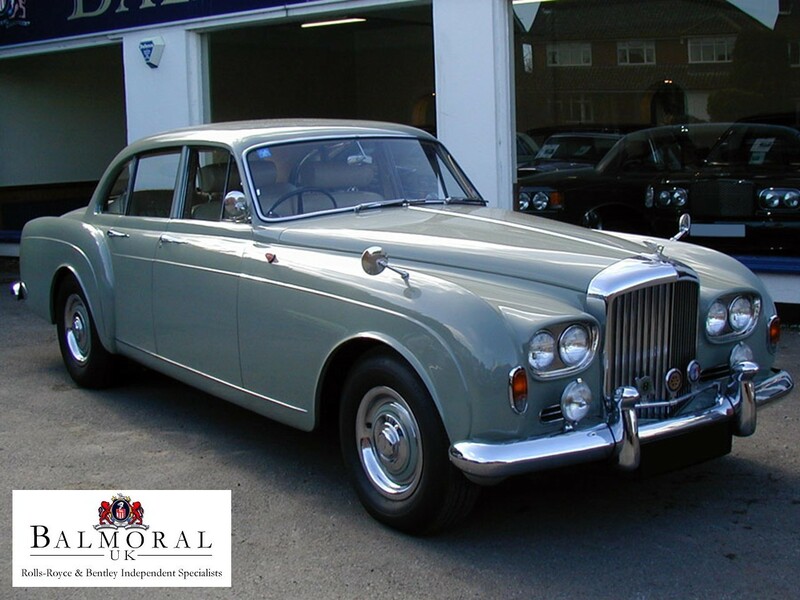 Its classic grille work has changed from the previous matrix design to a distinctive wider framed design with dominant vertical stainless-steel vanes. 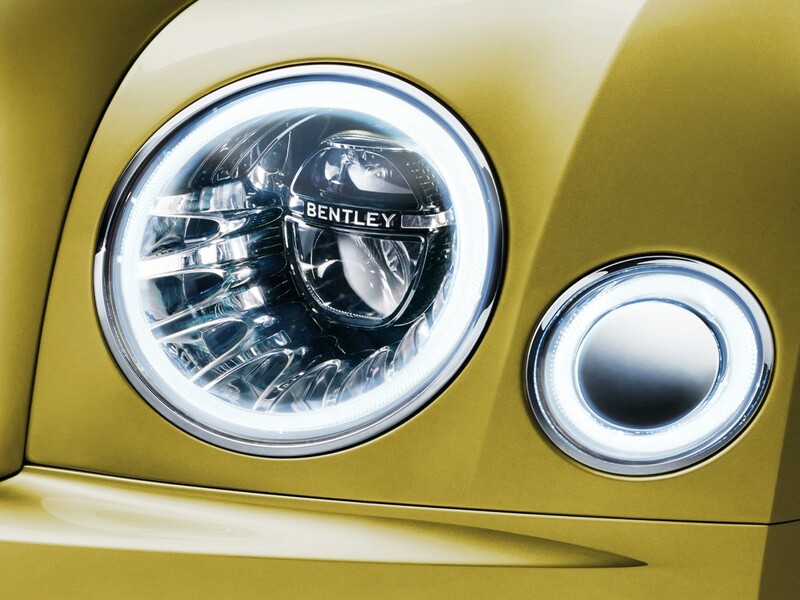 Its familiar LED projector headlamps proudly features the Bentley name. 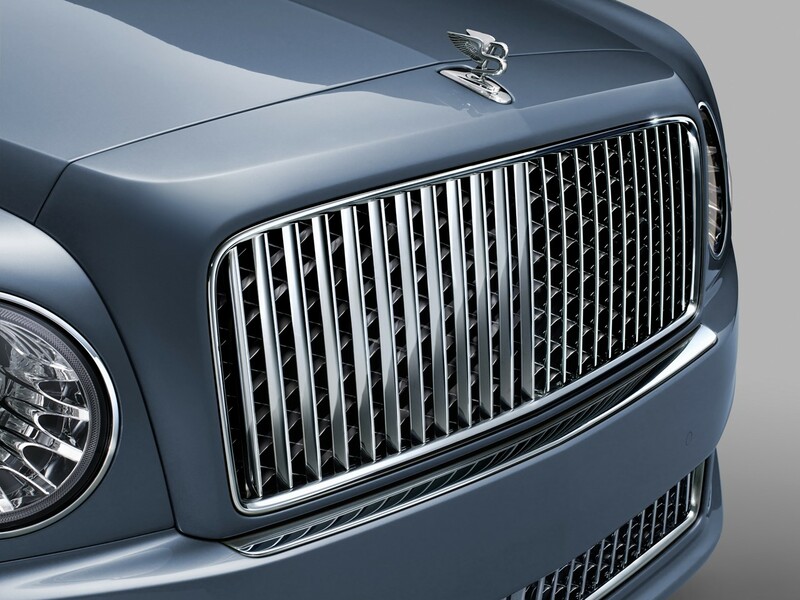 The grille work repeats below the impact-resistant bumper with symmetrical vents for the air induction system. 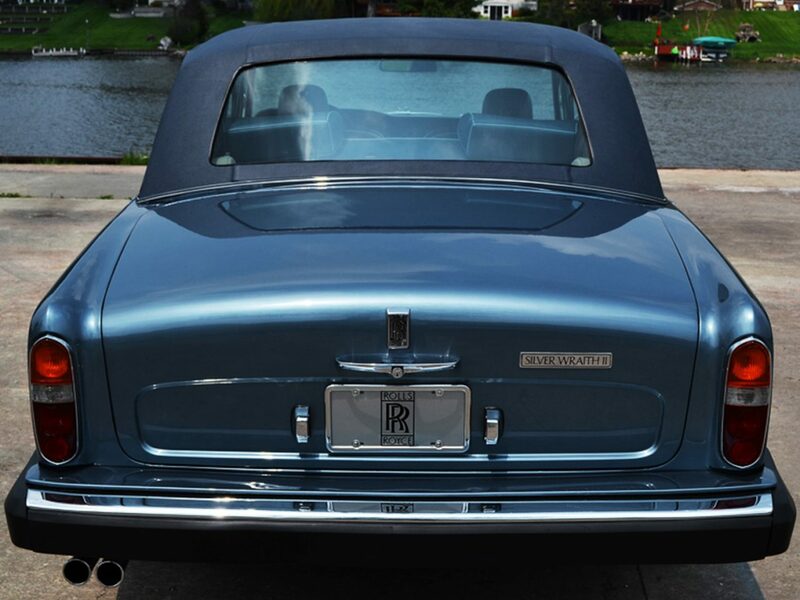 Subtle refinement adds panache to the rear end ensemble. 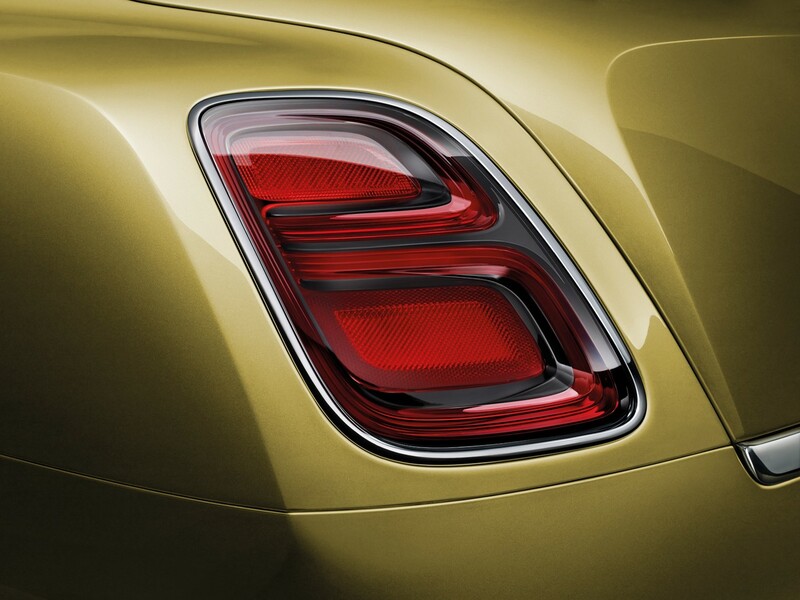 Newly designed taillamps highlight Mulsanne’s sculpted look. 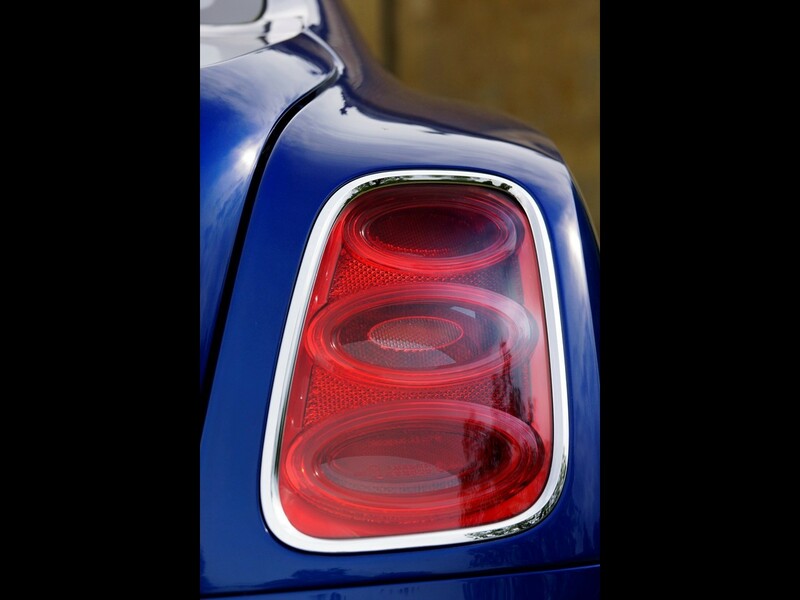 The previous ellipse style taillamps are replaced with a dramatic LED design which reveals the famous “B” motif. 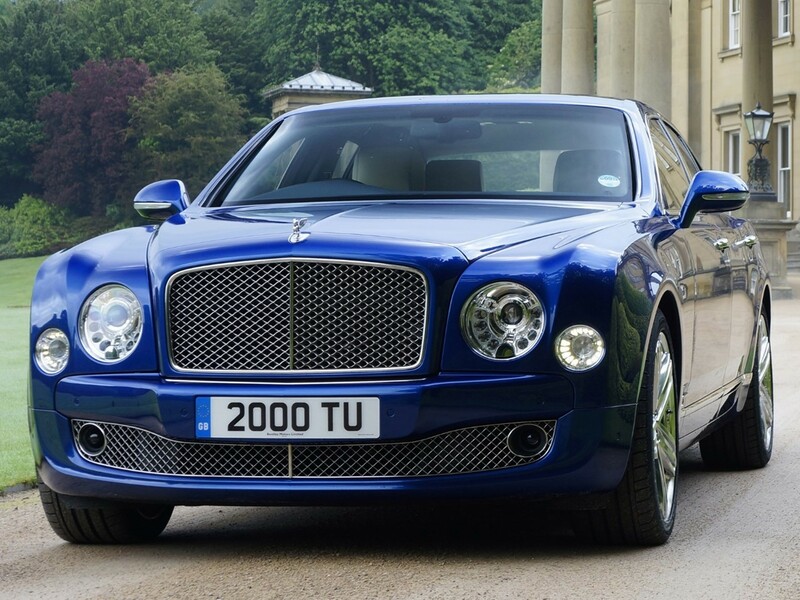 The discreetly modified profile gives Mulsanne a prominent, more upright appeal. 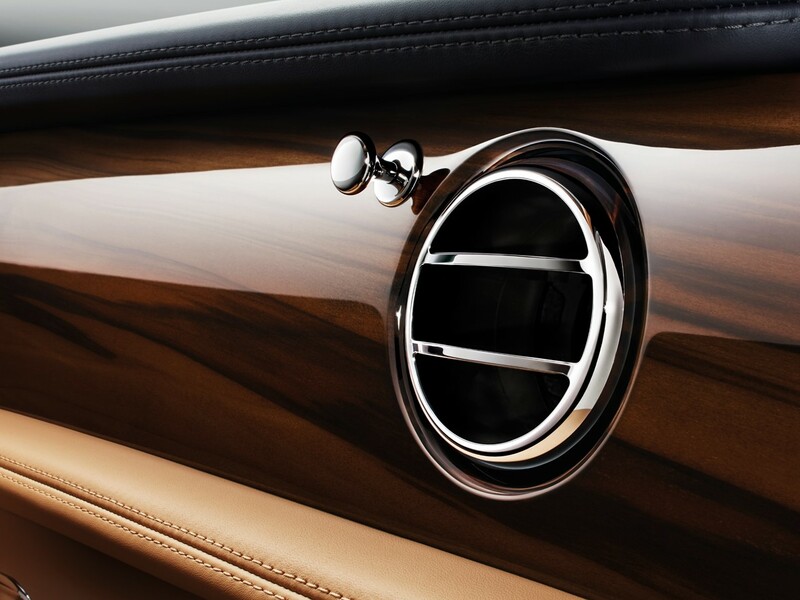 Understated dual stainless-steel exhaust ports adds the finishing touch of class. 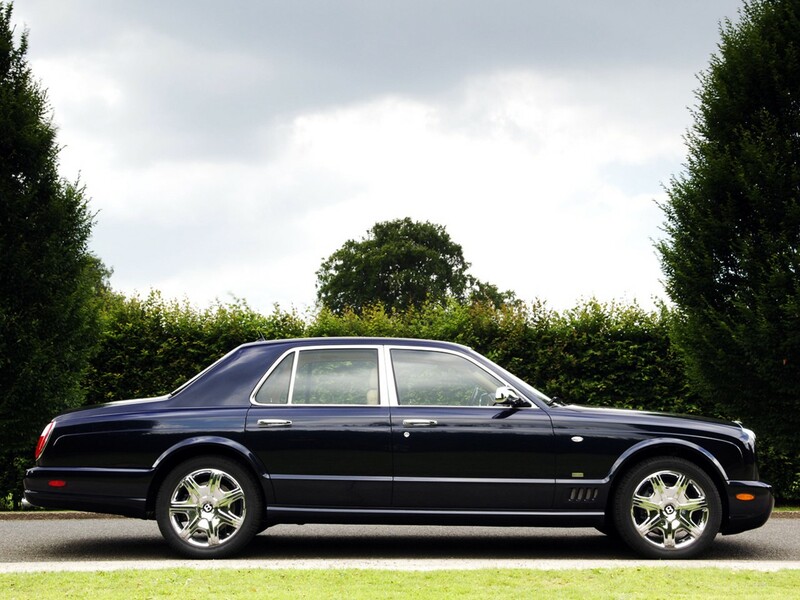 The familiar silhouette has undergone a subtle enhancement. 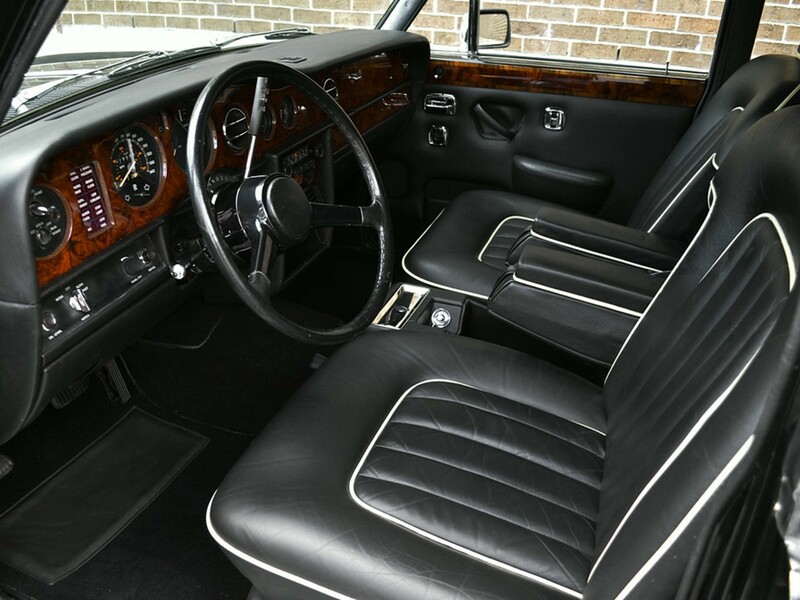 Its chiseled new definition adds unique character. 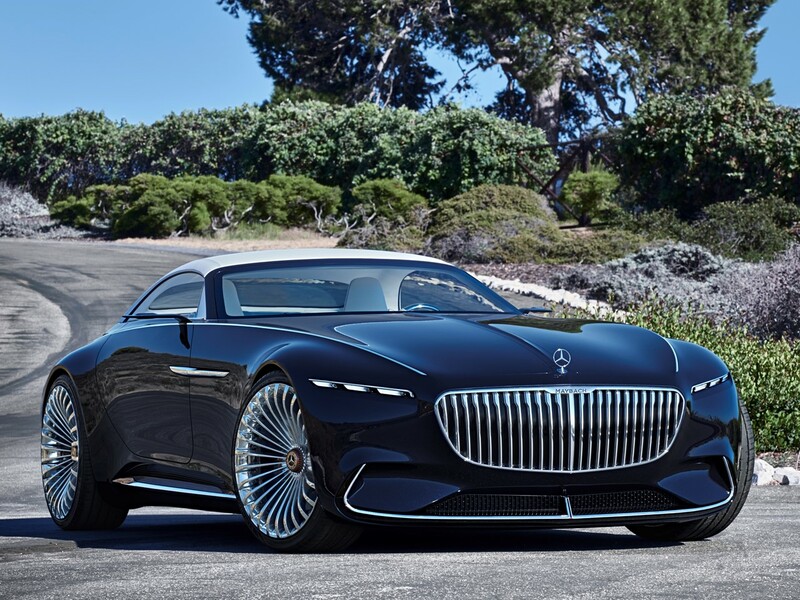 Its shoulders are squared off to augment a sweeping new elegance. 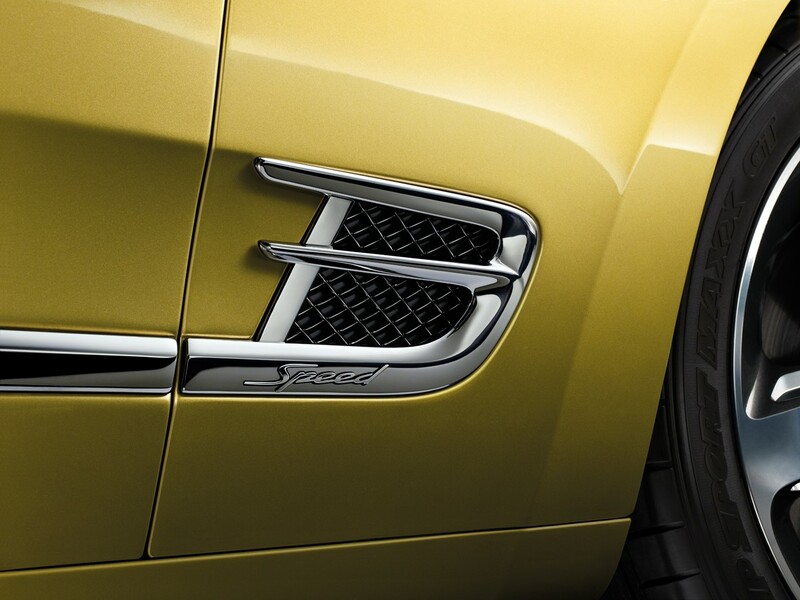 The side strake vents sports an integrated “B” into its stainless-steel charm. 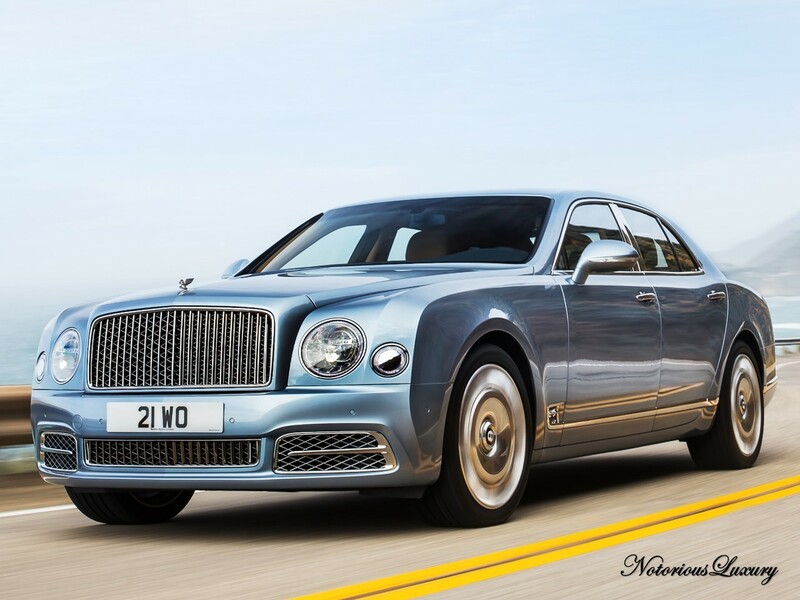 Mulsanne’s beauty is composed of a galvanized steel bodyshell with its front wings, hood and doors made from aluminium. 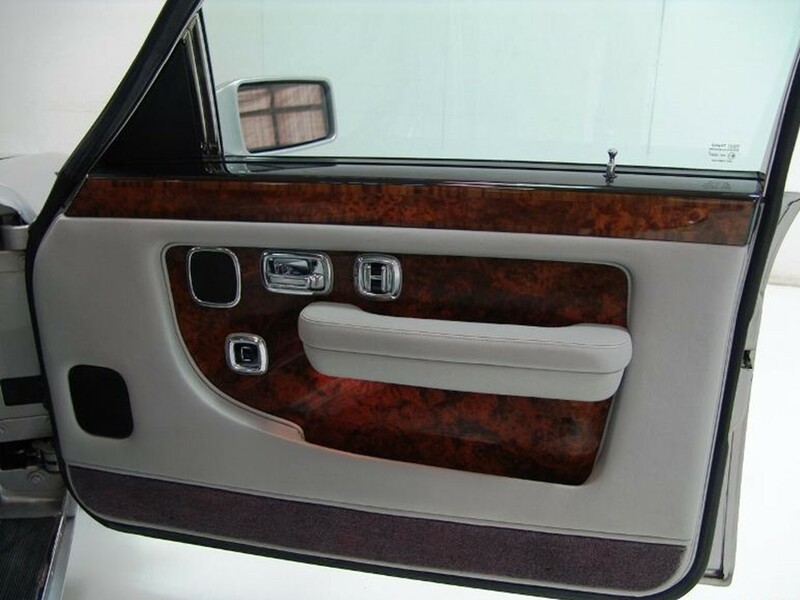 The SMC (Sheet Molding Compound) composite bootlid has an integrated antenna. 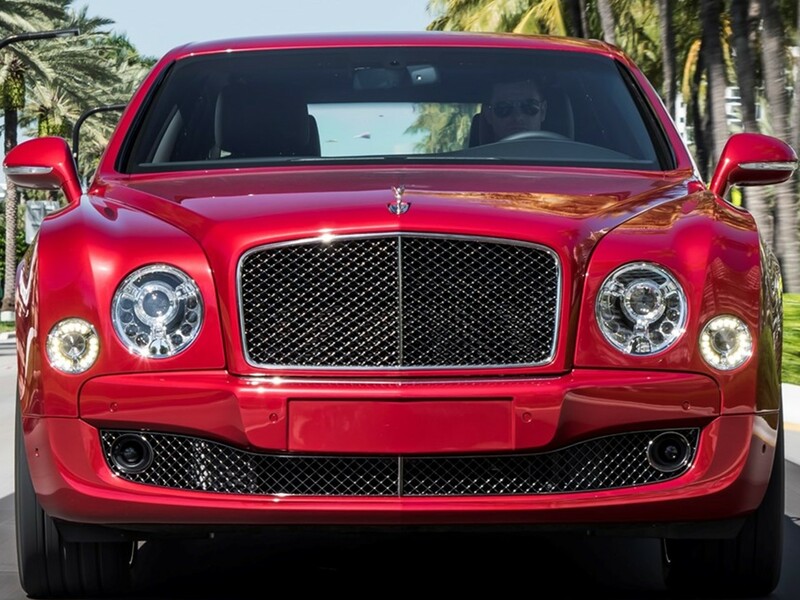 Mulsanne is built like no other. 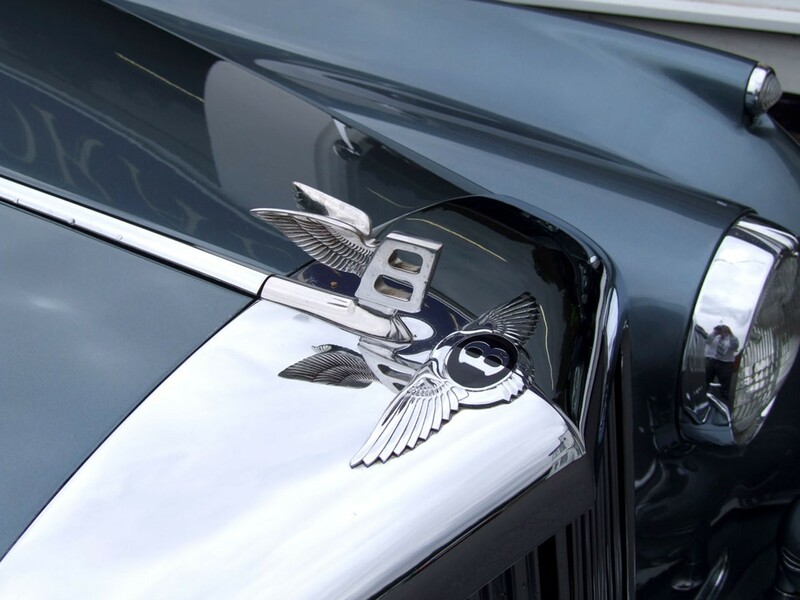 Bentley’s process of hand-brazing yields perfect joins around intricate curves. 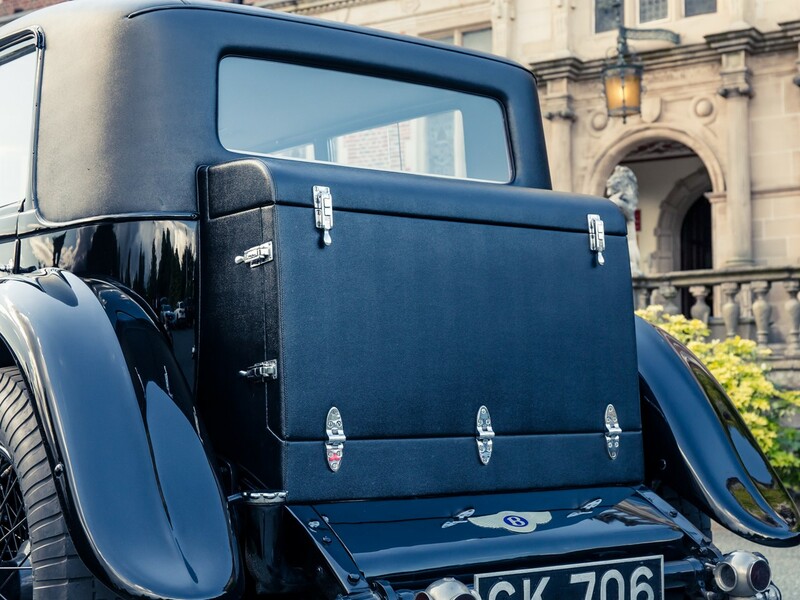 The bonnet, boot lid, doors, and front wings are crafted using the “Superform Process.” This patented system creates complex panels from a single sheet of product to eliminate body seams and welds. 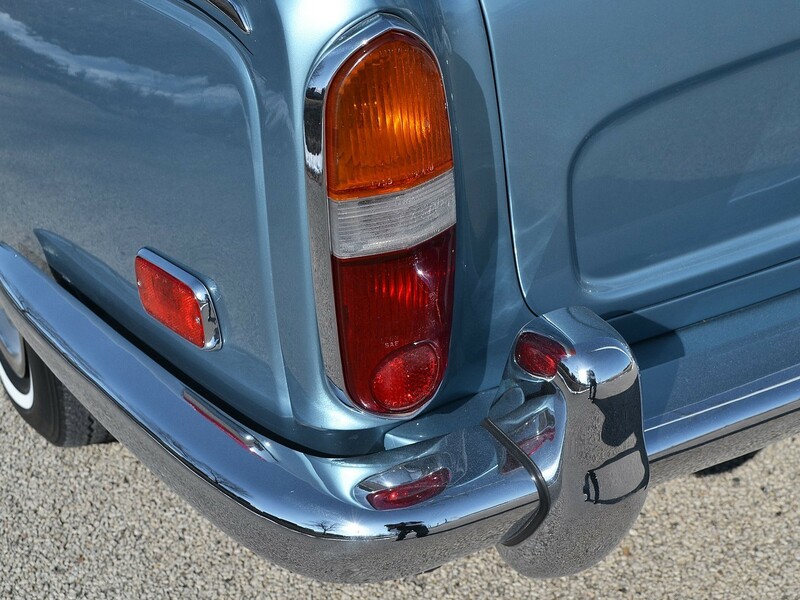 This feature not only eliminates areas for corrosion but also aids aerodynamic efficiency. 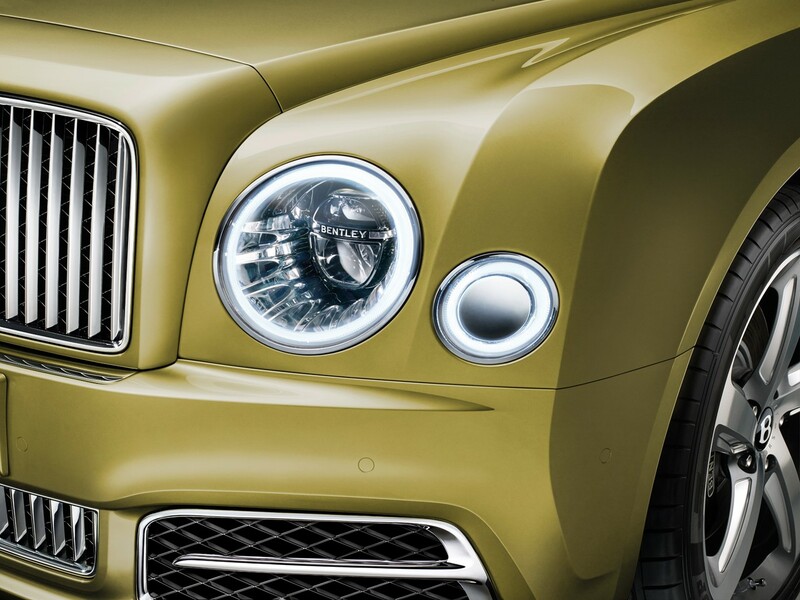 Each Mulsanne is a consummate blend of design excellence, advanced engineering, and of course… exemplary fit and finish. 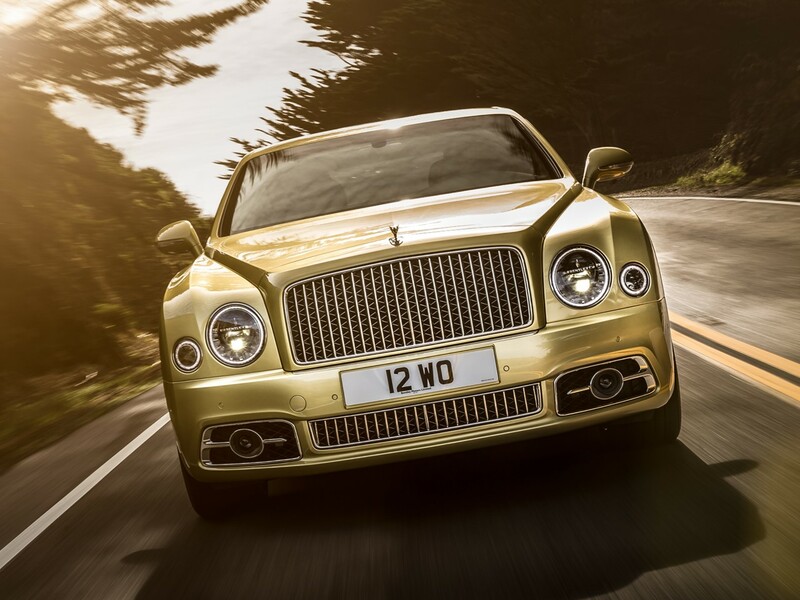 Mulsanne is a showcase of Bentley superlatives. 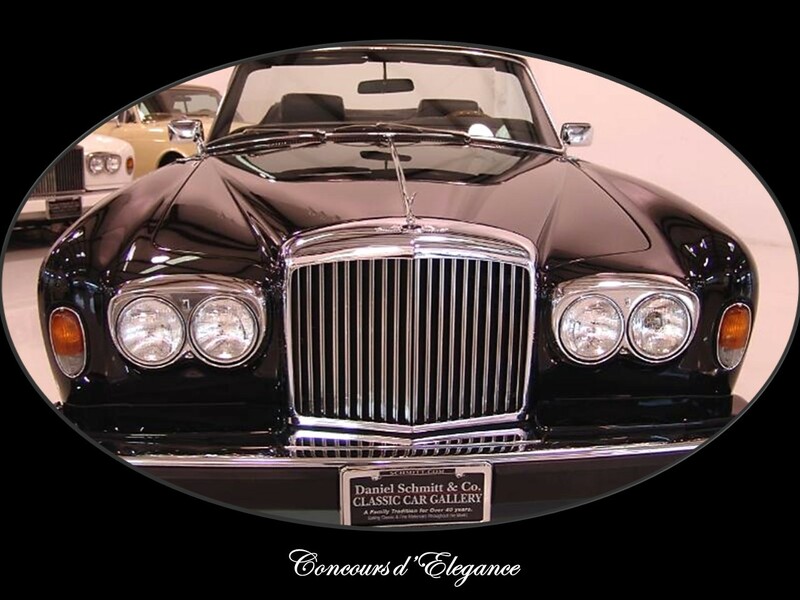 Evolution plays an important role in the continual strive for excellence. 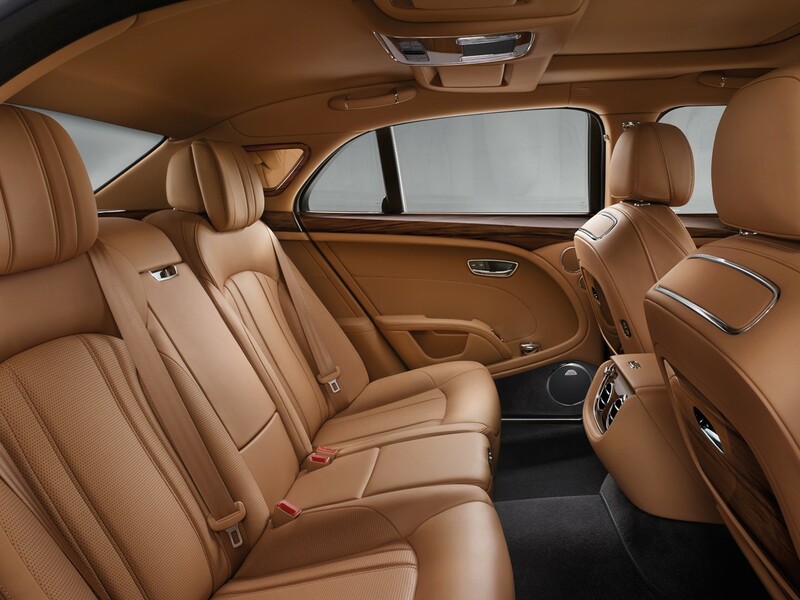 The company flagship is one of the world’s most spacious and splendidly appointed saloons. 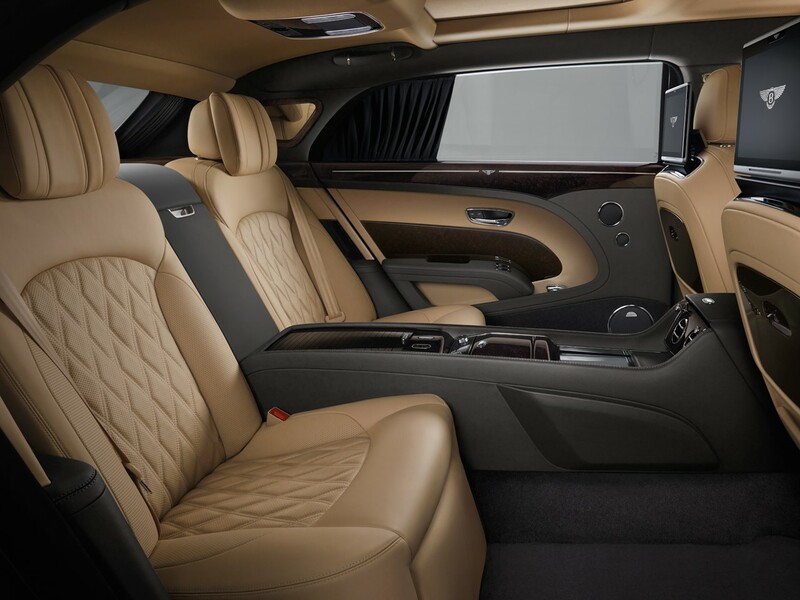 It offers more than inert luxury; it cossets its passengers in technological sophistication. 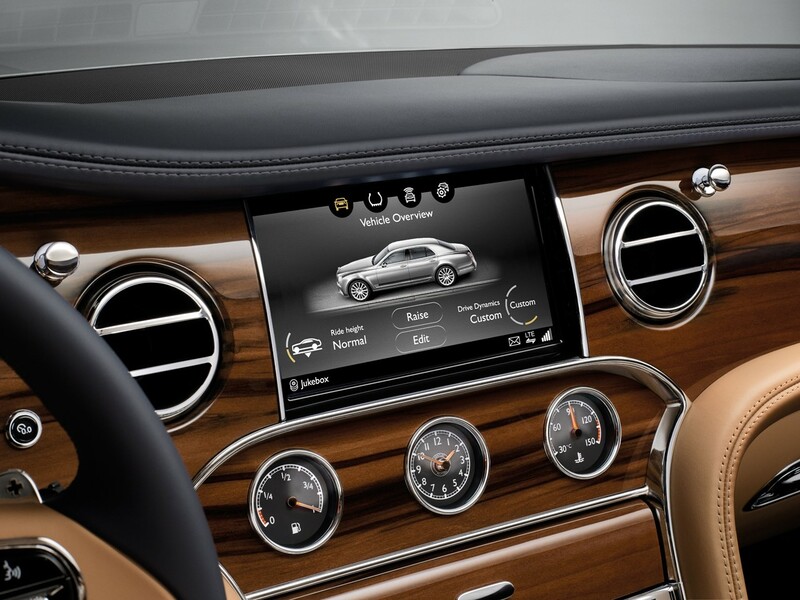 Intelligent electronics and controls assist the driver and elevates passenger comfort. 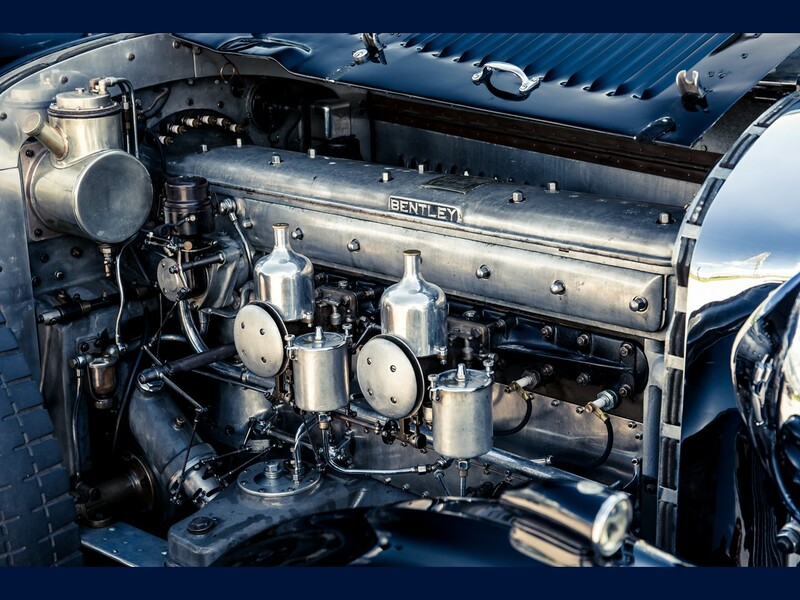 Advanced chassis refinement with more efficient air springs and hydraulically damped sub-frames eliminates noise 4 decibels more than the previous model. 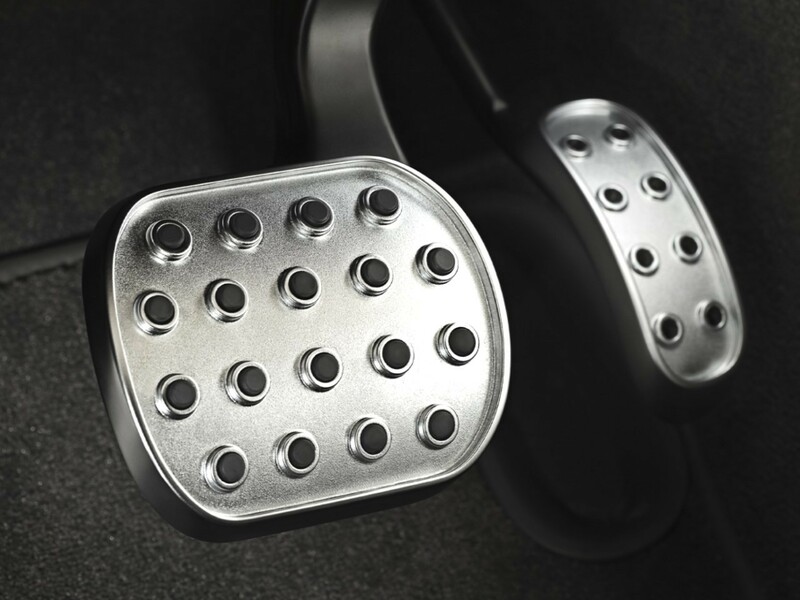 Noise absorbing technology in the tires results in a 50% decrease in peak rolling noise. 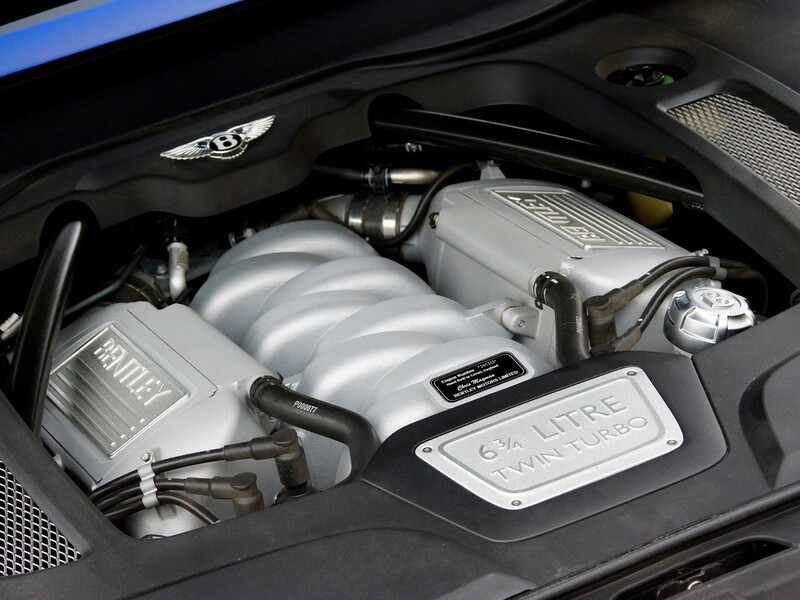 Mulsanne’s formidable V8 does its part by reducing noise another 25 decibels using a closed loop system to cancel vibration. 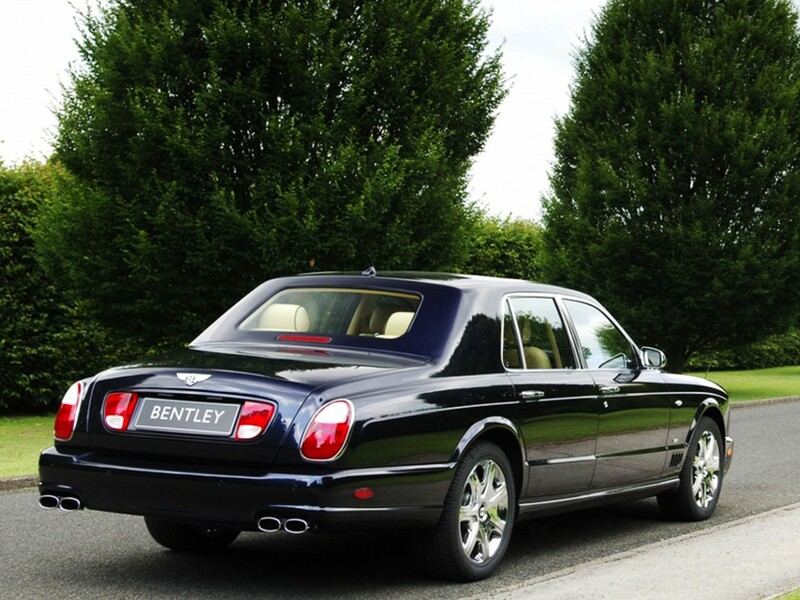 The most elegant occasion seldom surpass the splendor of the journey in the Bentley Mulsanne that took you there. 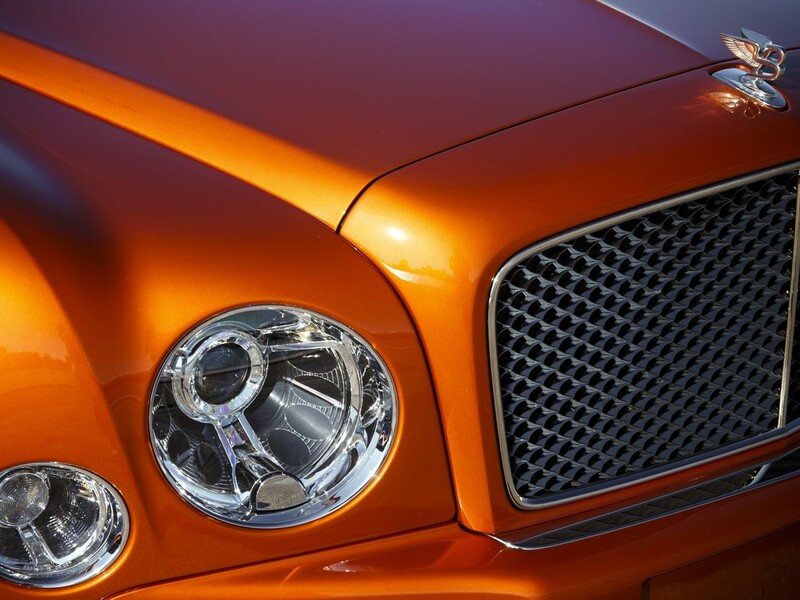 The epochal Bentley brand is epitomized by the luxury and distinction of the Mulsanne. 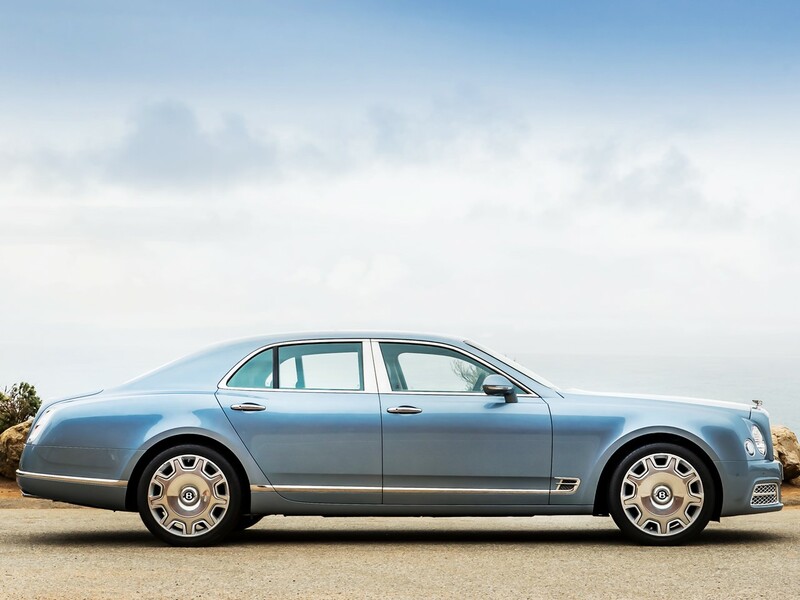 Its world-class attributes are further exemplified offering three unique expressions of this elite flagship. 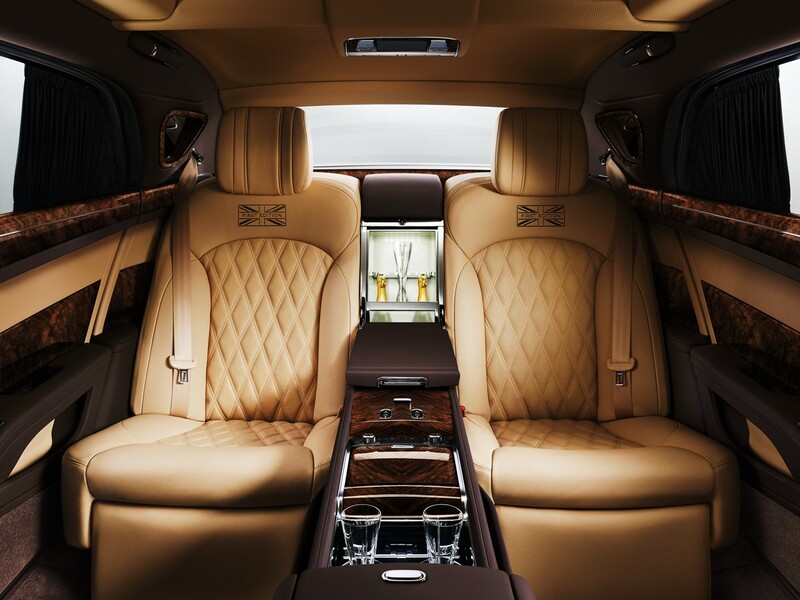 Each shares the unparalleled opulence that is the essence of the brand. 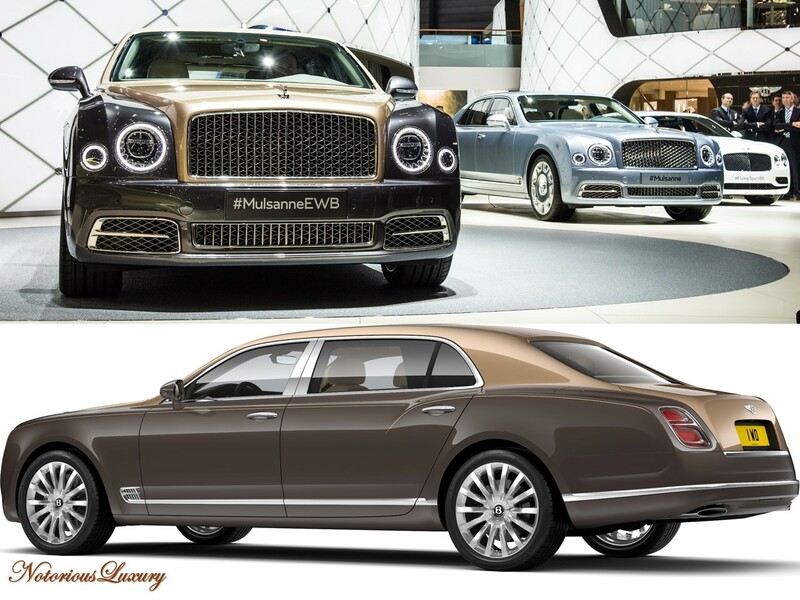 Mulsanne standard wheelbase is contemporary luxury that methodically repeals the laws governing saloons in its class. 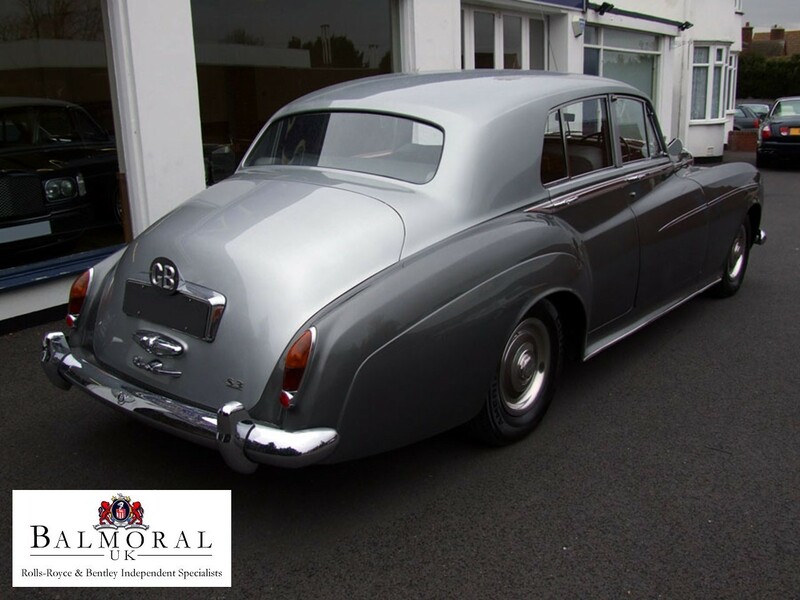 This is high performance cloaked in absolute respectability. 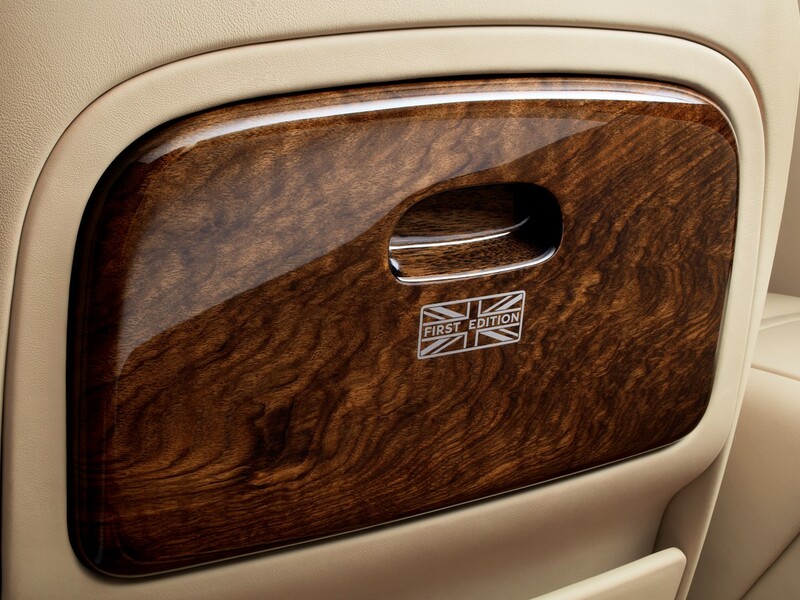 It cossets its occupants in an exclusive world of supple natural grain leather and rich handcrafted veneers. 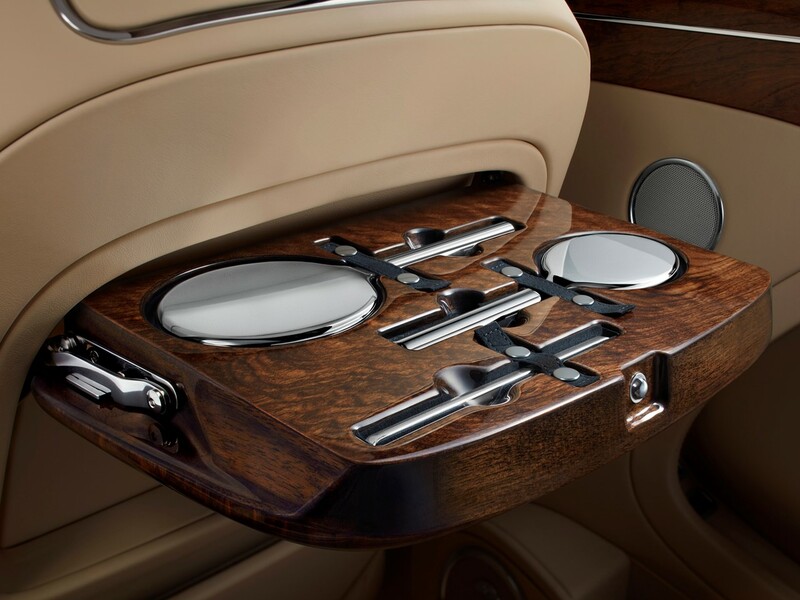 Most every power assist imaginable is standard fare to augment comfort and convenience. 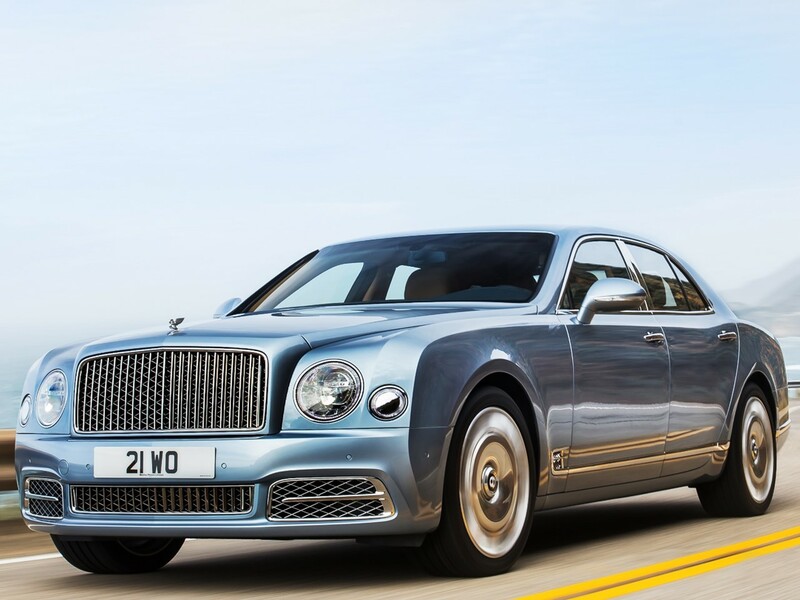 The Mulsanne received cabin updates for the 2017 model year. 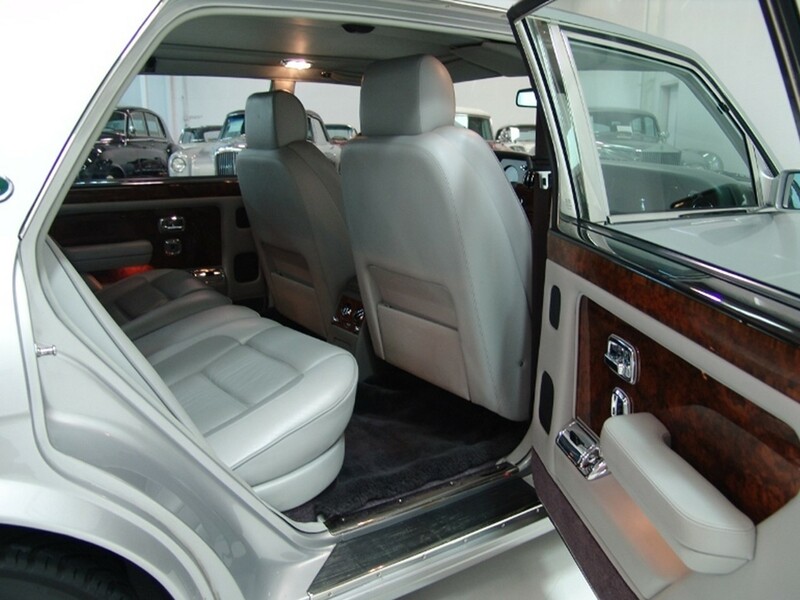 Redesigned seats, door trim, armrests, and unique glass switch gear makes it even more opulent. 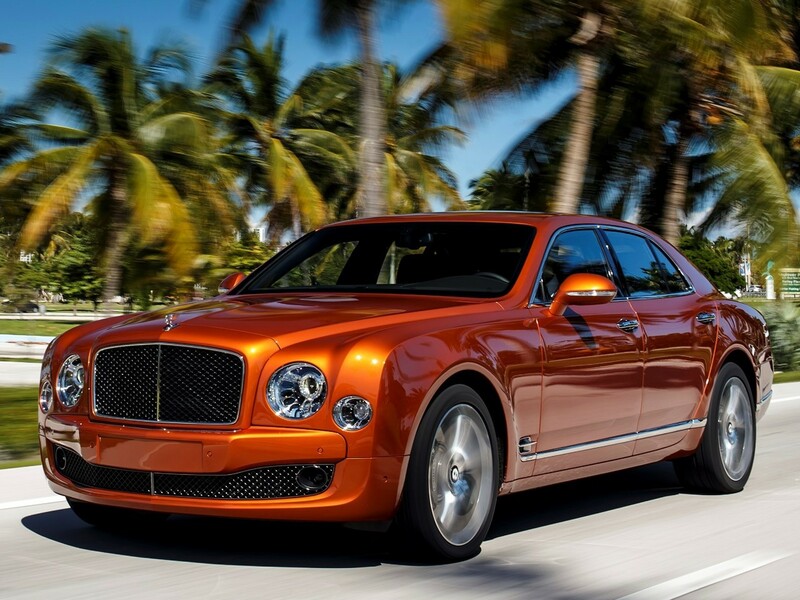 In addition to 24 exquisite hide colors, Mulsanne features an all-new infotainment system and navigation technology. 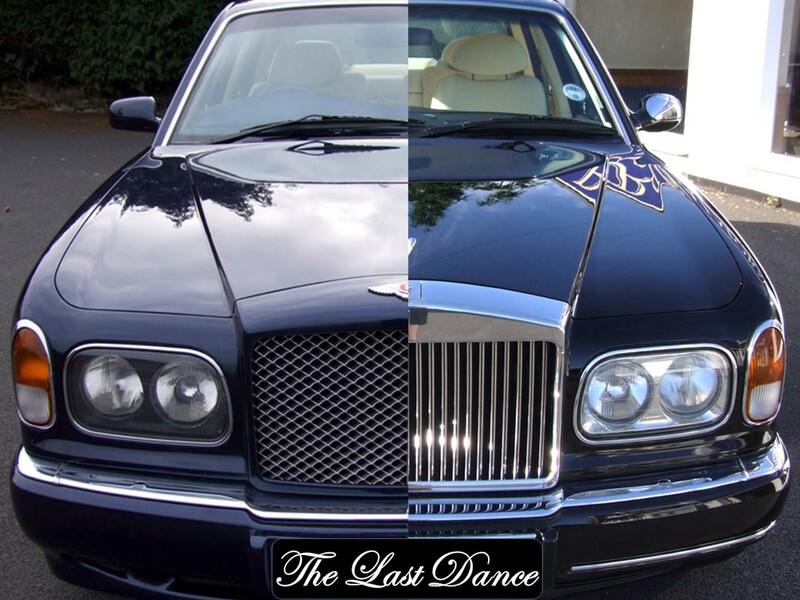 State of the art audio and visual equipment is available to tailor the entertainment system to the owner’s requisites. 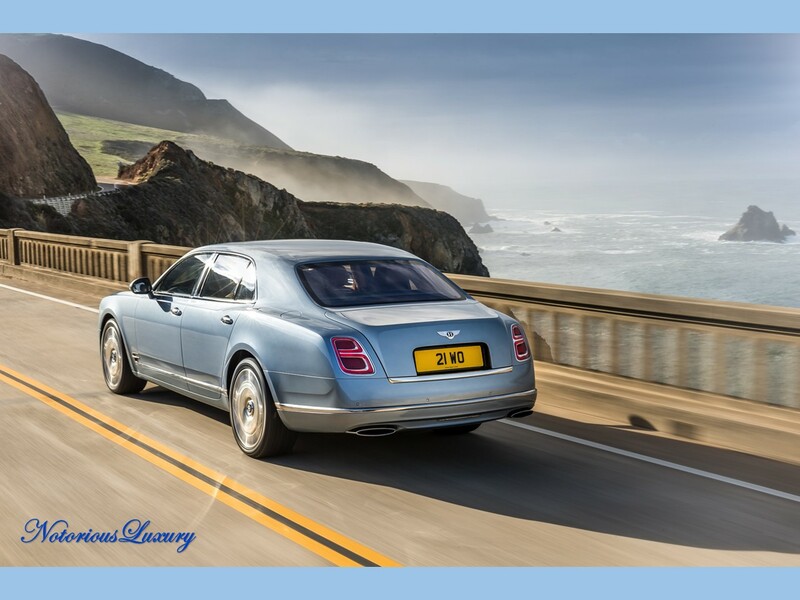 The Bentley Mulsanne can serve with equal distinction as a high performance touring saloon or the varying roles demanded of a family sedan. 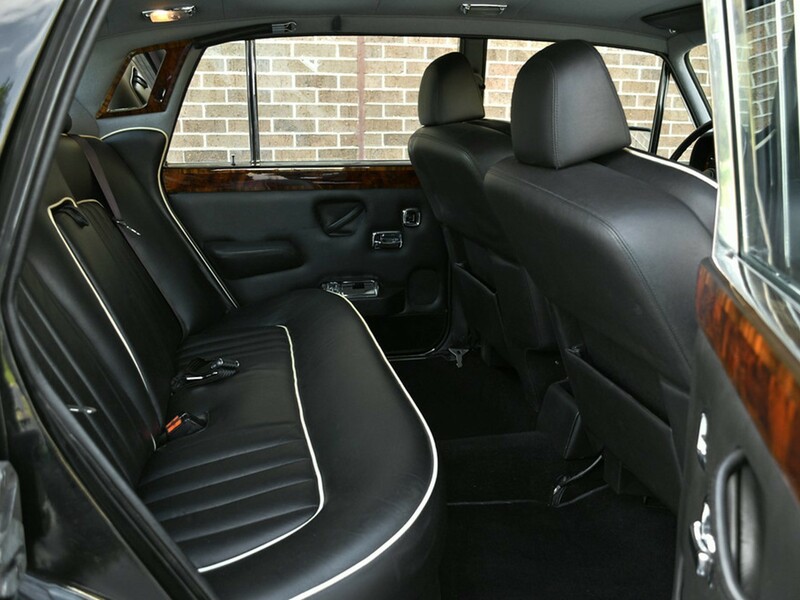 Luxury with an emphasis on the rear passenger compartment is important to those who prefer to be driven about in style. 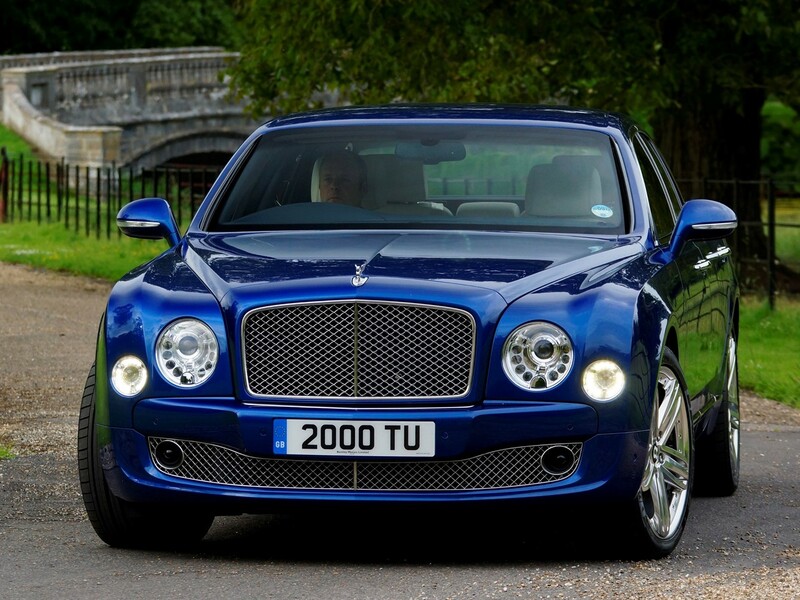 Mulsanne Extended Wheelbase is 9.8” longer than the standard saloon. 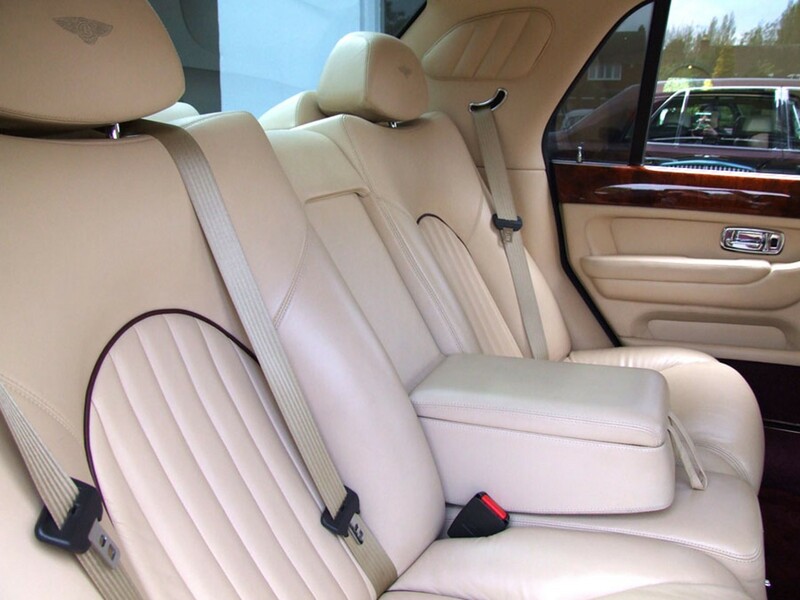 This means…rear seat passengers have more legroom and room for special appointments. 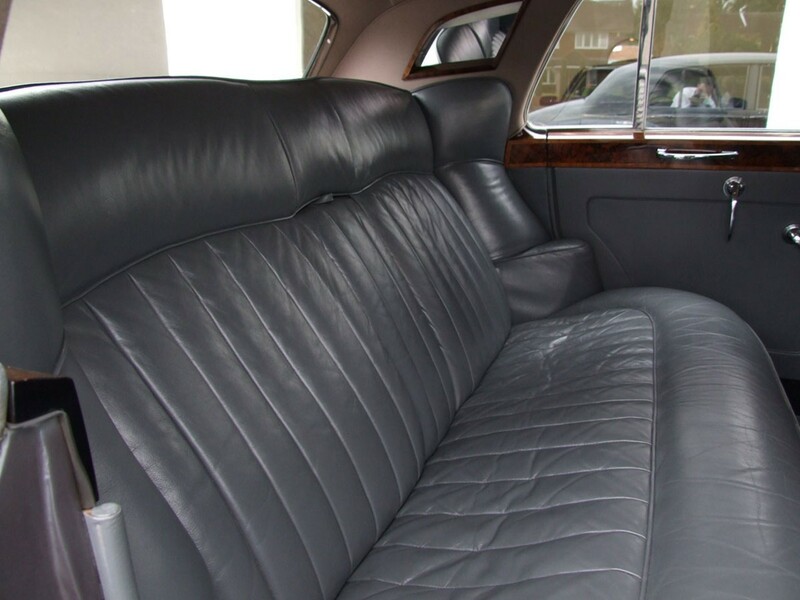 Limousine-style seating makes use of the extra inches by incorporating power assisted leg rests into the base of the aircraft inspired lounge seats. 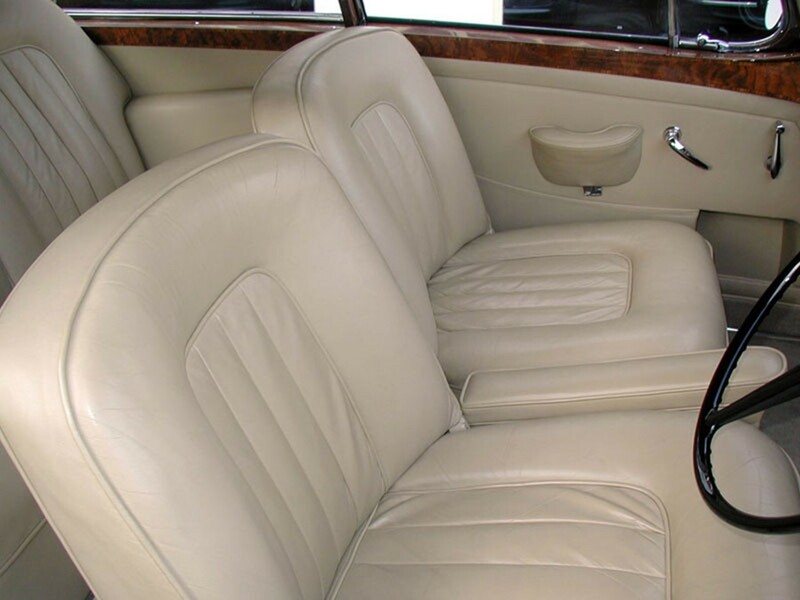 These extend outward pivoting as recliners. 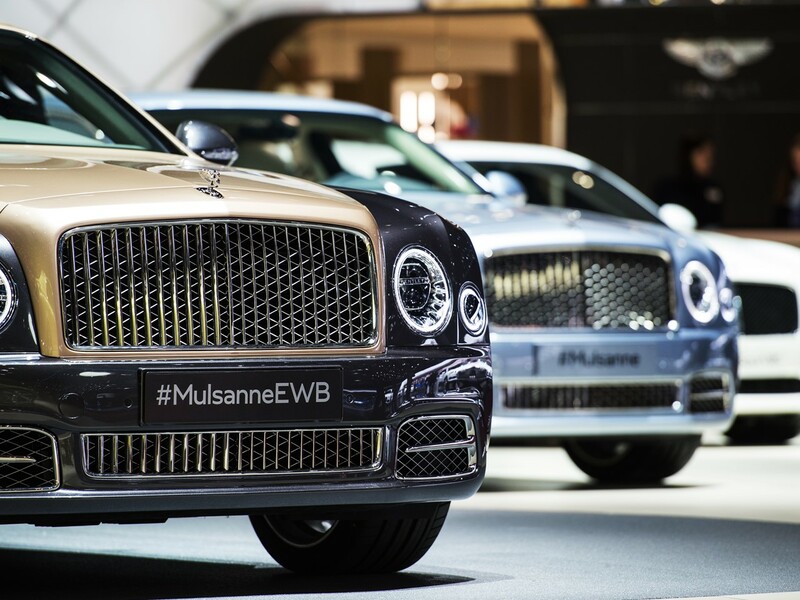 They make the special world of Mulsanne even more so. 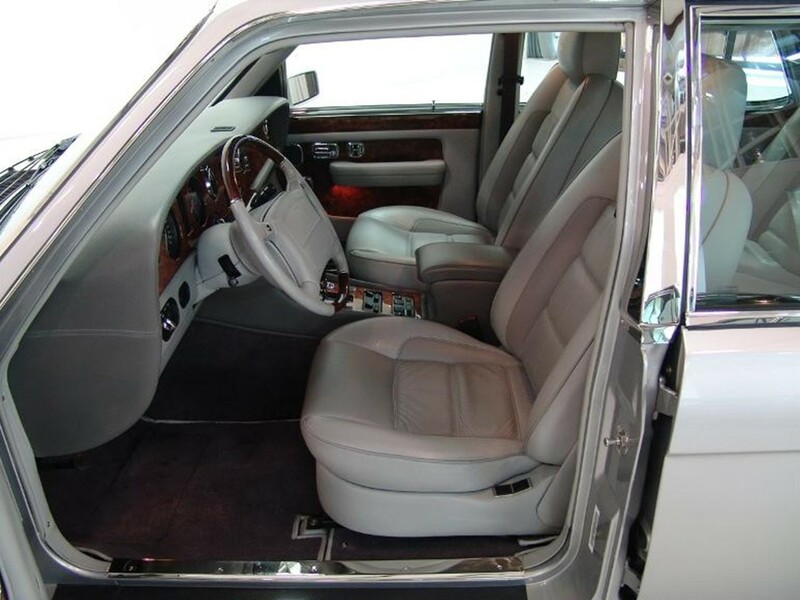 This extra exclusive cabin is a 2+2 configuration with front and rear center consoles. 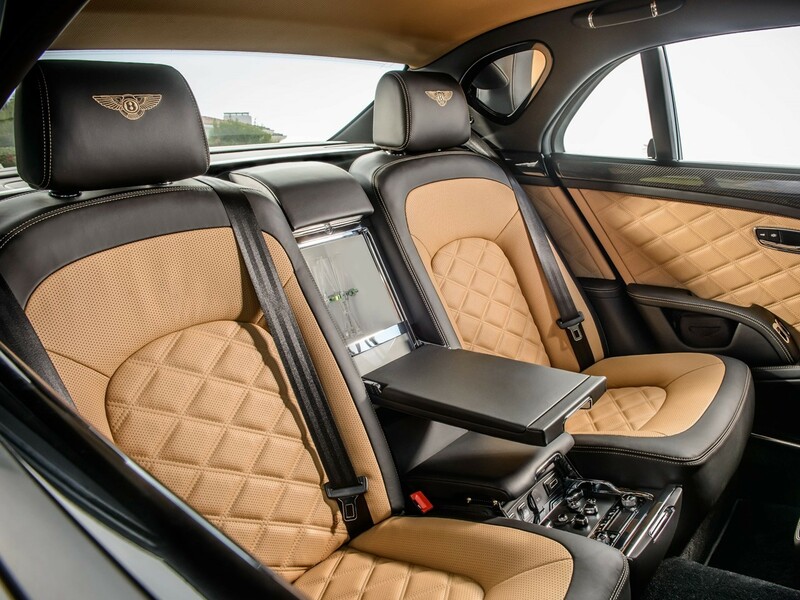 Rear seat passengers benefit from the all-new “Bentley Entertainment Tablet.” A pair of 10.2” Android devices with 4G Wi-Fi and Bluetooth capability are integrated into the front seat backs and deploy at the touch of a button. 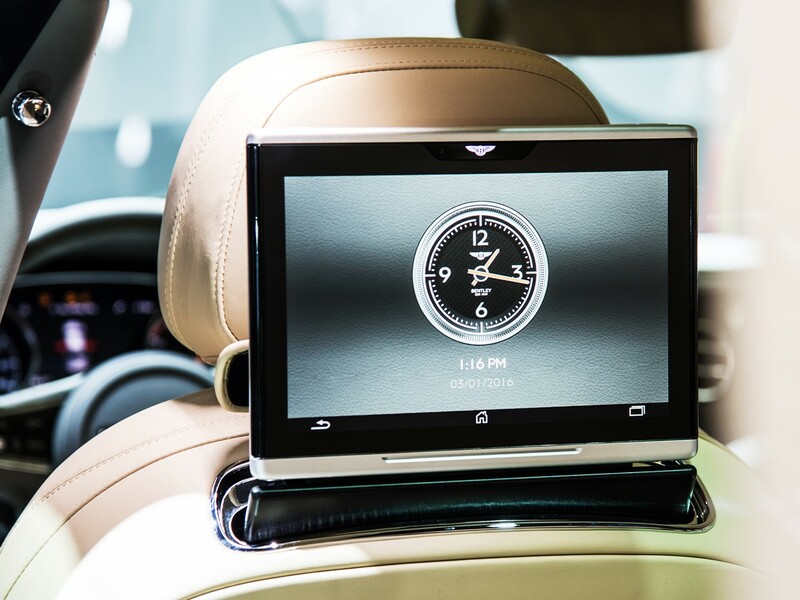 The Android powered tablets feature Bentley-specific interface with access to over one million Android Apps. 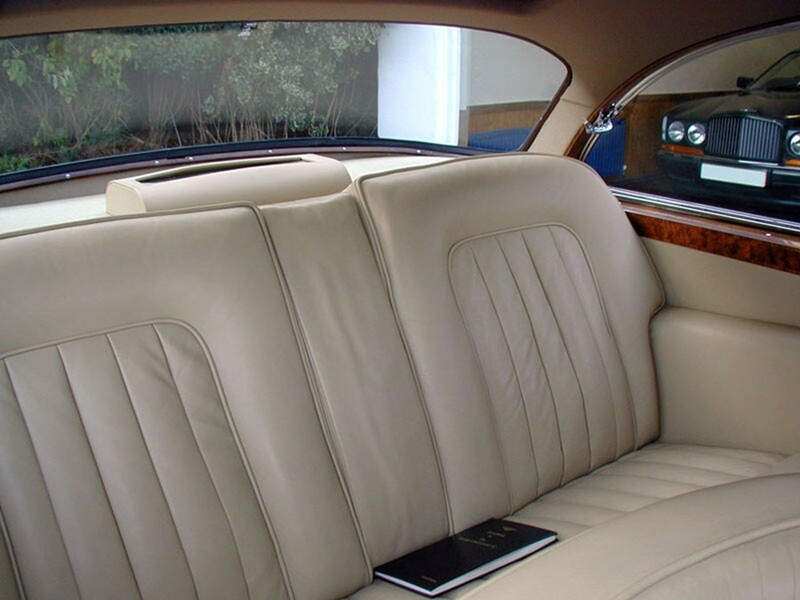 They may also be used away from the car. 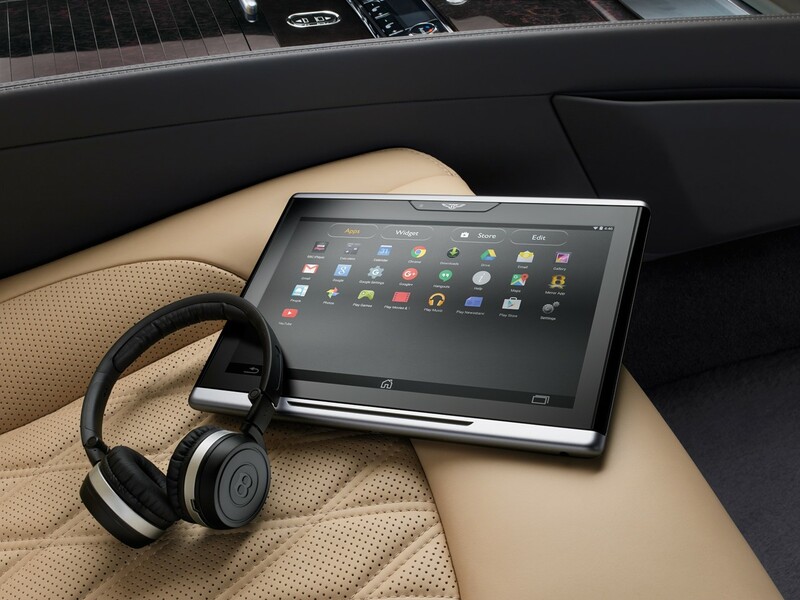 Each tablet has 32GB on-board storage capability. 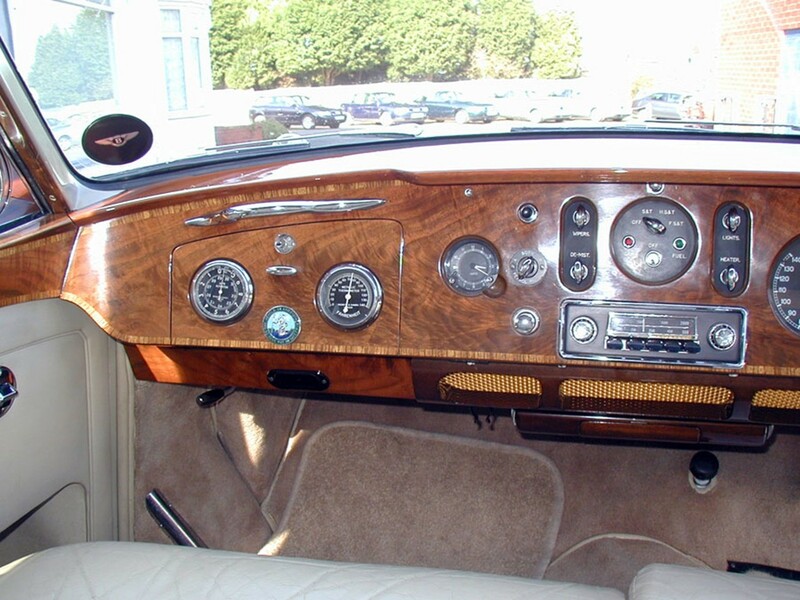 The system interfaces with the car’s navigation system. 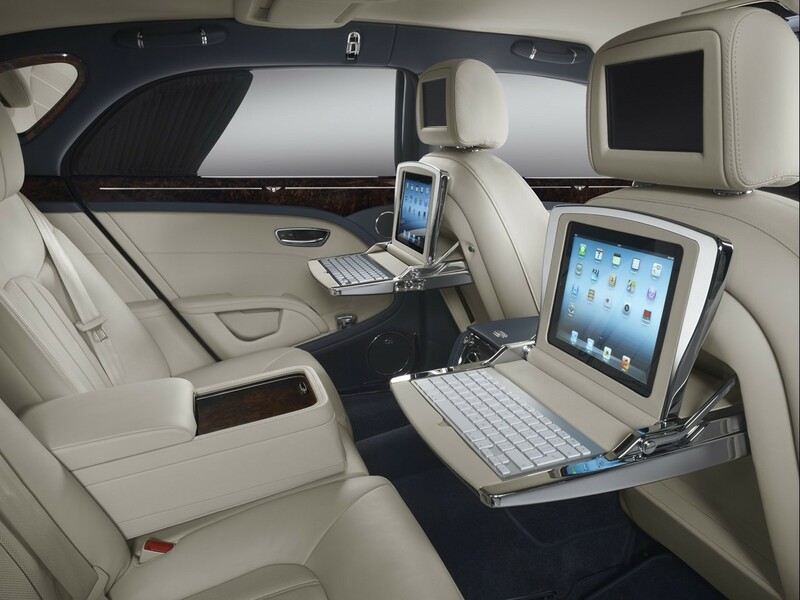 Audio/Visual streaming capability is included as part of the Mulsanne’s inter-connectivity along with internet browsing. 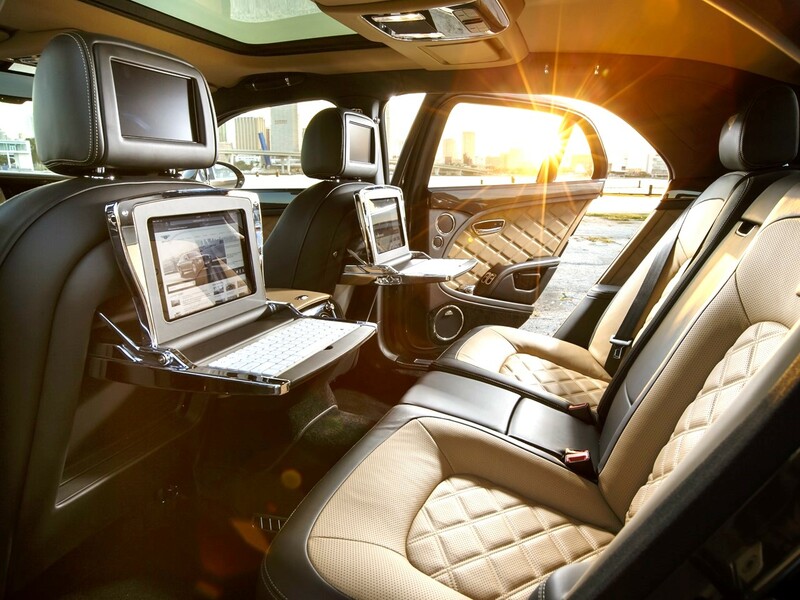 With a motorcar as highly bespoke as Mulsanne, the client may design their own exclusive suite of infotainment to interface with home or office systems. 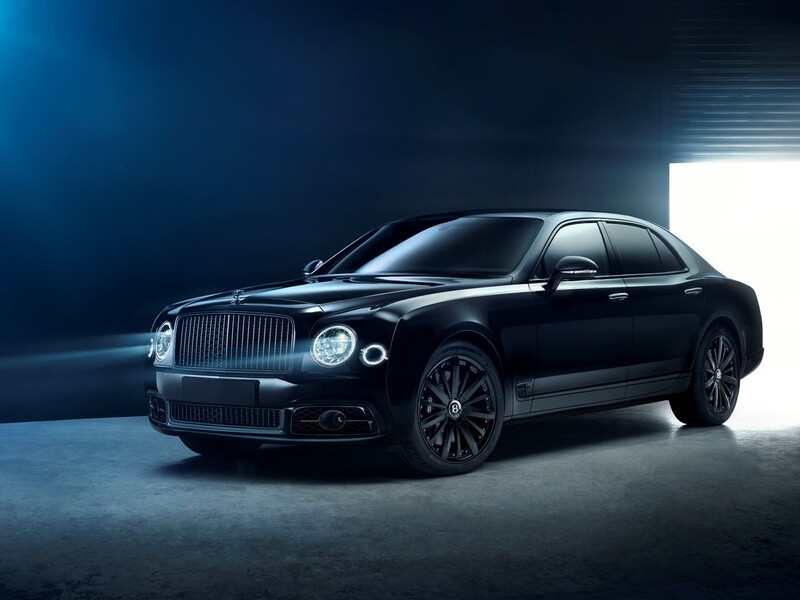 The illustrious Mulsanne Speed became the most spirited contemporary Bentley model joining the ranks for the 2014 model year. 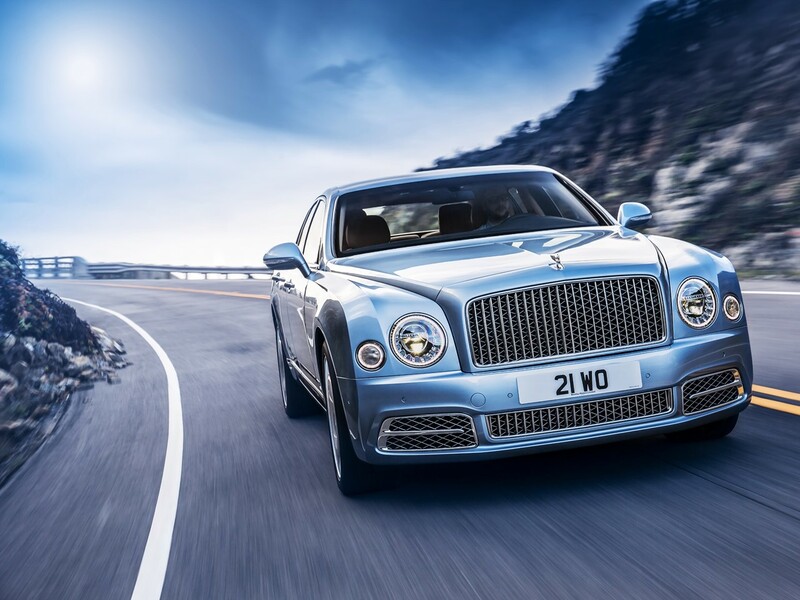 Mulsanne Speed for 2017 is a pulse-invigorating performance saloon that offers substantially more than performance. 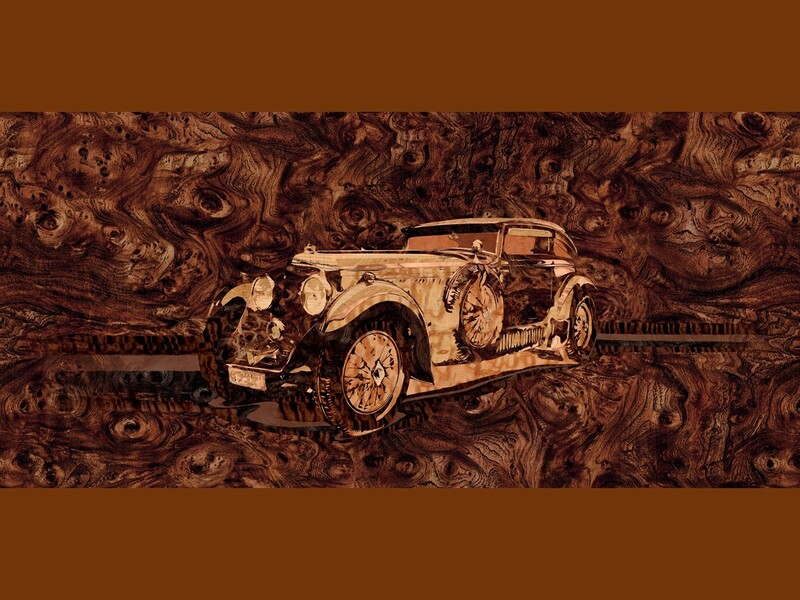 Talented artisans handcraft rare veneers, high quality natural grain hides, and plush pile carpets into a cabin of unsurpassed comfort and distinction. 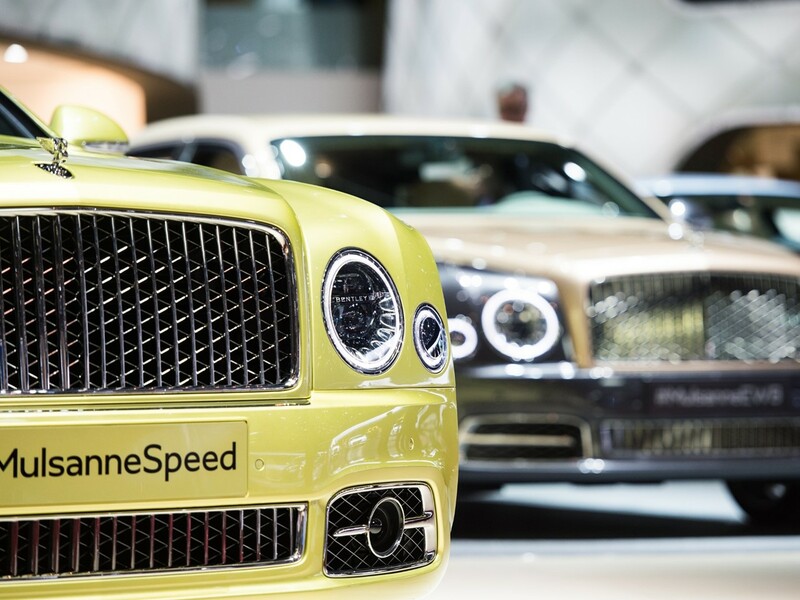 Mulsanne Speed remains true to form being a fast sporting machine built in the classic European tradition. 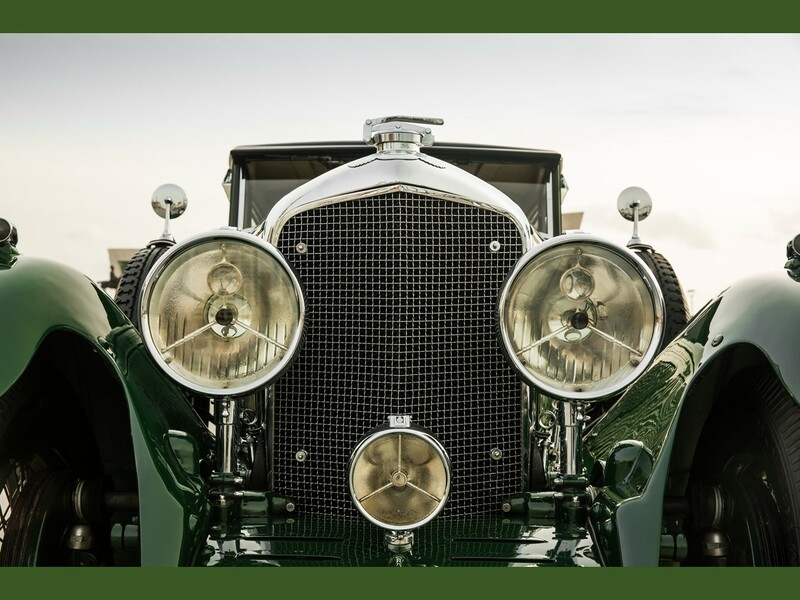 Performance, impressive road capabilities, silence, and superb comfort come together in the newest of a historic and elegant line of motorcars that have made Bentley the definitive choice among enthusiasts for well over half a century. 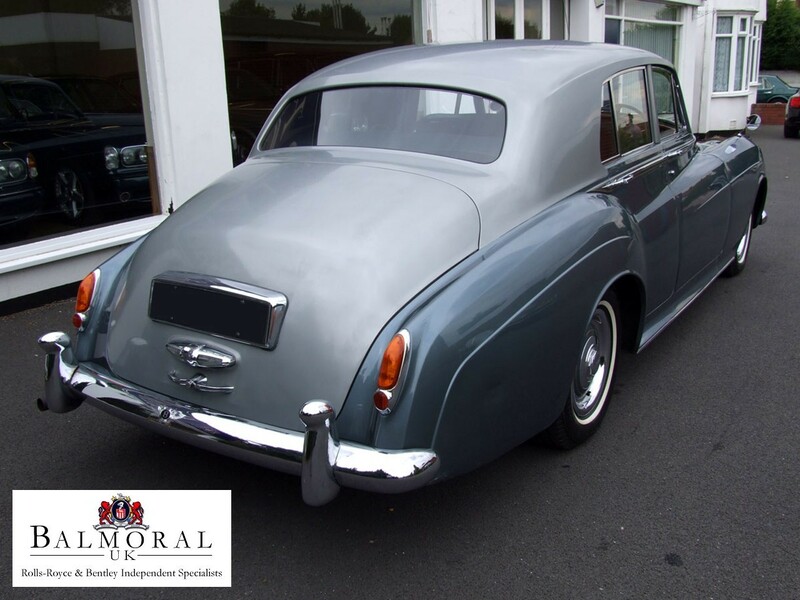 The heart and soul of this British masterpiece beats the 6.75 litre light alloy 16-valve OHV twin-turbocharged V8 engine. 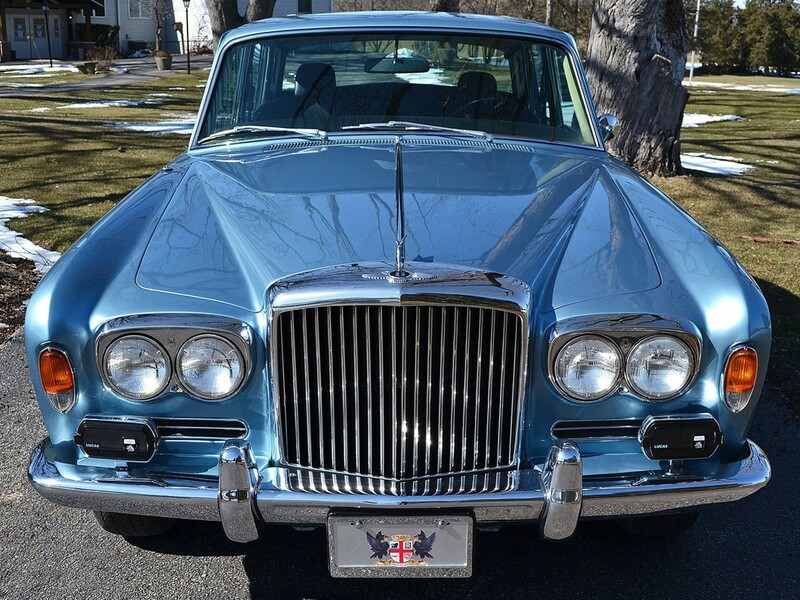 High revs at low rpm is a Bentley hallmark. 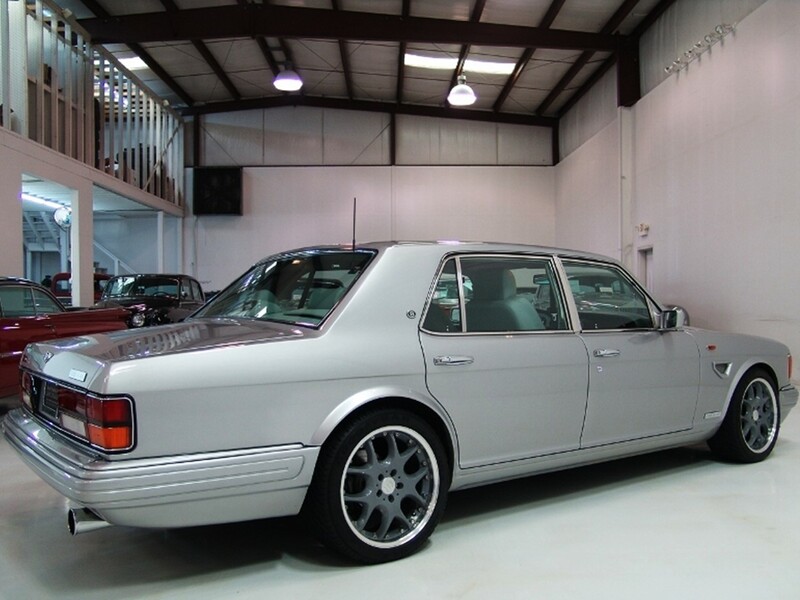 This legendary powerplant cranks an astounding 530 hp @ 4,000 rpm packing a prolific punch with 1,100 Nm of peak torque @ 1,750 rpm for the Mulsanne Speed. 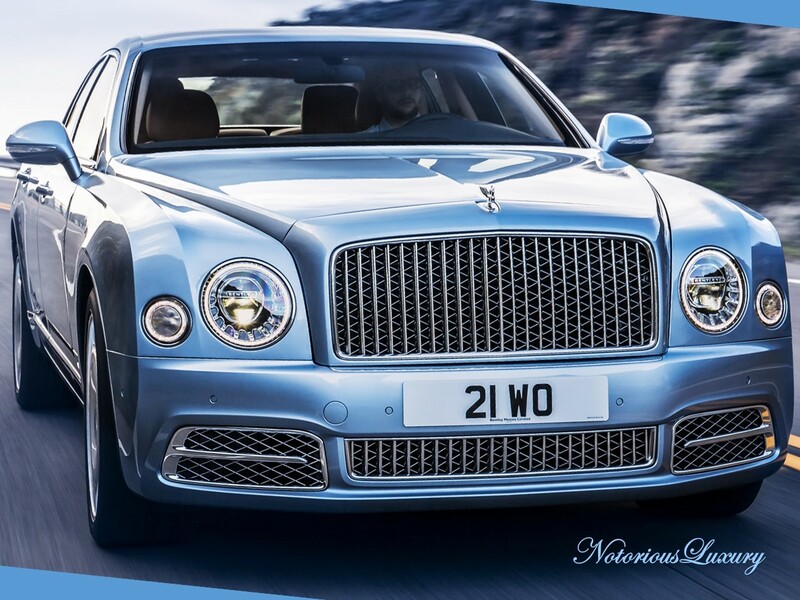 Mulsanne and Mulsanne EWB offers equally impressive performance pumping 505 hp @ 4,000 rpm with an astounding 1,020 Nm of peak torque at 1,750 rpm. 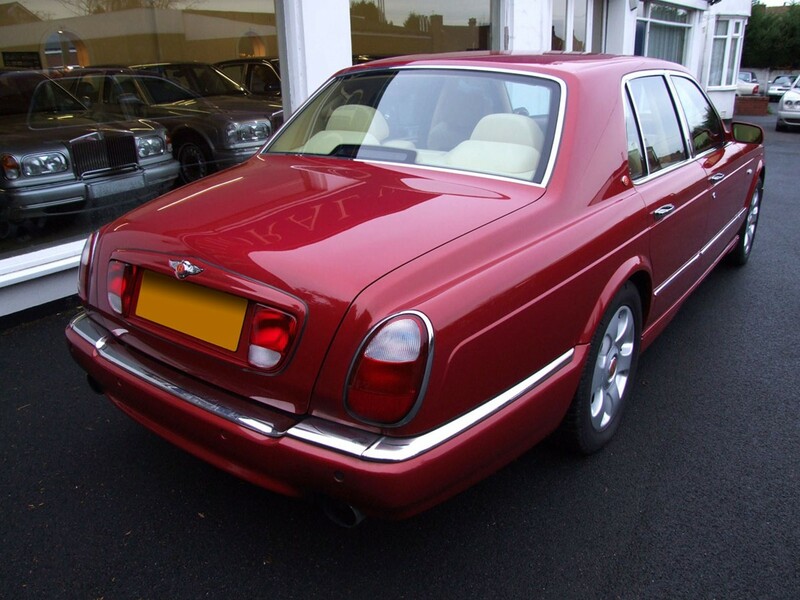 Its chassis is equally aggressive to accommodate this masterful motorcar. 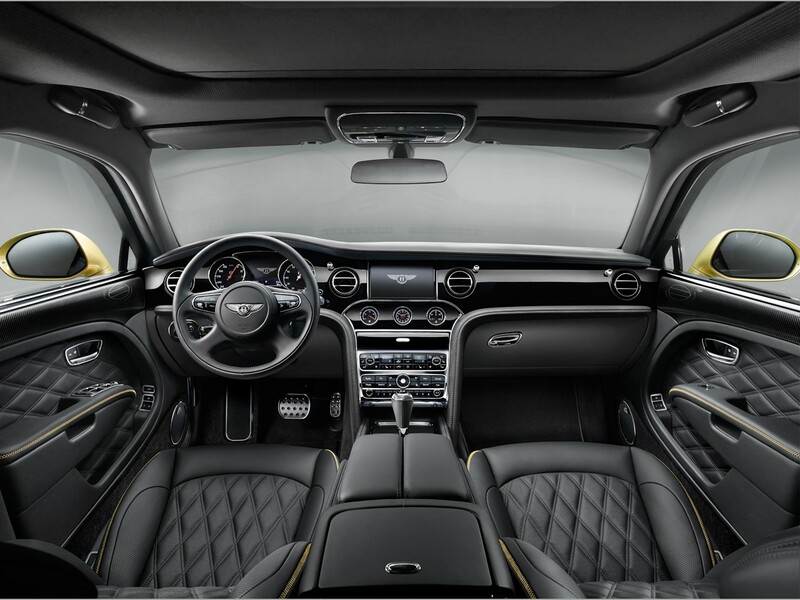 Advanced technology delivers one of the world’s most refined rides with effortless comfort via selectable sports suspension to fine tune the ride to the driver’s preference. 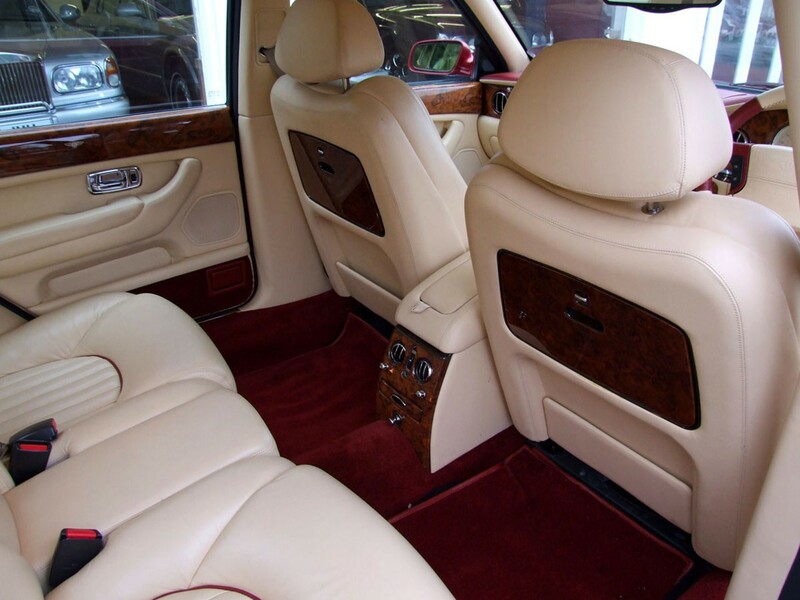 This luxury brute is highly capable of performance that would shame a sports car. 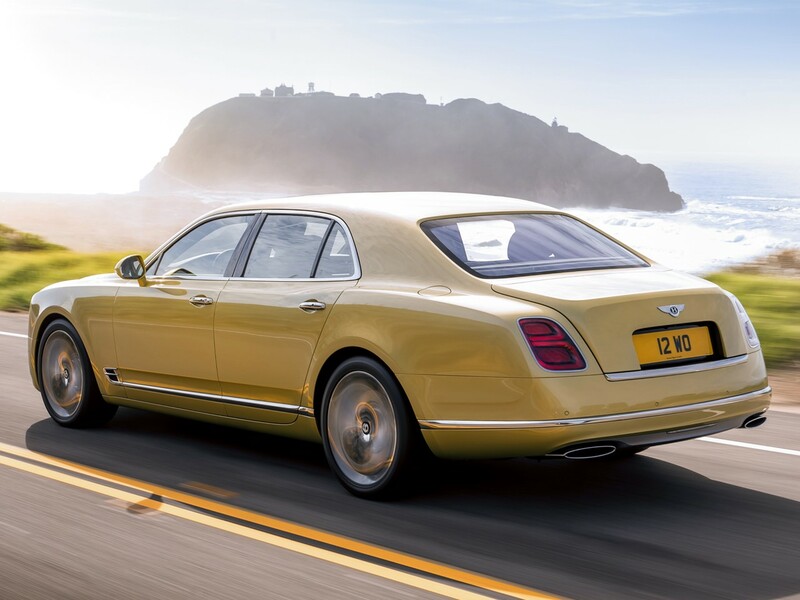 Longitudinal acceleration for the Mulsanne Speed is rated as 0-60 mph in a mere 4.8 seconds with a top speed in the 190 mph range. 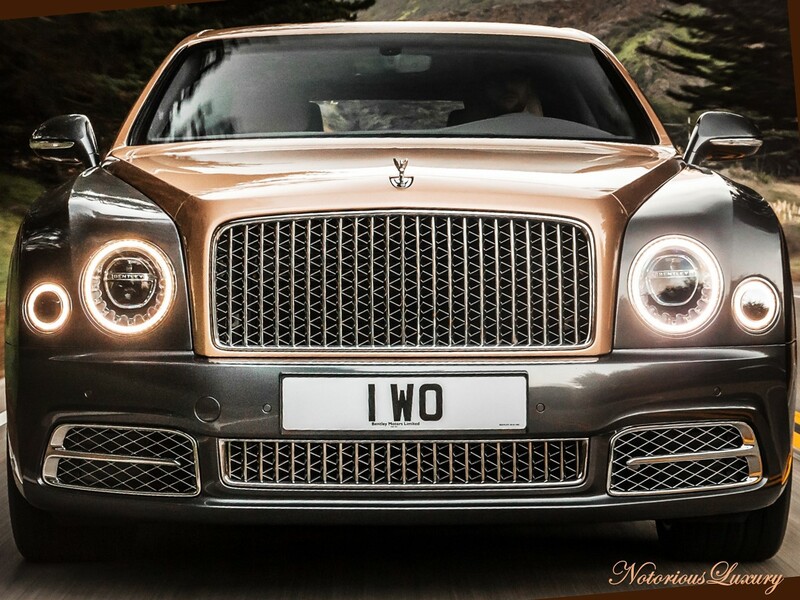 While Mulsanne and Mulsanne EWB has longitudinal acceleration rated as 0-60 mph in just 5.1 seconds with a top speed in the 184 mph range. 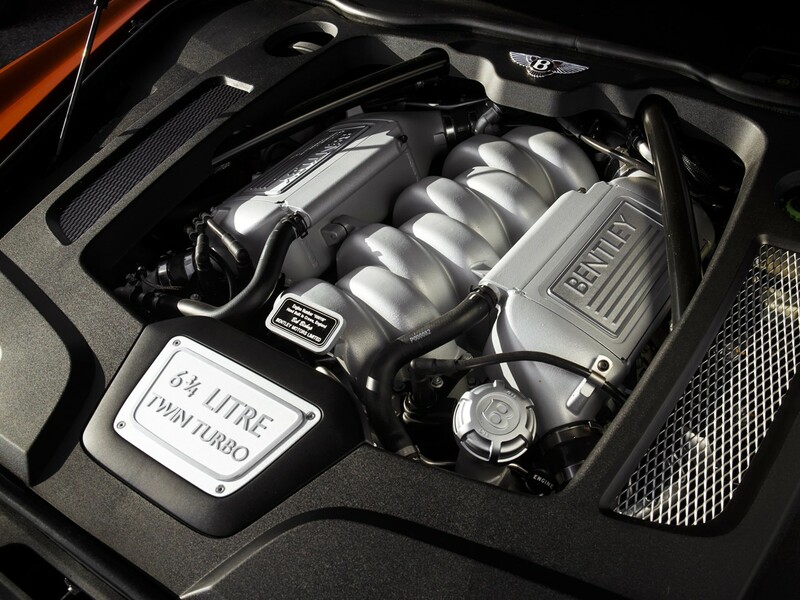 High performance is nothing new to any Bentley. 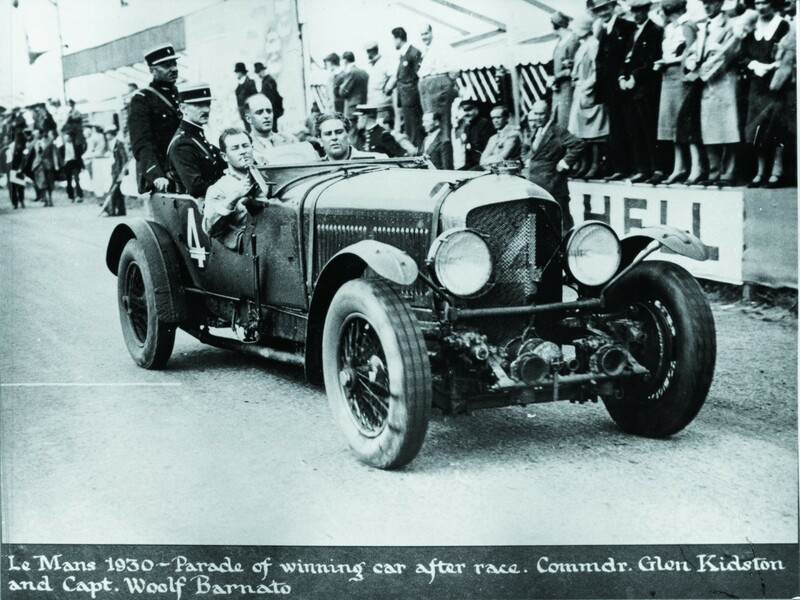 From its humble beginnings with its creator W.O. 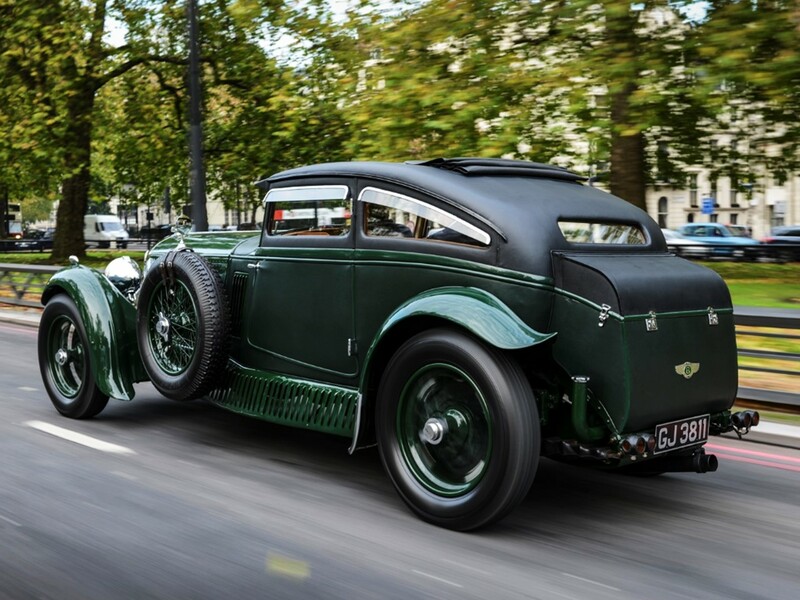 Bentley who initiated the legend to the notorious Bentley Boys that earned consecutive wins from 1927 to 1930 at the grueling 24 hours of LeMans – Bentley EARNED its respect. 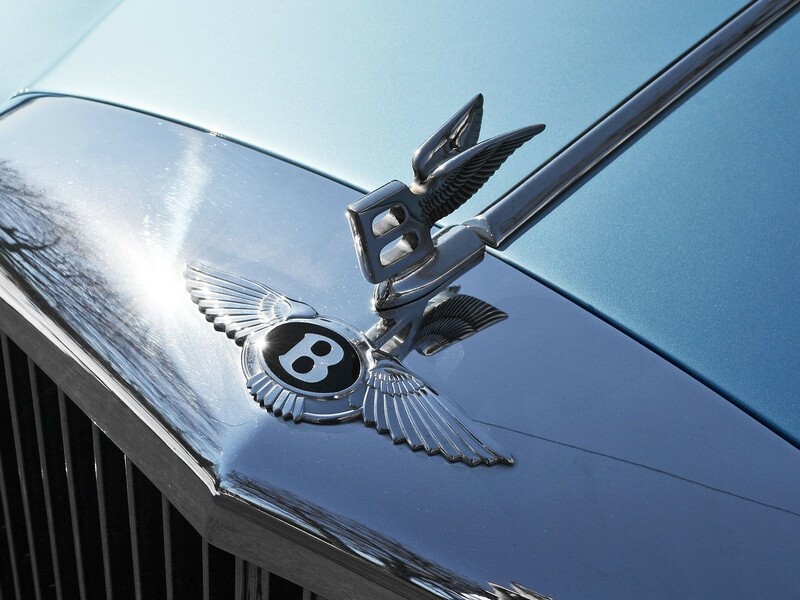 Bentley has always been a tad bit more spirited than its Rolls Royce counterpart. 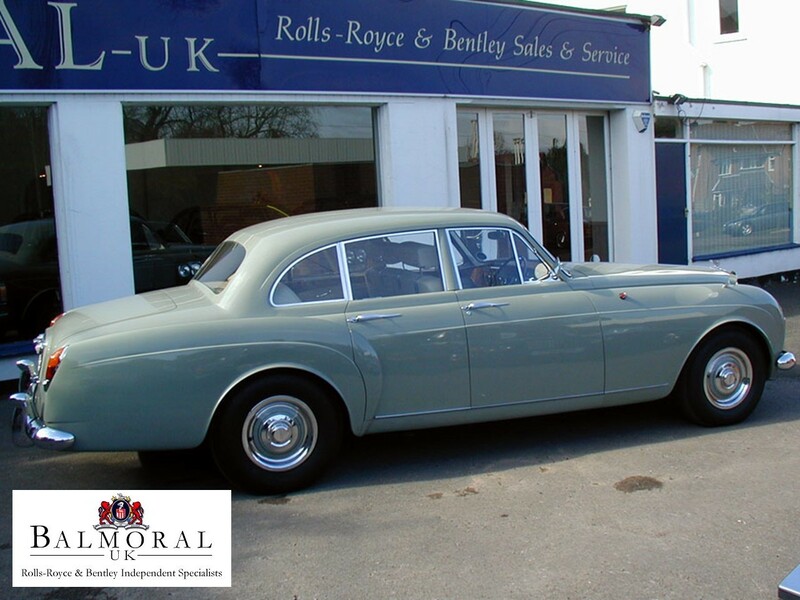 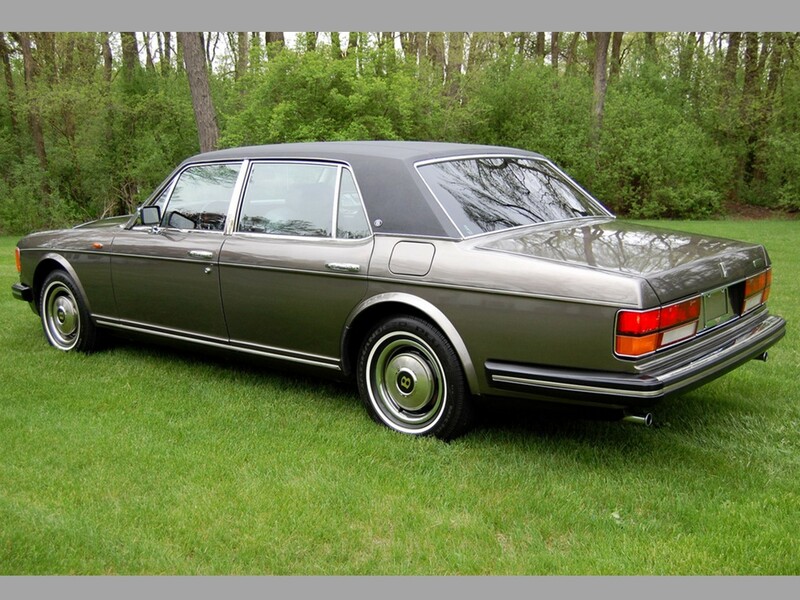 It was considered the sporting version of Rolls Royce for the owner who wished to maintain a low profile. 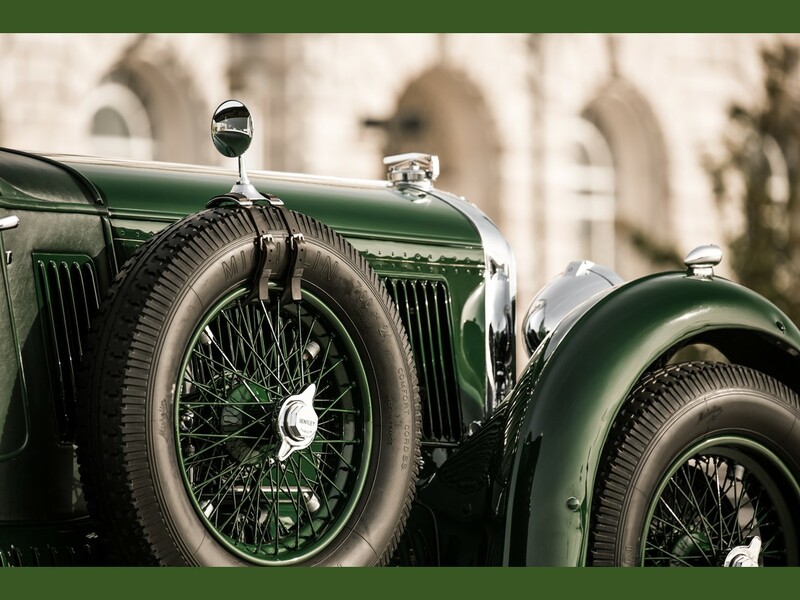 Walter Owen Bentley’s motto was “To build a good car, a fast car, and the best in its class.” His cars raced climbing hills at Brooklands…scorching the tracks at the Indy 500, and those famous wins kickin’ up a little dust at LeMans. 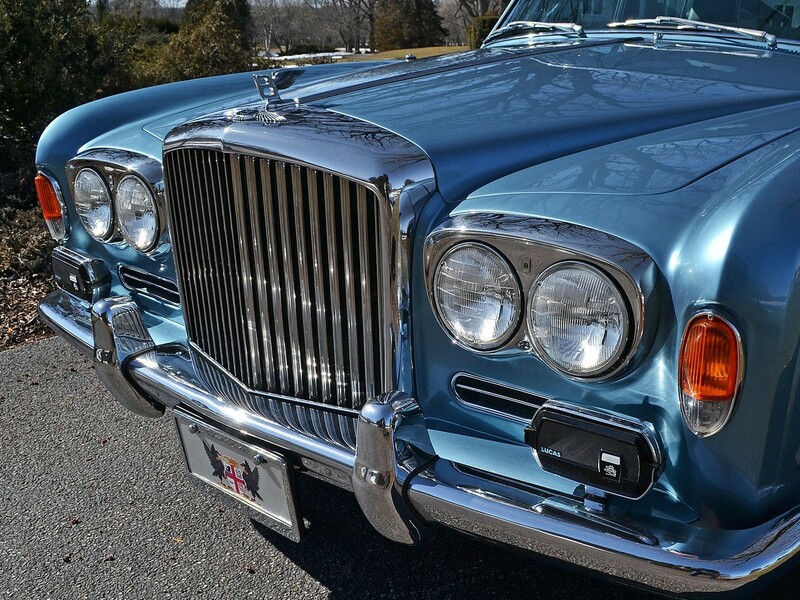 Aside from Mulsanne’s luxurious appeal, there is also a practical sense. 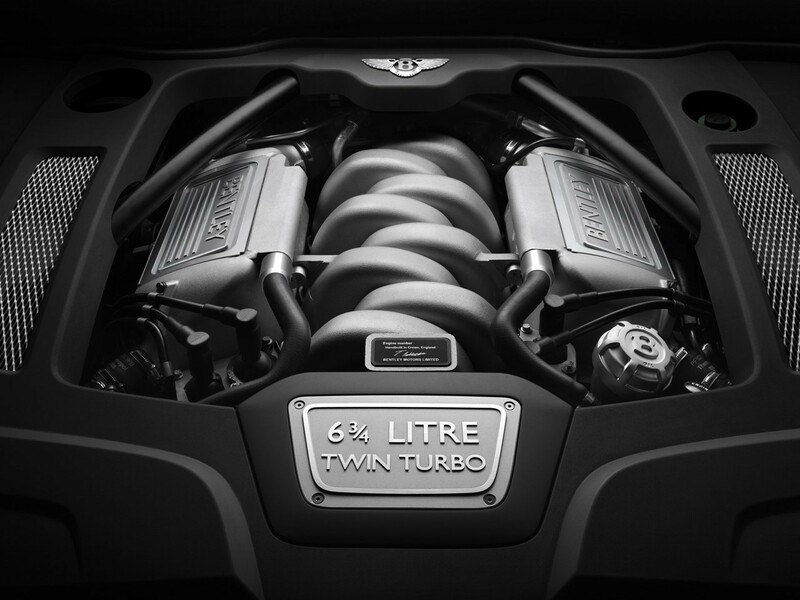 Its powerful V8 engine is geared for today’s world. 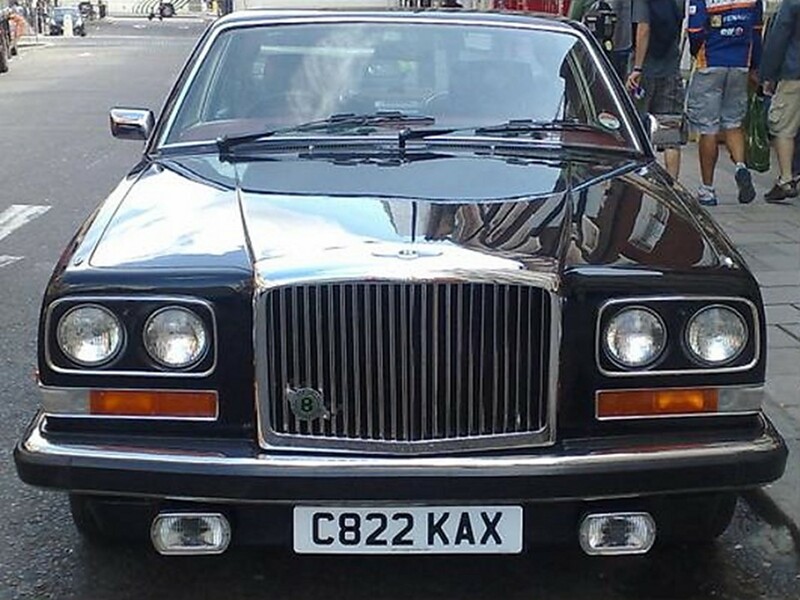 “Big Ben” is the unexpected economy car. 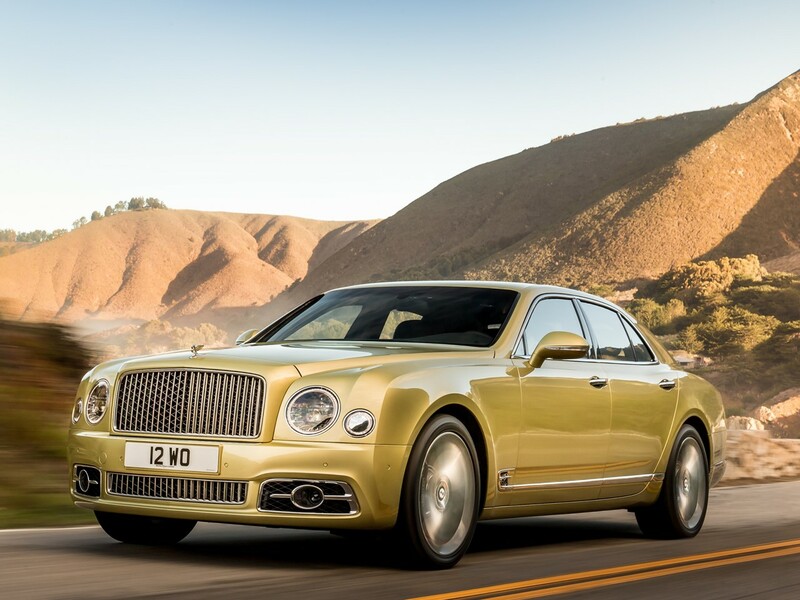 The Mulsanne uses technology to reduce overall fuel economy via cylinder deactivation to allow the car to cruise on four cylinders under light vehicle loads. 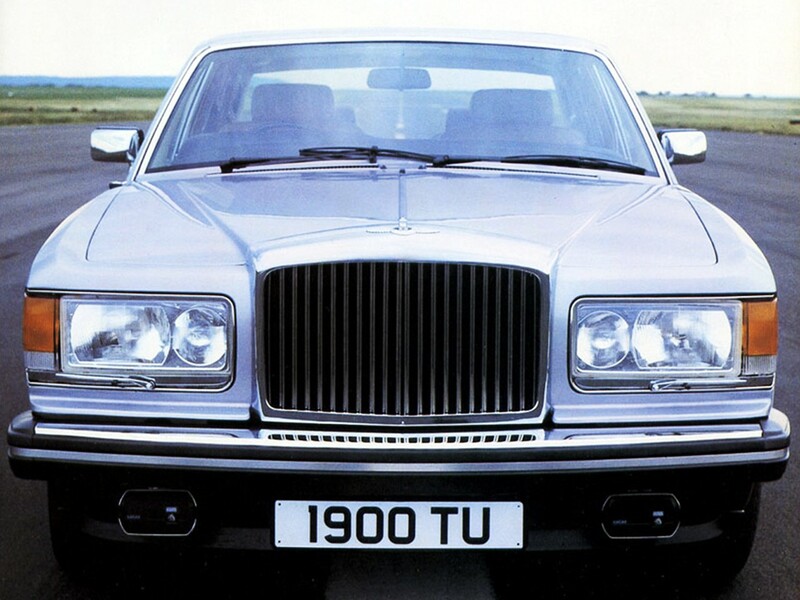 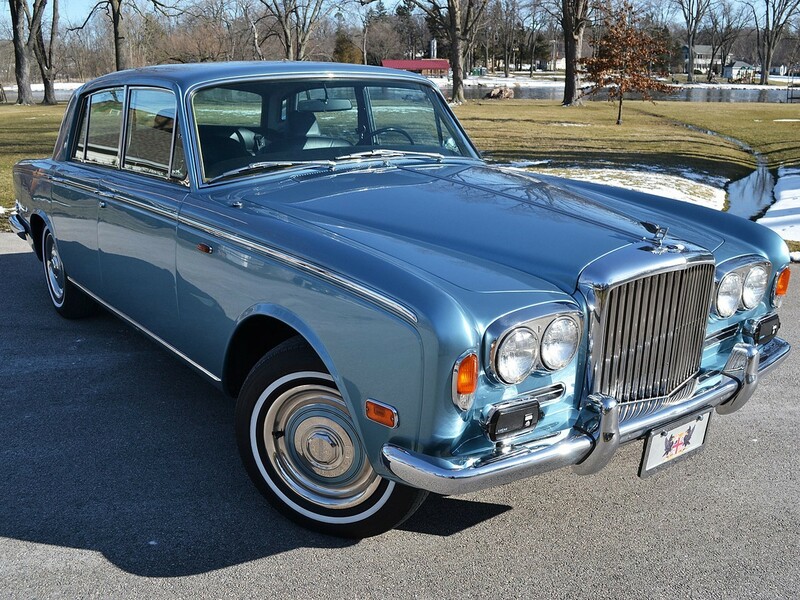 Note the styling continuity, the previous Mulsanne saloon remains as tasteful and elegant as the current model. 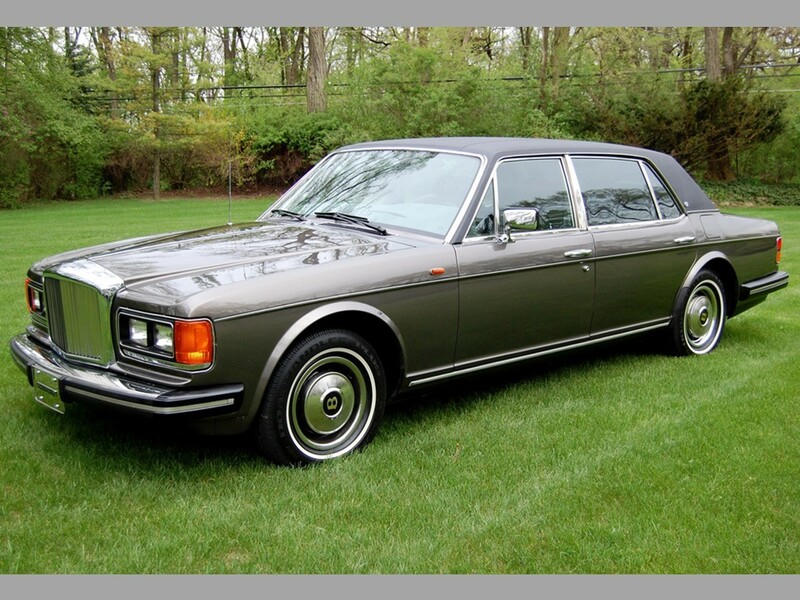 This only proves that good taste is never rendered redundant. 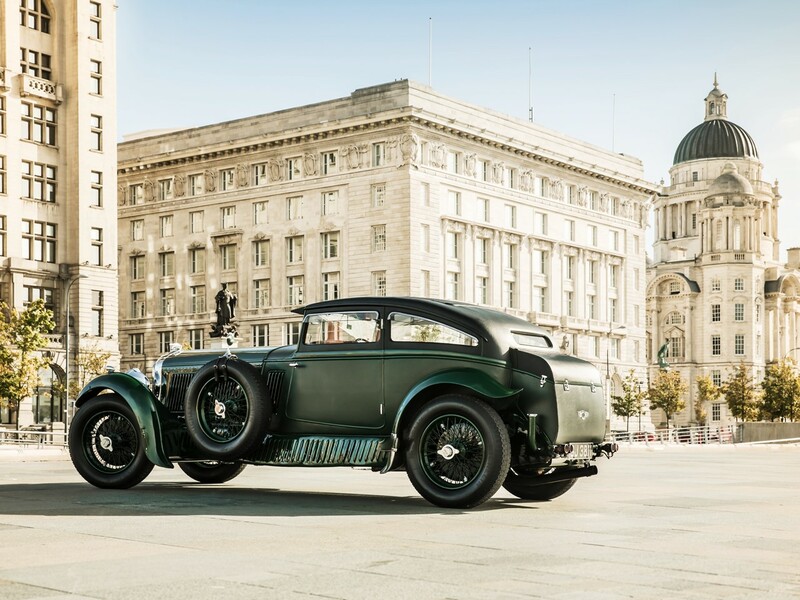 “Big Ben” is a highly intuitive luxury saloon equipped with a thinking suspension. 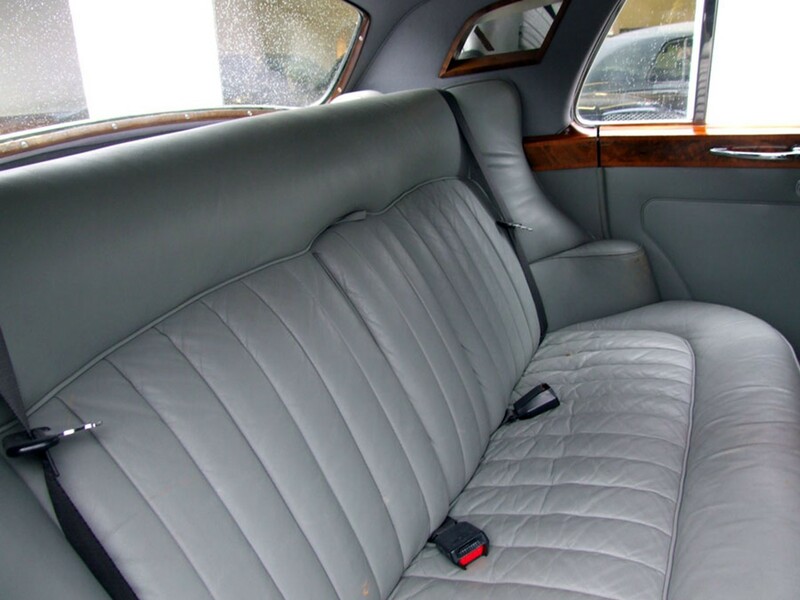 It uses an air cushioned system with Continuous Damping Control (CDC) to refine the ride at lower speeds for comfort. 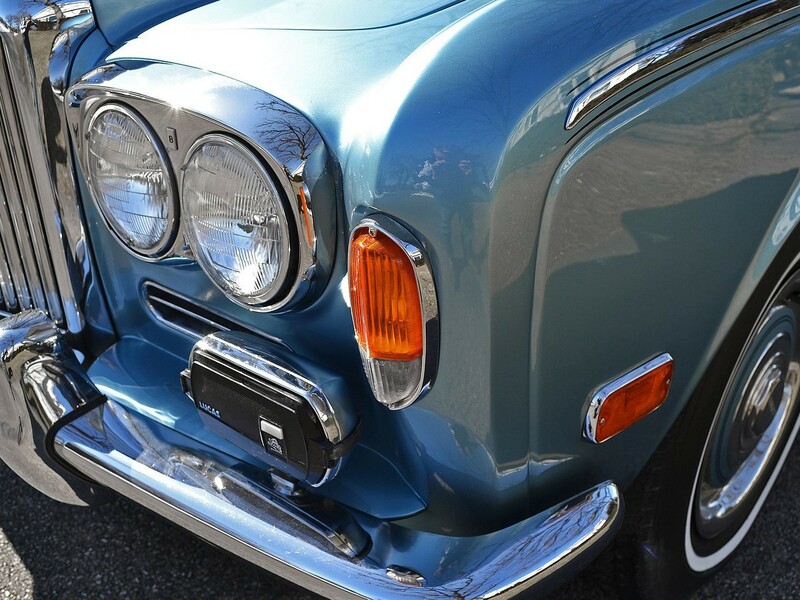 It automatically lowers the car’s ride height at higher speeds to aid stability while enhancing vehicle downforce. 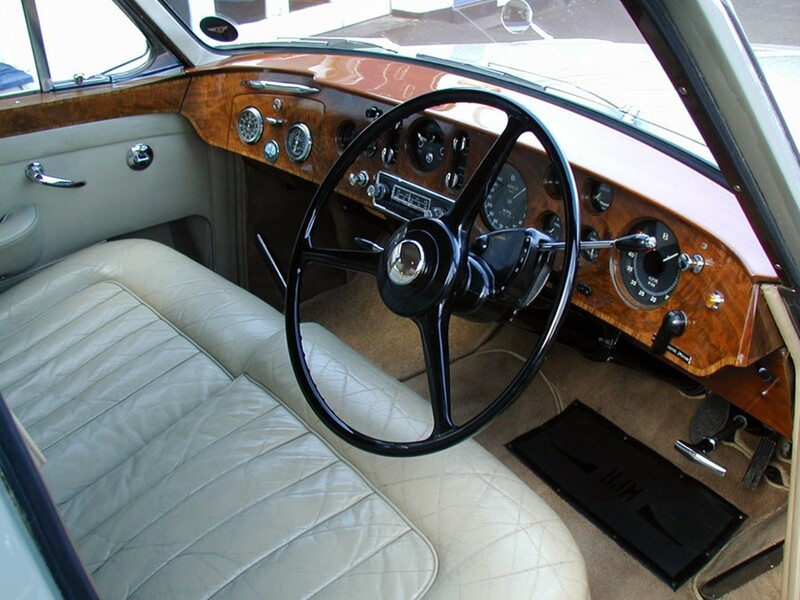 Drive Dynamics Control System allows the driver to program the ride operated by a rotary switch mounted next to the gear shift lever. 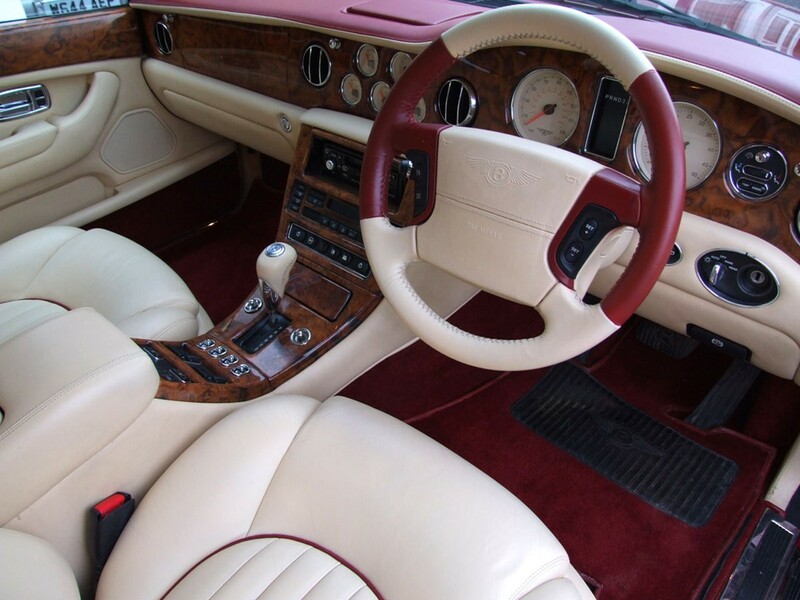 The driver may choose from Bentley, Sport, or Comfort. 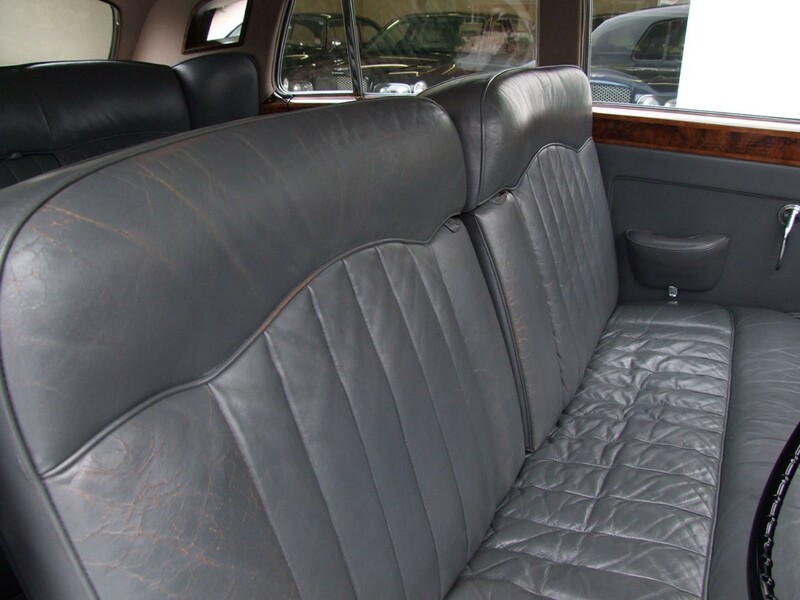 And if this isn’t sufficient…there is a 4th selection. 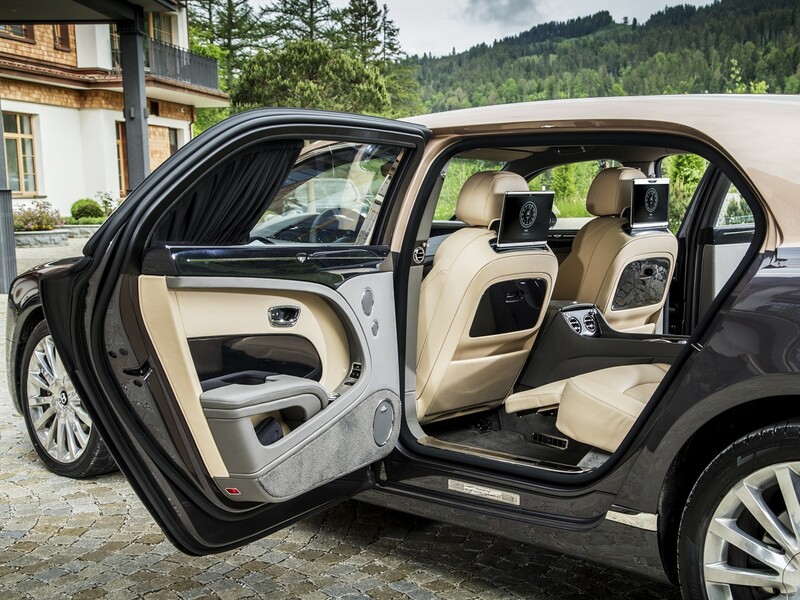 Custom mode enables the driver to select bespoke settings through Mulsanne’s multimedia system to further fine tune this luxury limo to suit their individual exigencies. 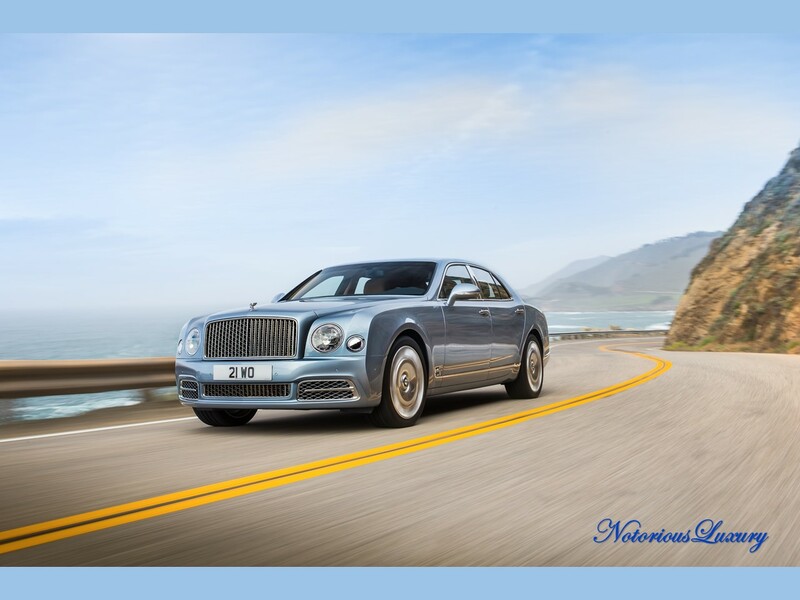 Mulsanne is a continual source of unparalleled excellence with comfort and convenience beyond the realm of ordinary luxury motorcars. 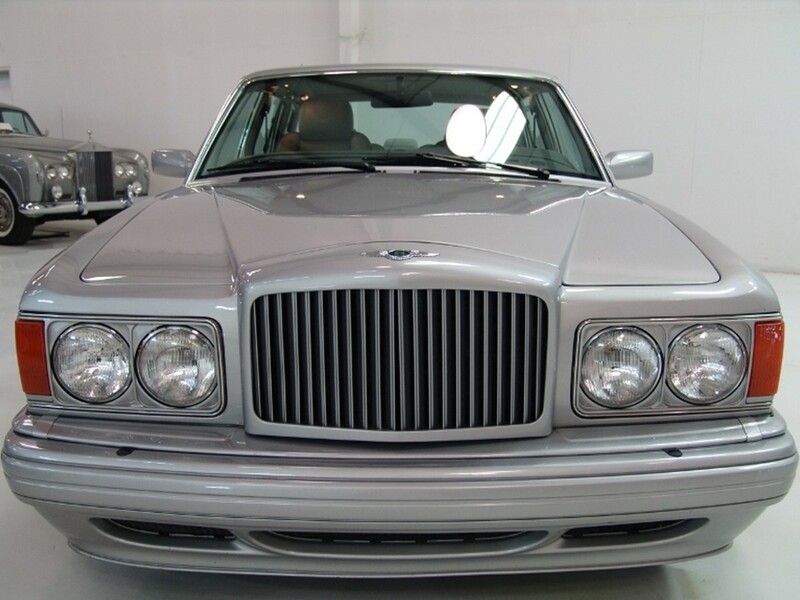 For example…Mulsanne’s “High Beam Assist” automatically dips its high beam headlamps when oncoming vehicles approach to avoid dazzling the eyes of motorists at night. 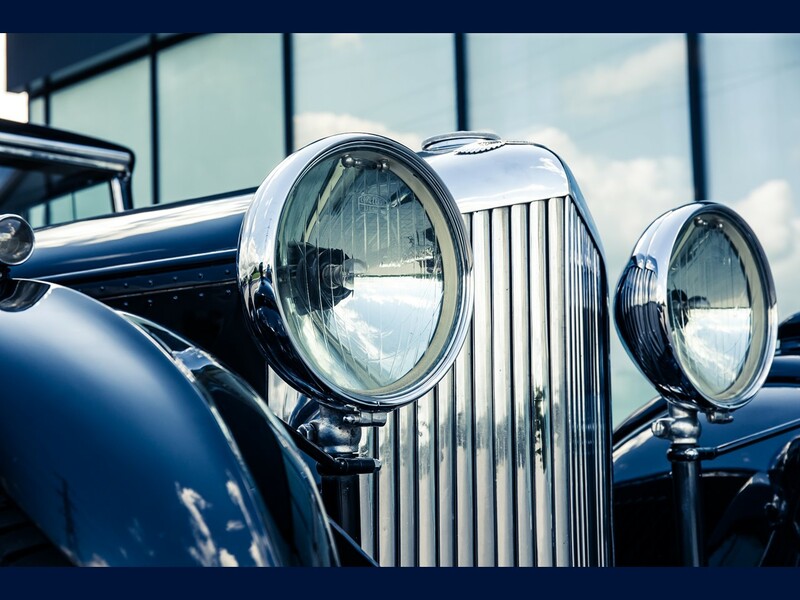 This electronic system adapts the shape of the light beam according to vehicle speed operating in 4 modes from which to select: Town, Country, Motorway, and High Beam. 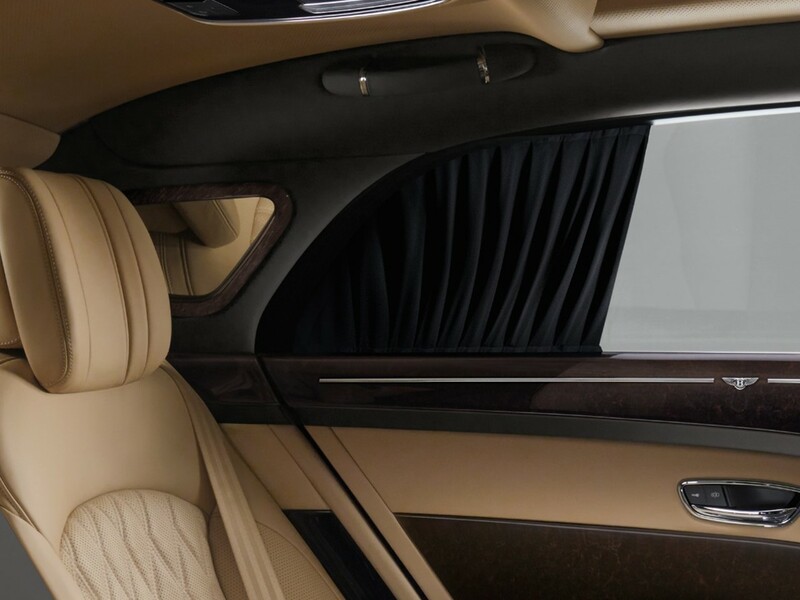 An ingenious “Blind Spot Warning System” detects vehicles behind the car in its blind spots to predict the possibility of collision. 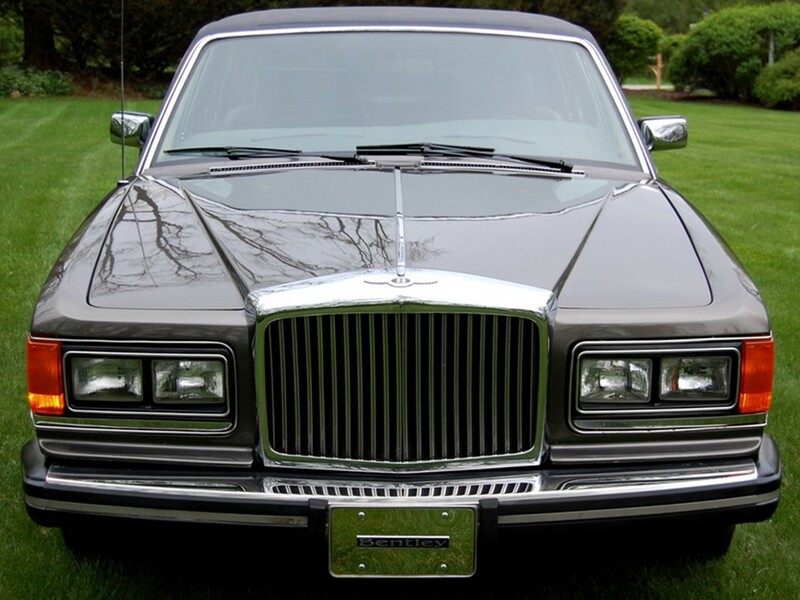 It flashes lights in the door mirrors. 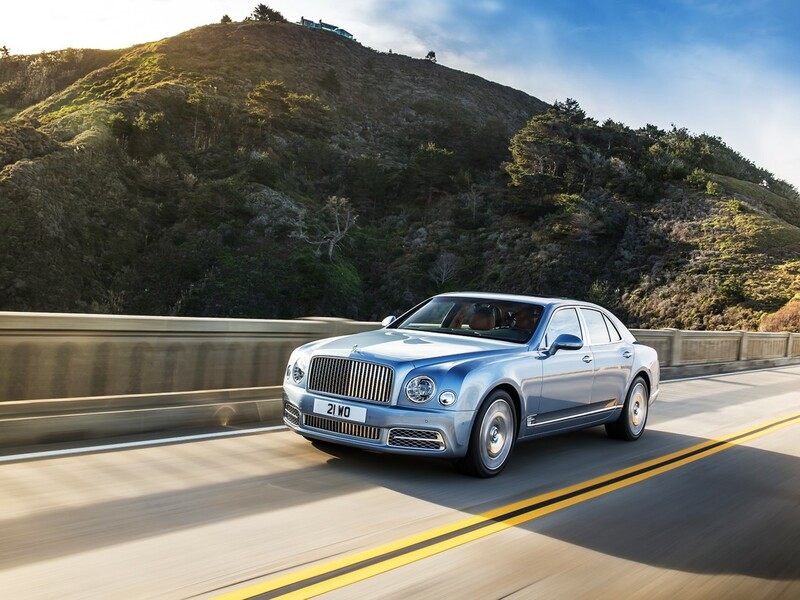 Another of Mulsanne’s collision mitigation features is Advanced Automatic Stability Control (ASC) to maintain optimum vehicle poise when needed. 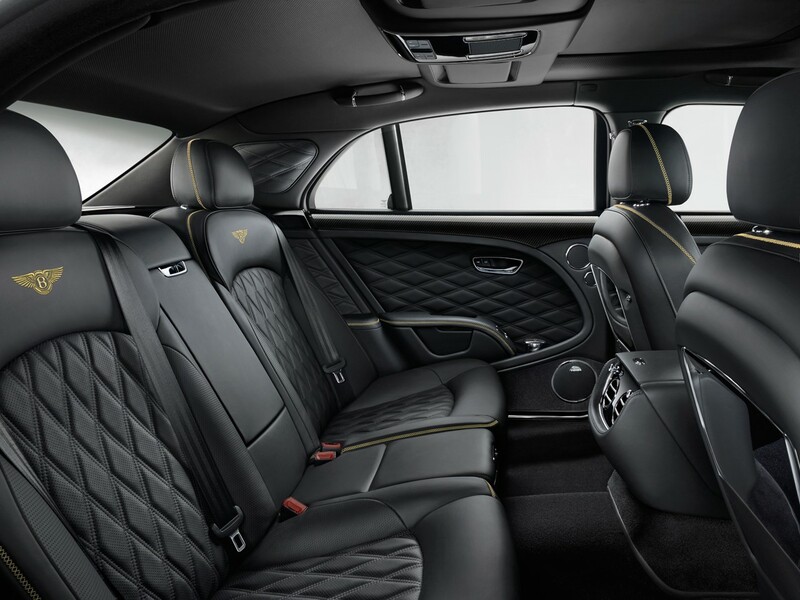 The Mulliner touch immediately escalates Mulsanne to new heights in exclusivity and supremacy which becomes the pinnacle of Bentley luxury and elegance. 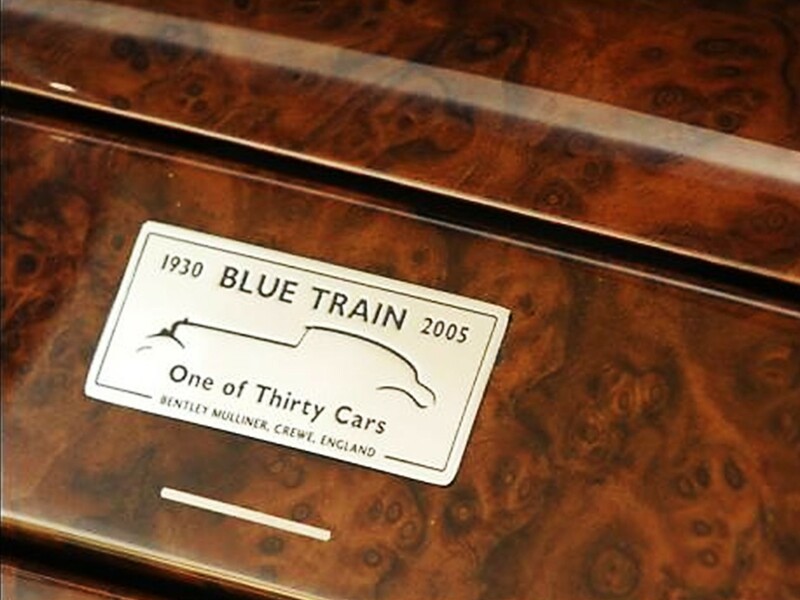 One such example has been created for George Bamford of Bamford Watch Department. 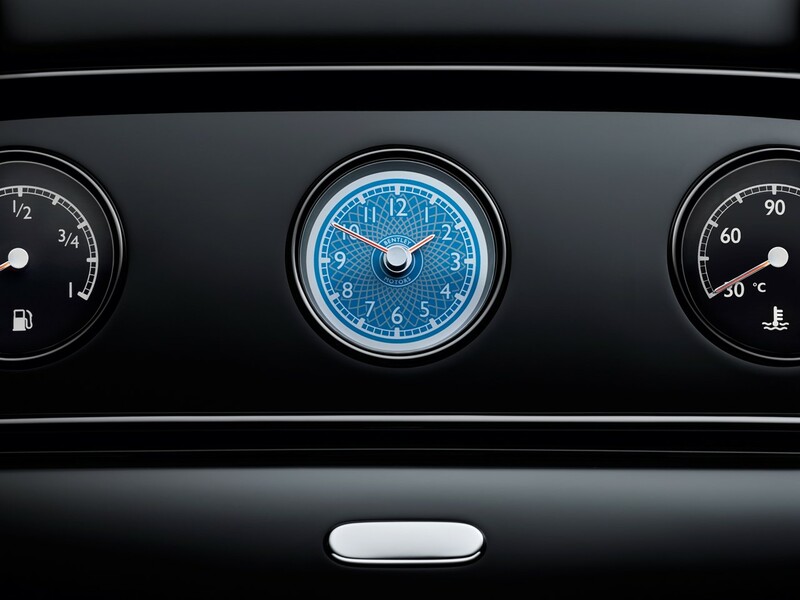 Bamford specializes in the bespoke customization of elegant timepieces. 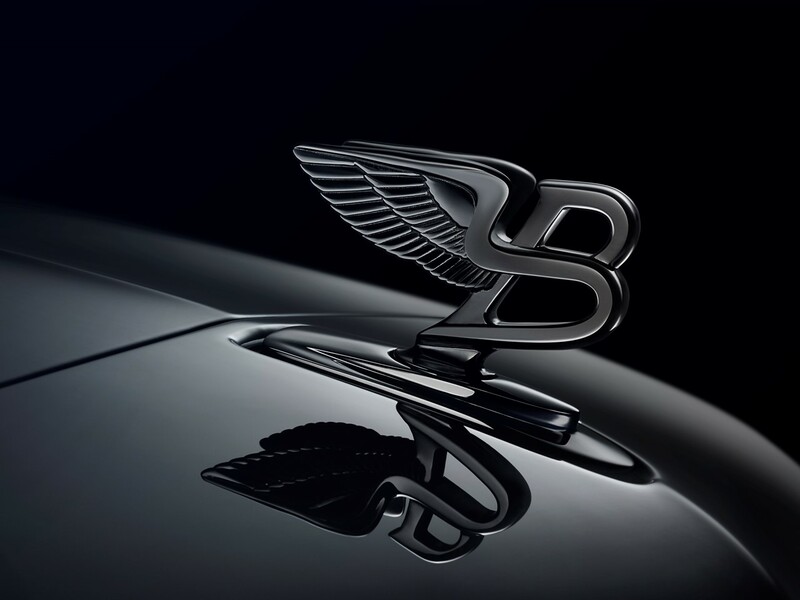 The Bamford X Bentley Mulliner Mulsanne Speed was designed in an elegant monotone of chic dark hues which is a true reflection of his very own savoir-faire. 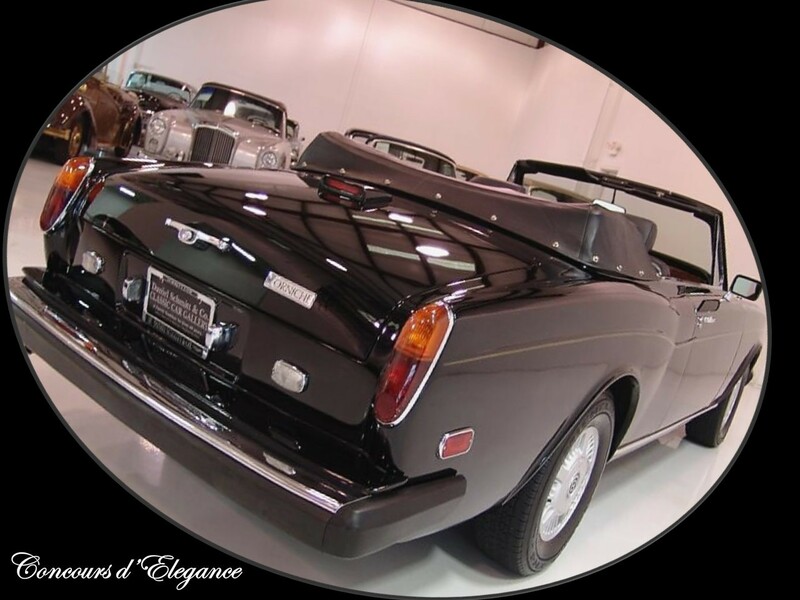 His signature panache coordinates black and dark tinted elements with a Beluga finish to all interior and exterior bright ware. 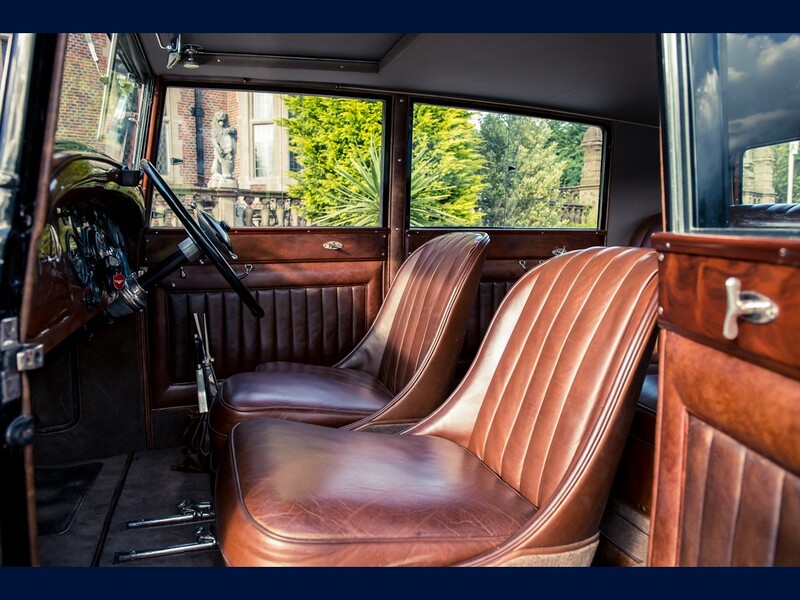 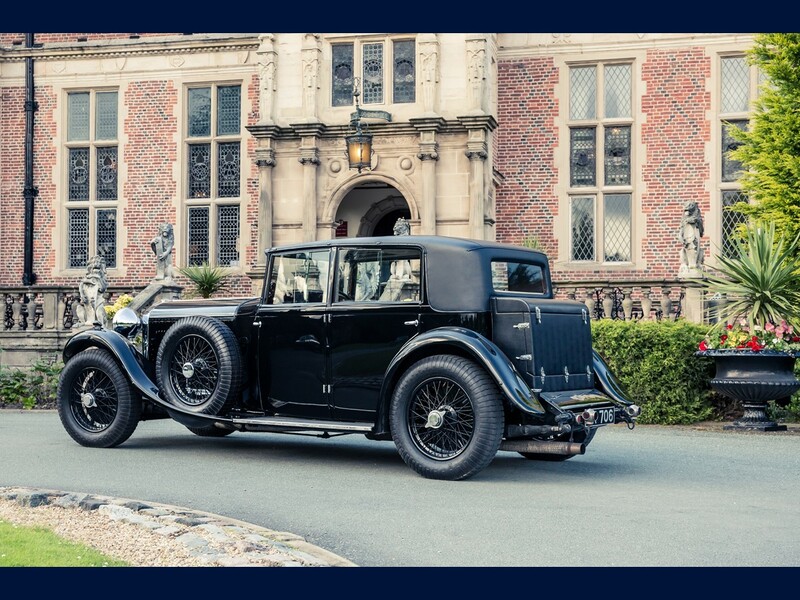 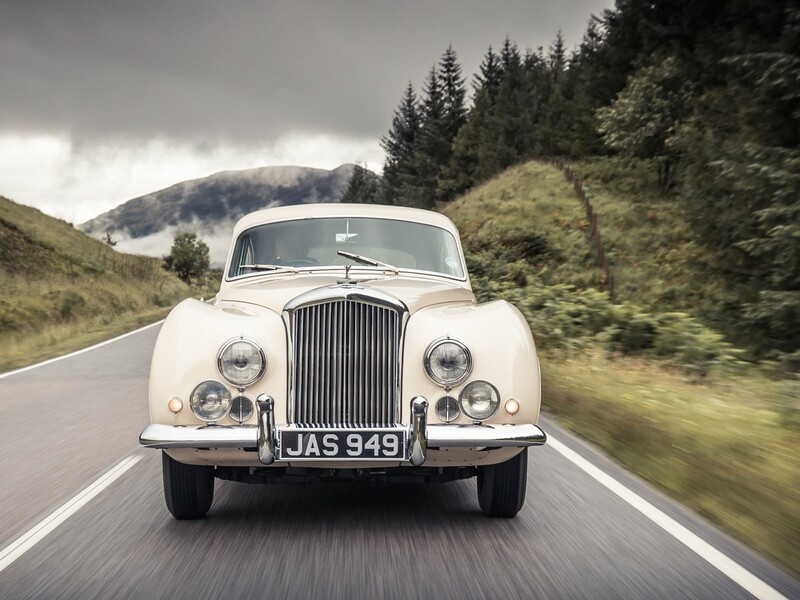 Once the Mulliner magic has been cast, the motorcar becomes a highly collectible heirloom. 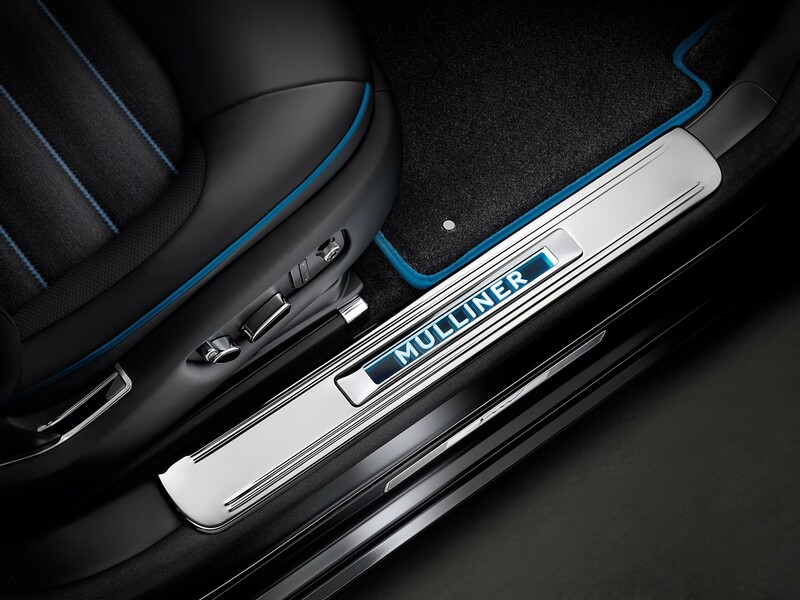 Apart from custom handcrafted four-door saloons and limousines, Mulliner has created two-door fixedhead and drophead coupé models. 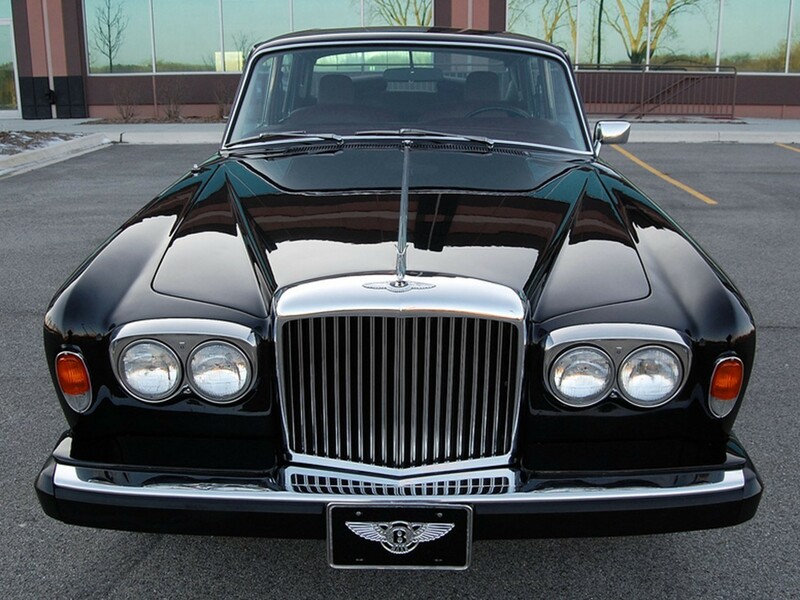 Only those who know the bona-fide meaning of success can fully comprehend the true nobility of a Mulliner masterwork. 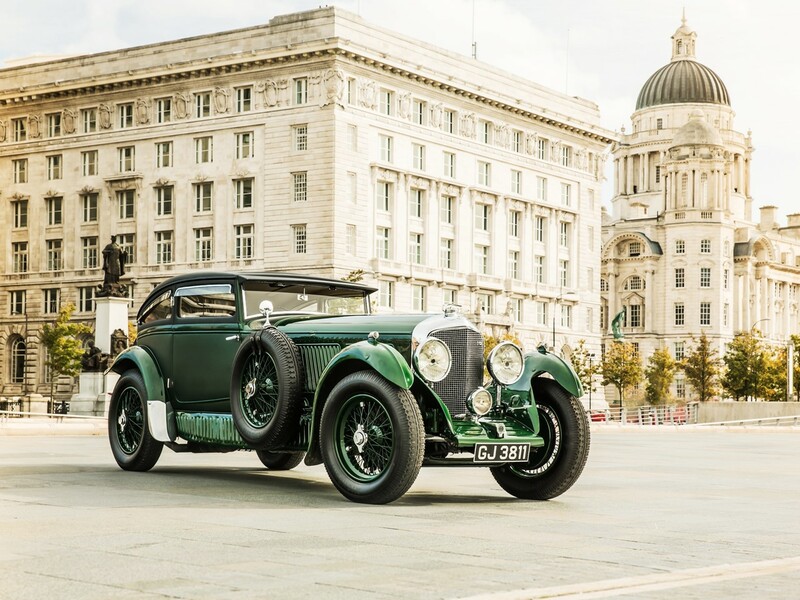 Before the spit between Bentley and Rolls Royce, HJ Mulliner, and Mulliner Park Ward handcrafted all two-door models exclusively. 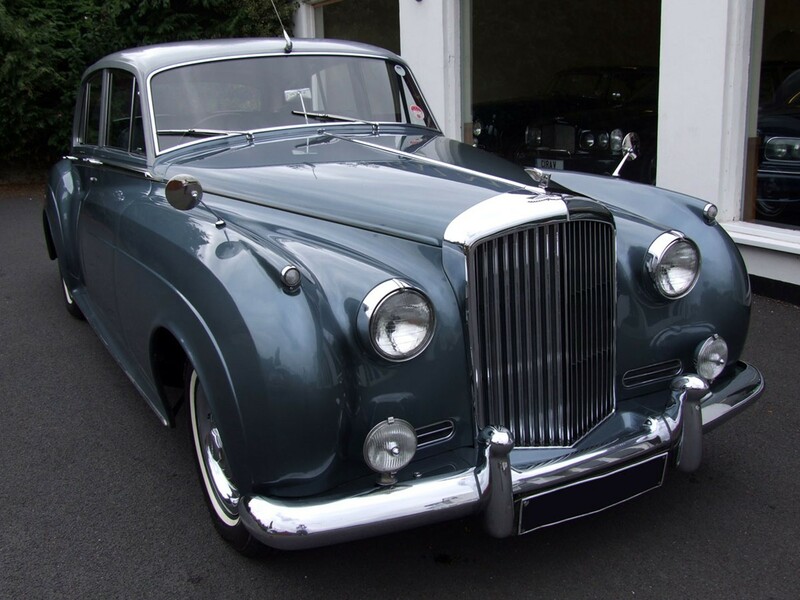 Bentley and Rolls Royce were at the time, built primarily as four-door saloons. 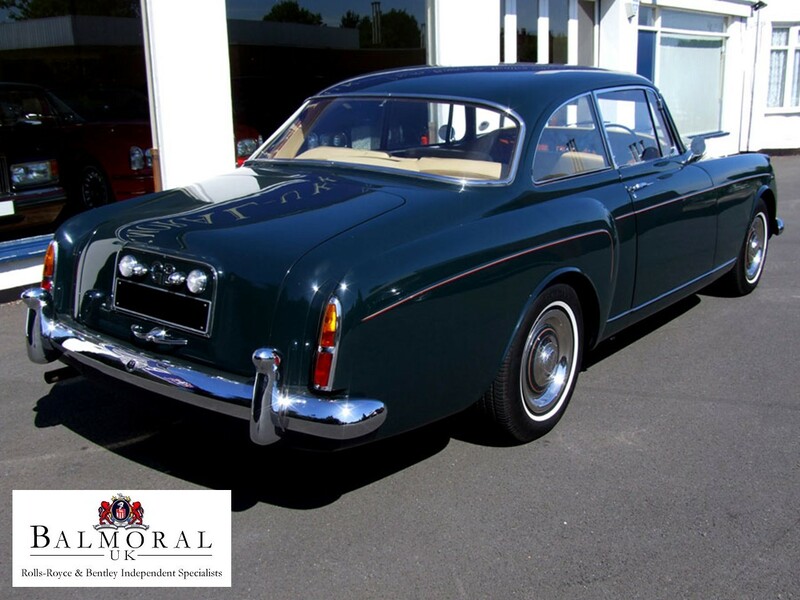 The coupé models had to be coachbuilt. 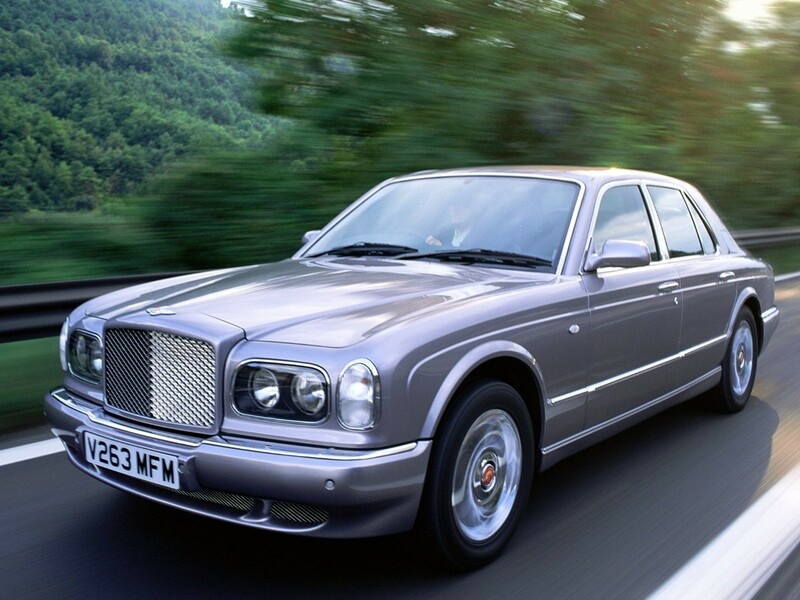 The elusive Corniche models became the dernier cri in grand touring coupés. 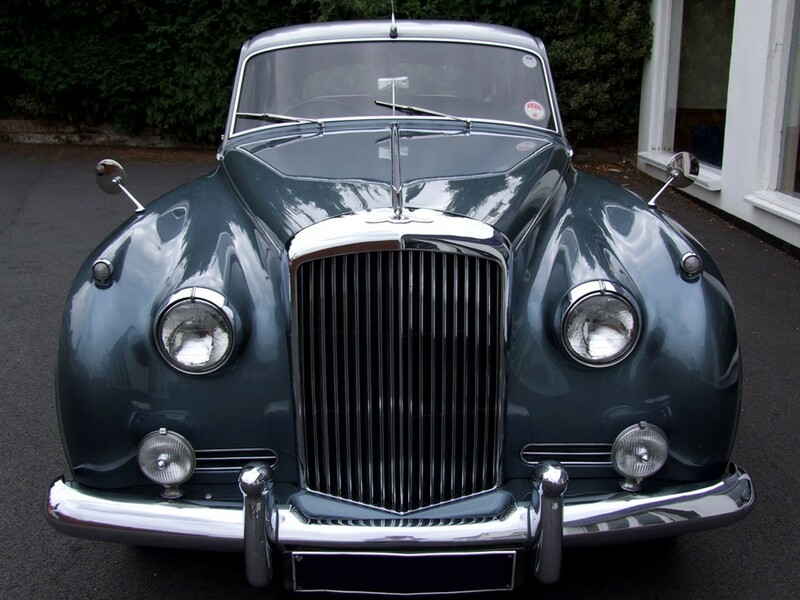 …do I give you the business or what? 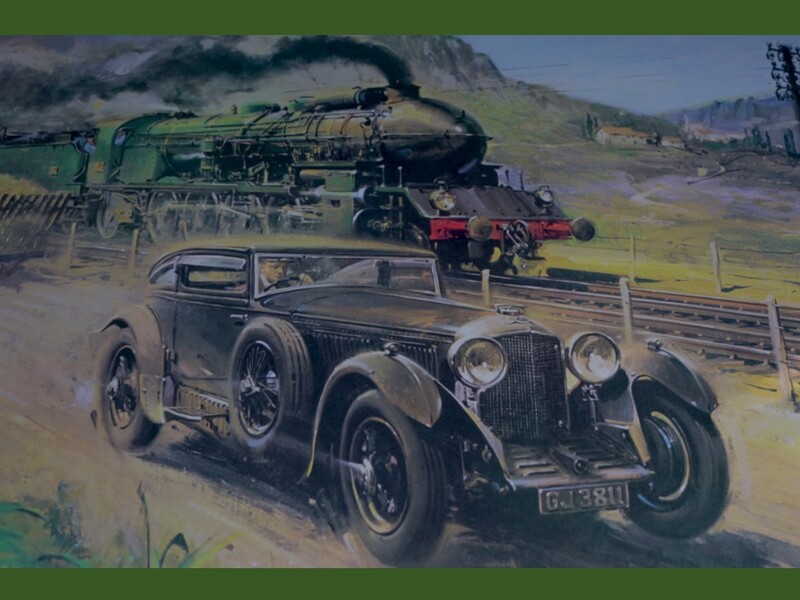 “Big Ben” stands alone today and is no longer foreshadowed by you-know-who! 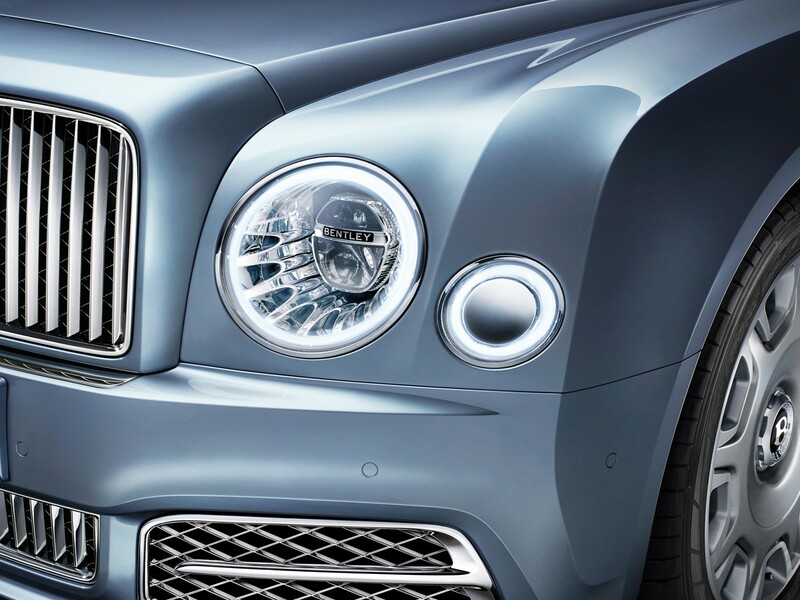 It’s a masterpiece that could only come from the master craftsmen. 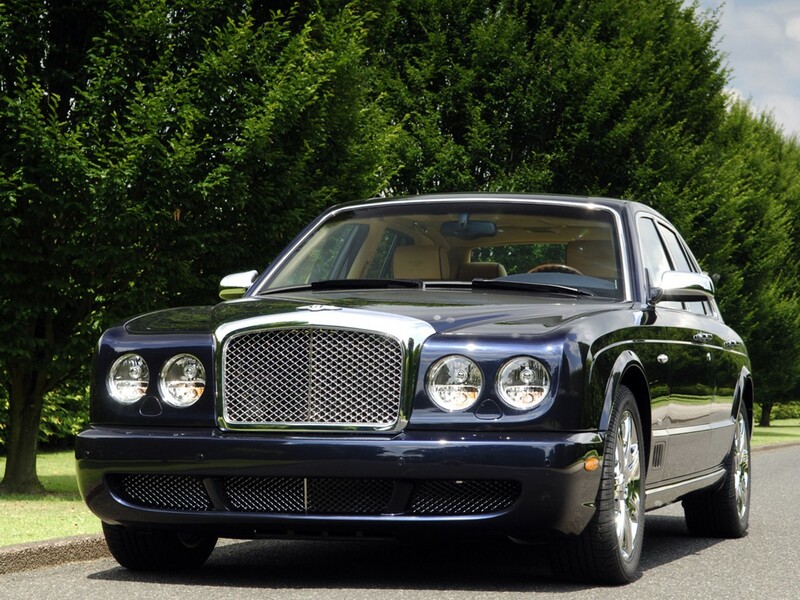 No car in years has so captured the admiration of the ultra-luxury market segment as the Bentley Mulsanne. 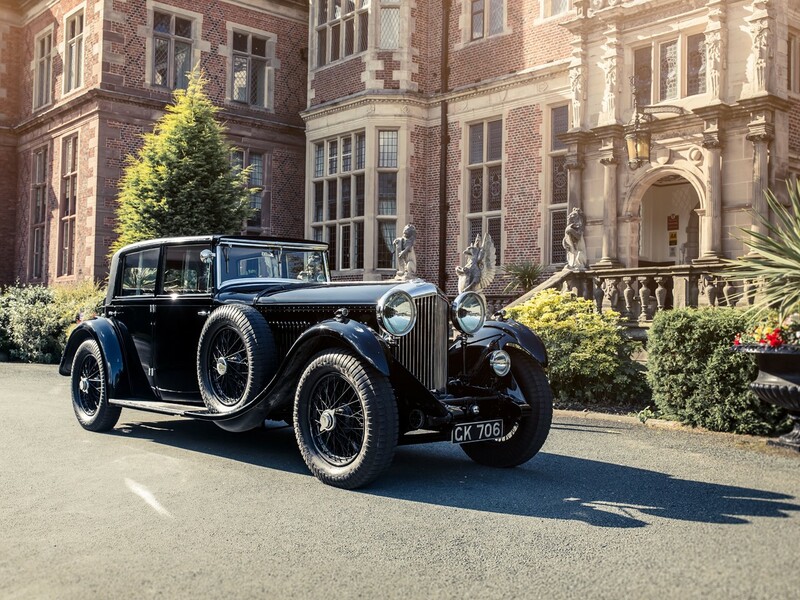 Whatever the occasion…there is no more magnificent manner in which to arrive. 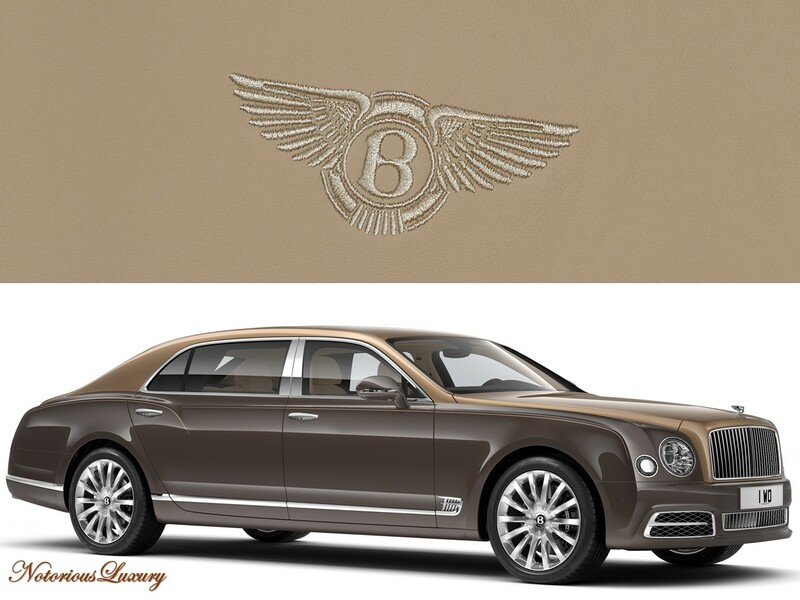 This is luxury on the grand Bentley scale…unique even among other Bentley models. 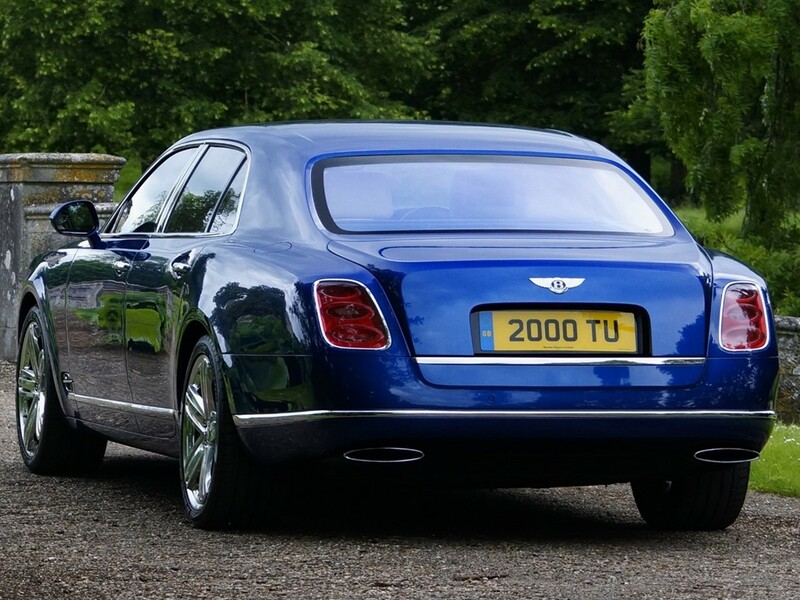 Many thanks to my friends at Bentley Crewe http://www.bentleymotors.com/. 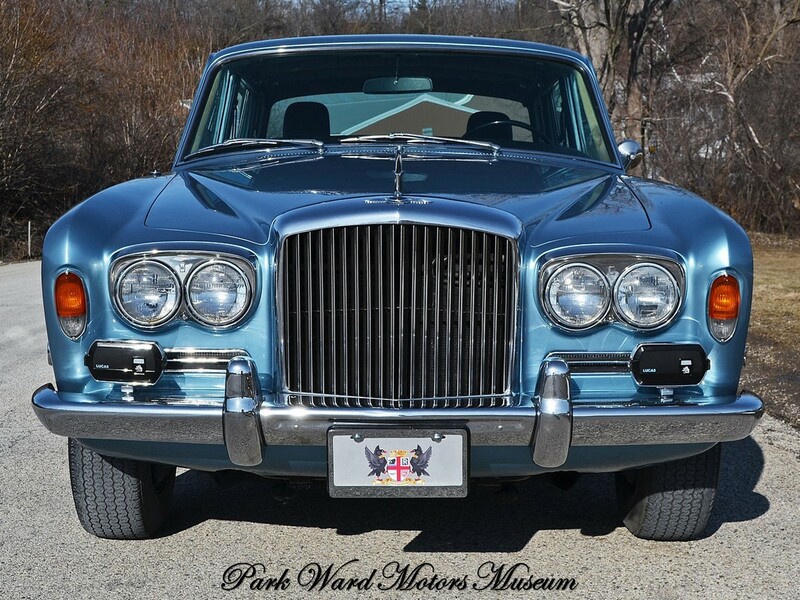 Special thanks to my buddy Rodd Sala at Park Ward Motors Museum http://www.parkwardmotorsmuseum.com/. 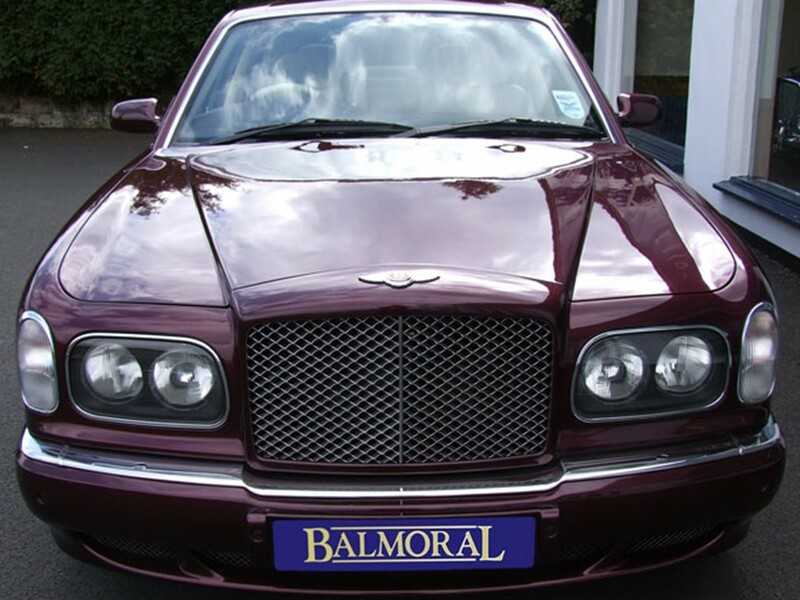 Hello to one of the finest Luxury Car dealers in the world Balmoral UK http://www.balmoraluk.com/. 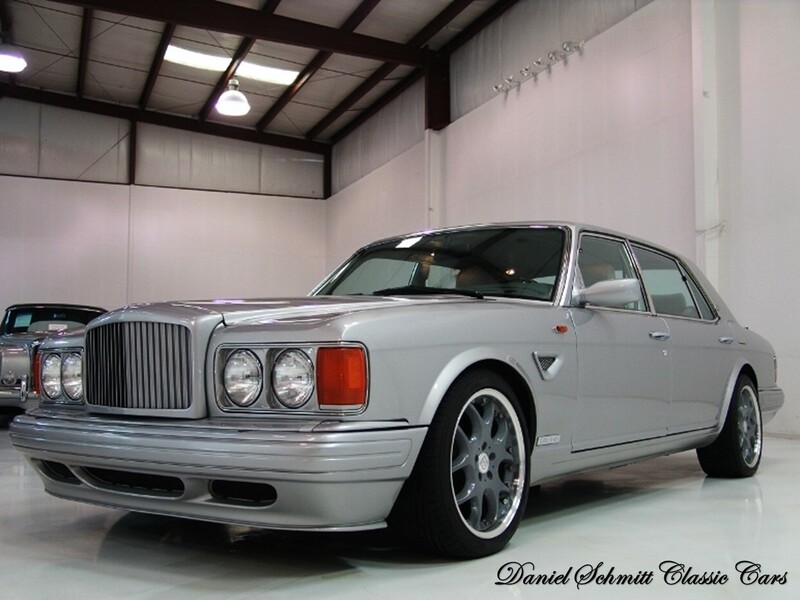 And I can’t thank Daniel Schmitt Classic Cars enough http://www.schmitt.com/. 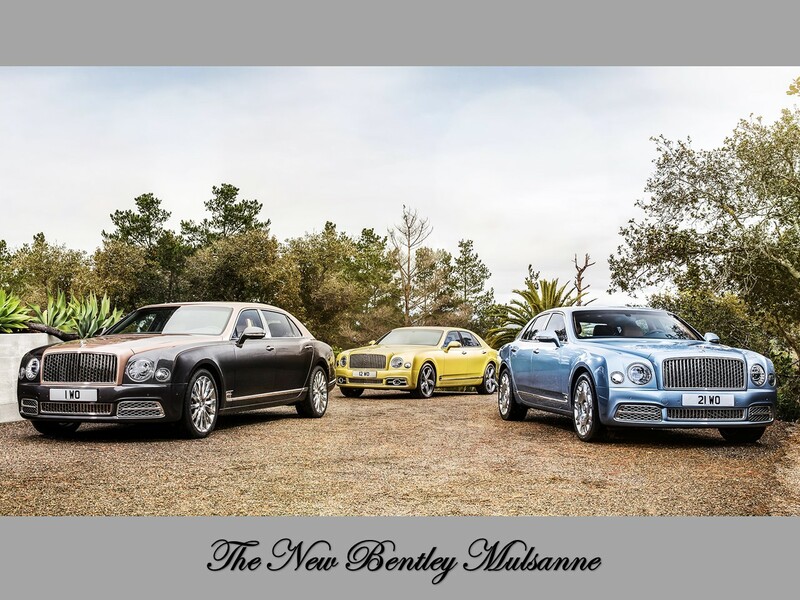 Thanks again for making this special tribute to the 2017 Bentley Mulsanne and Bentley history possible.